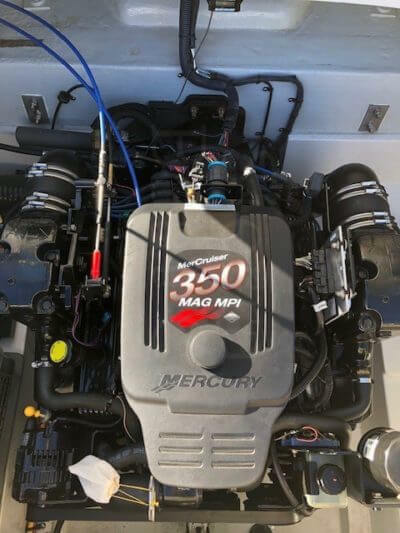 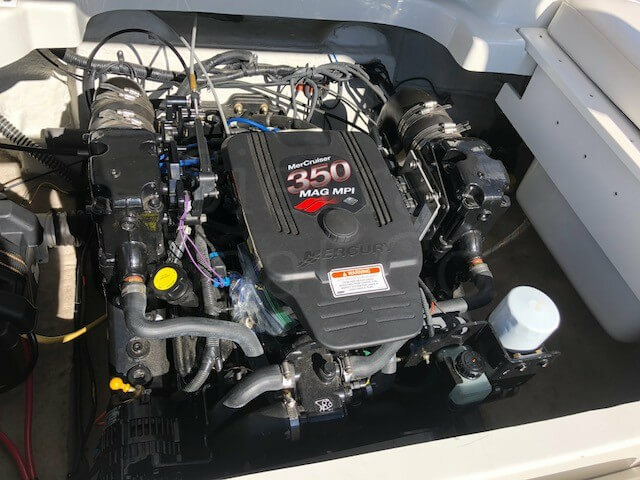 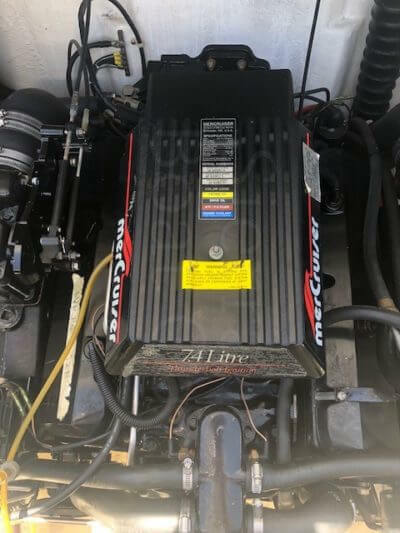 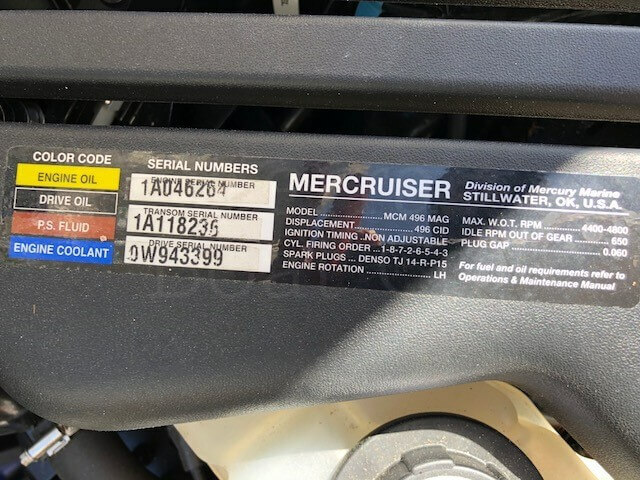 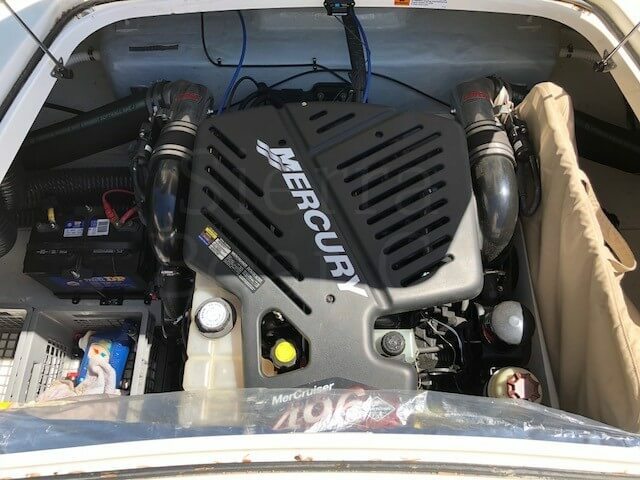 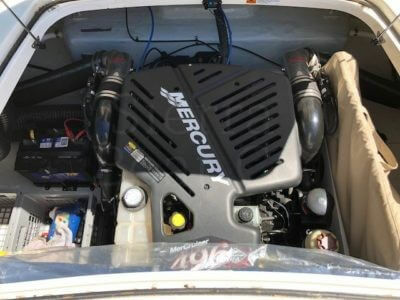 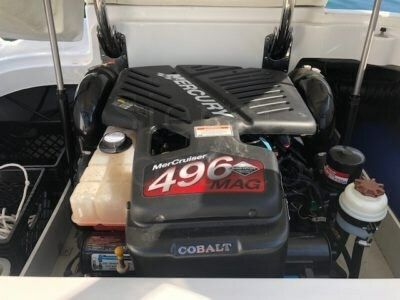 It is powered by a Mercruiser 454 MPI with 310 hp. 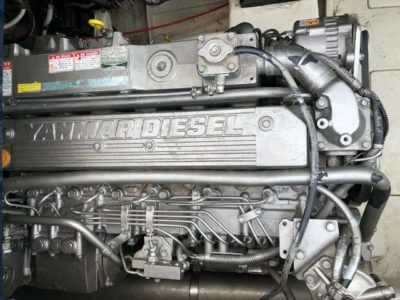 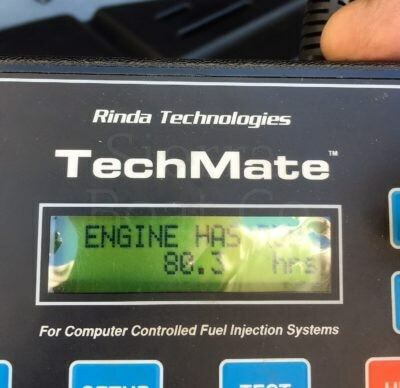 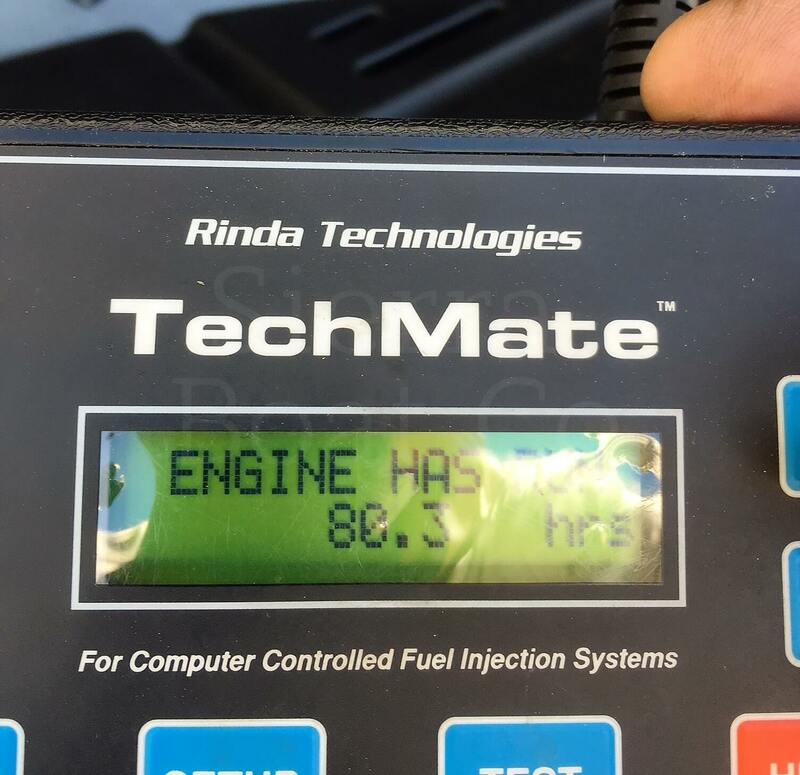 The engine has 526 hours on it so 25 hours per year which is minimal annual use. 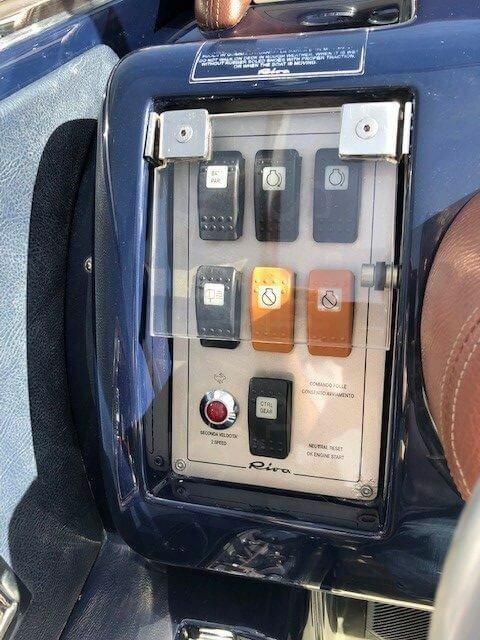 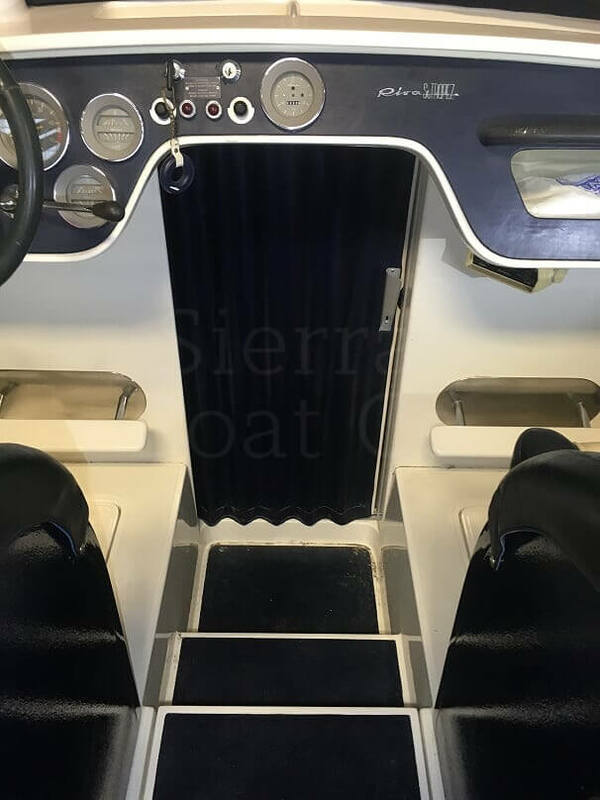 It is equipped with AM/FM CD player, depth finder, dual batteries with switch, trim indicator, ski locker, swim step with ladder, etc. 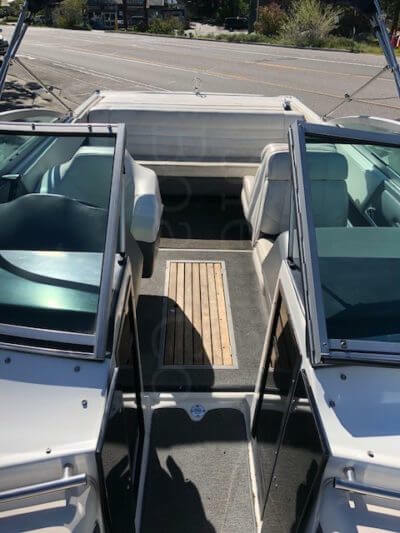 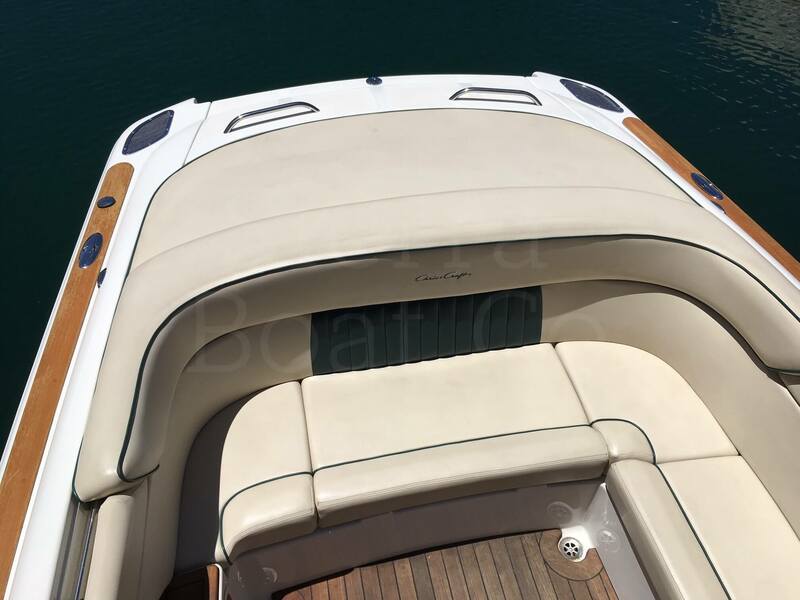 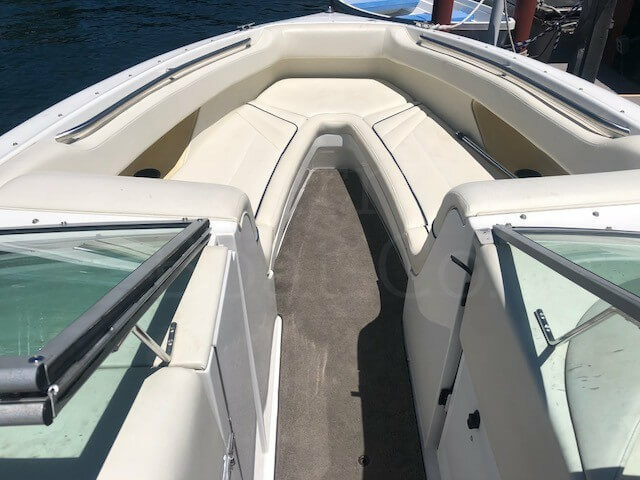 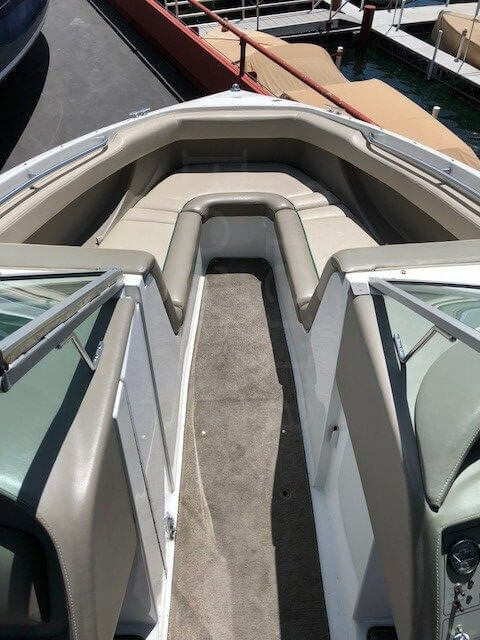 This boat has an open bow and seats up to 11 people and has a sun pad on the engine hatch. 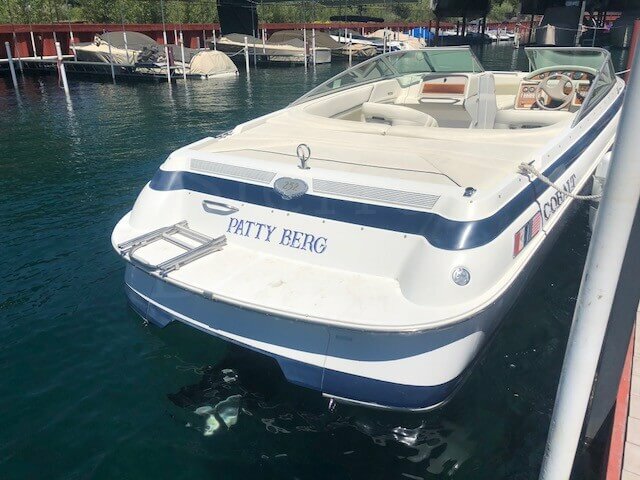 The boat has been in fresh water only. Also included with boat is a dingy and oars. 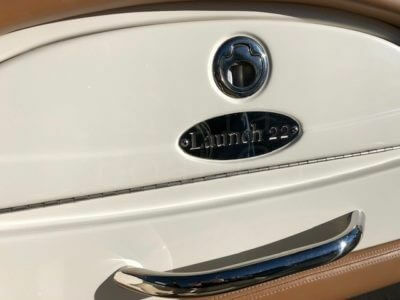 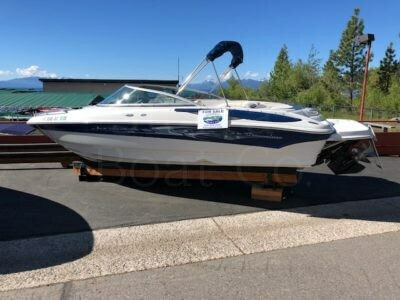 2002 Chris Craft 25ft Launch with the Heritage Package. 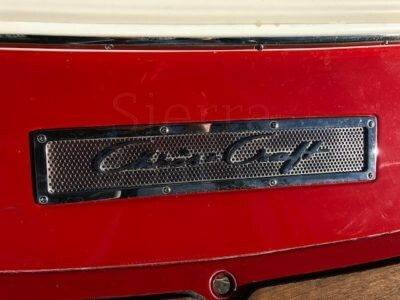 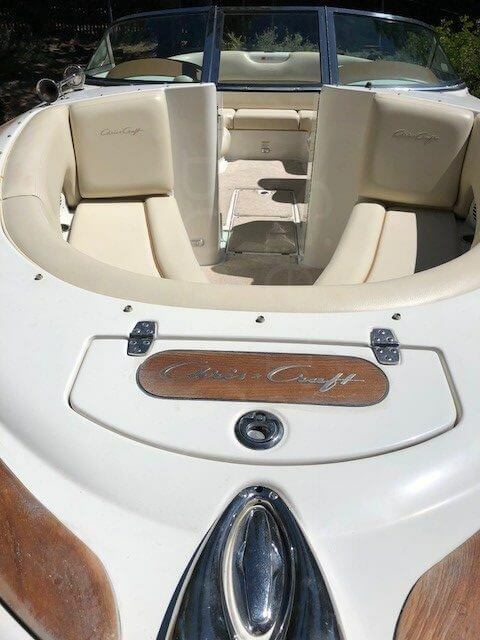 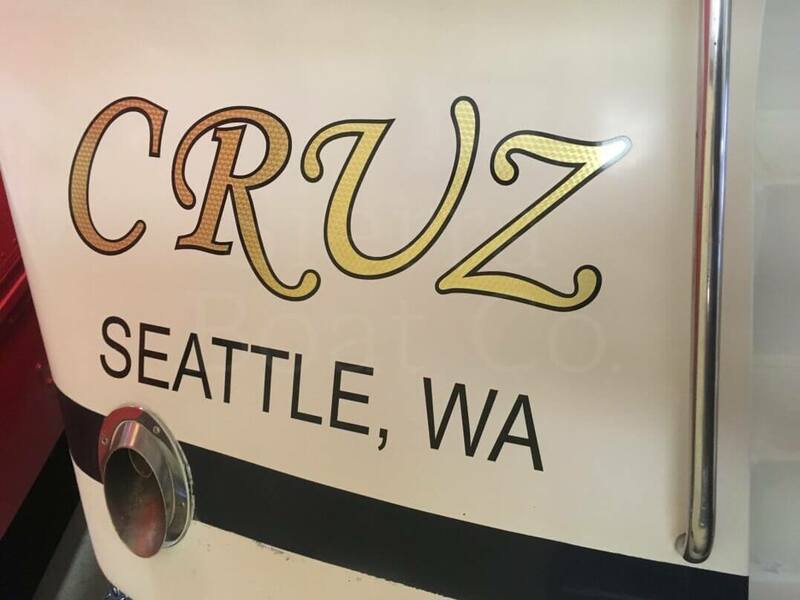 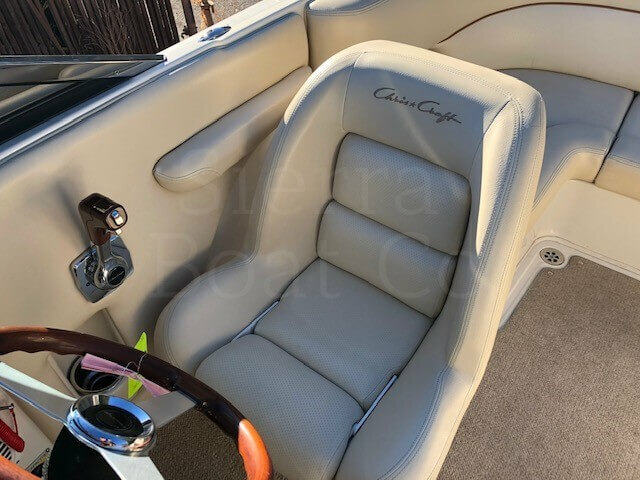 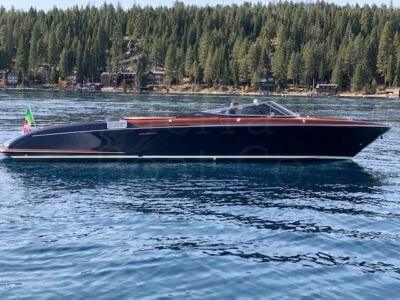 The name Chris-Craft has always been synonymous with quality, and it’s not hard to see why. Crafted with the same passion and dedication as they were 142 years ago, Chris-Craft boats continue to speak to boat enthusiasts everywhere. This 2002 Chris Craft Launch is an open bow design with seating up to 10 people. 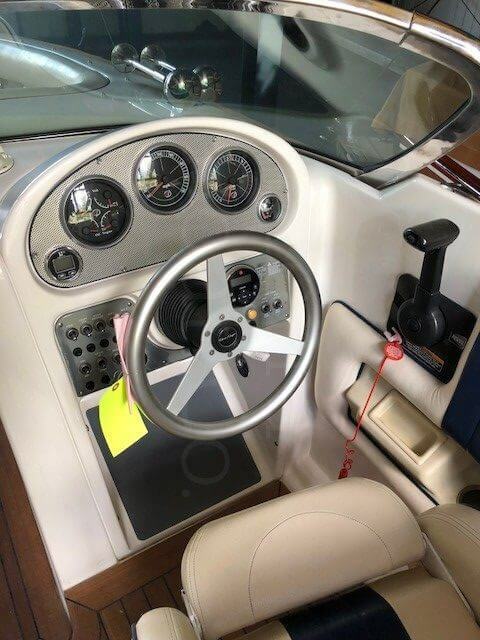 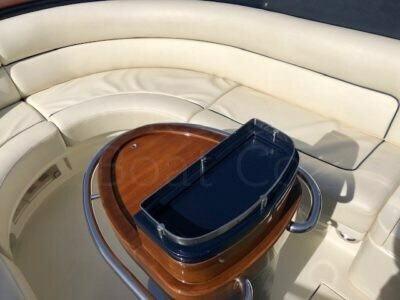 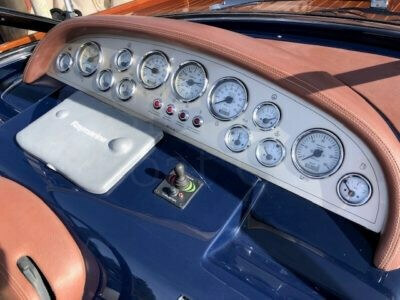 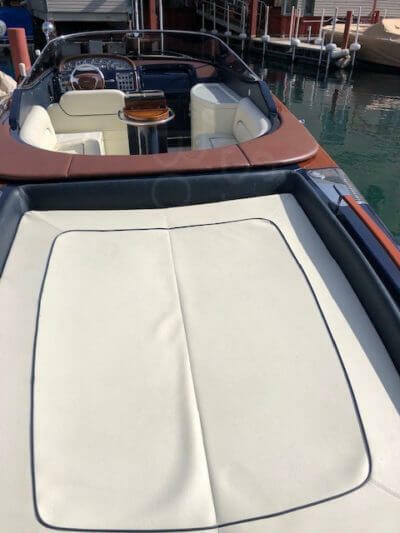 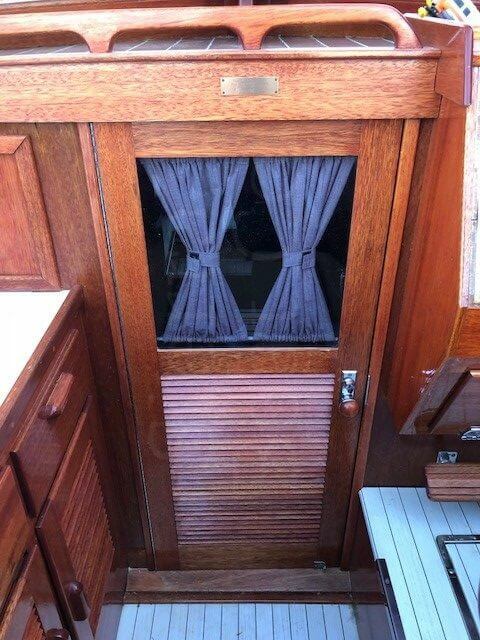 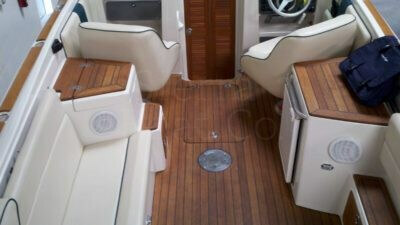 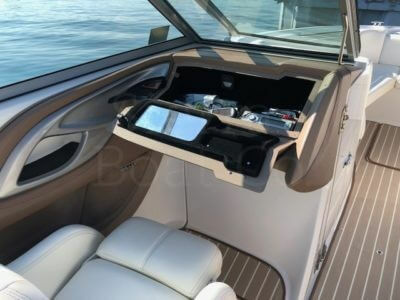 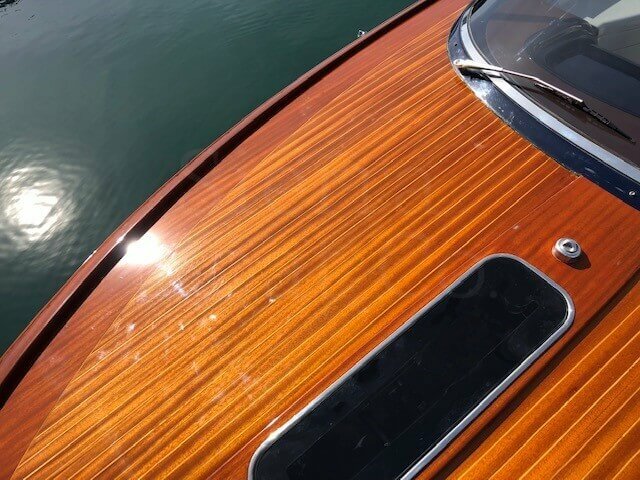 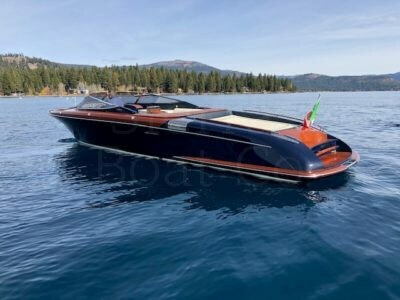 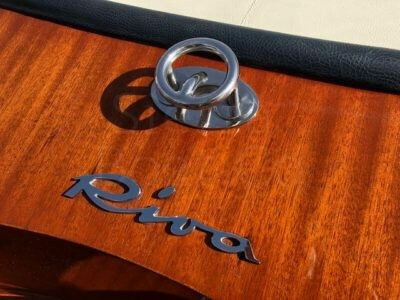 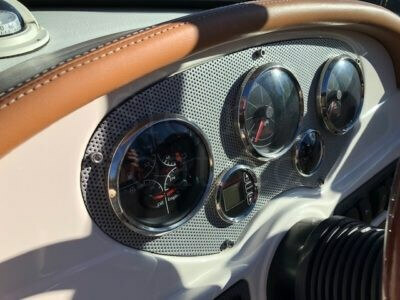 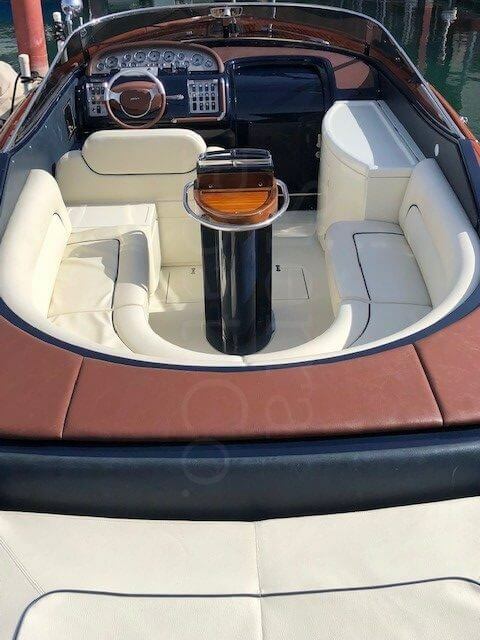 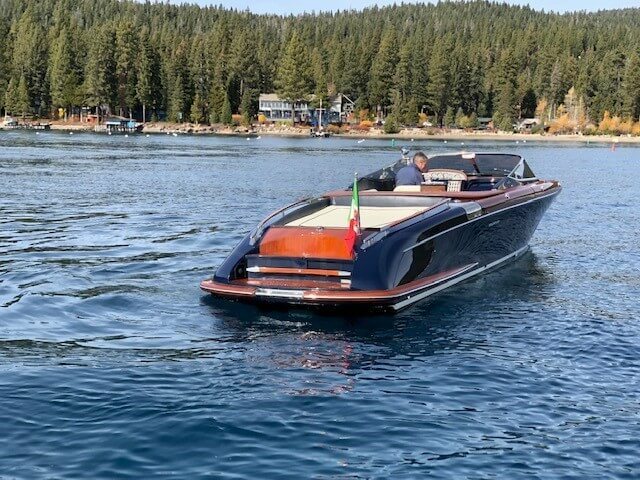 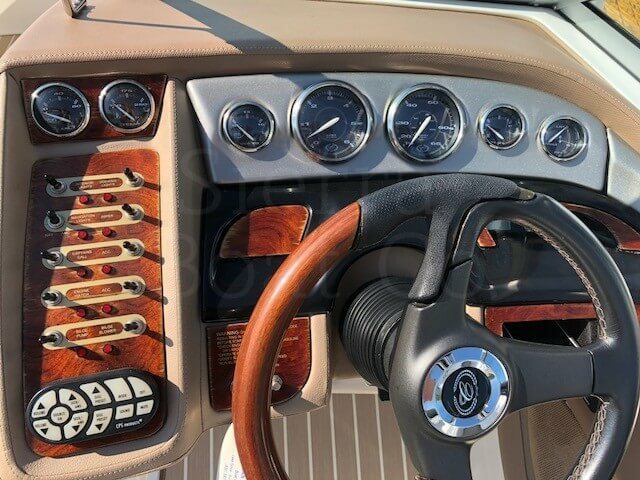 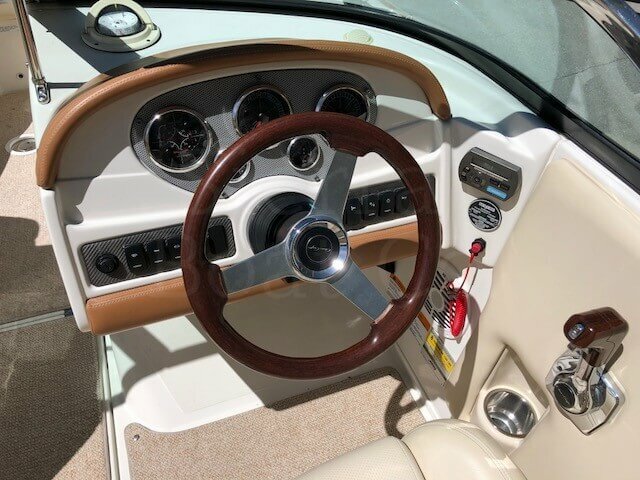 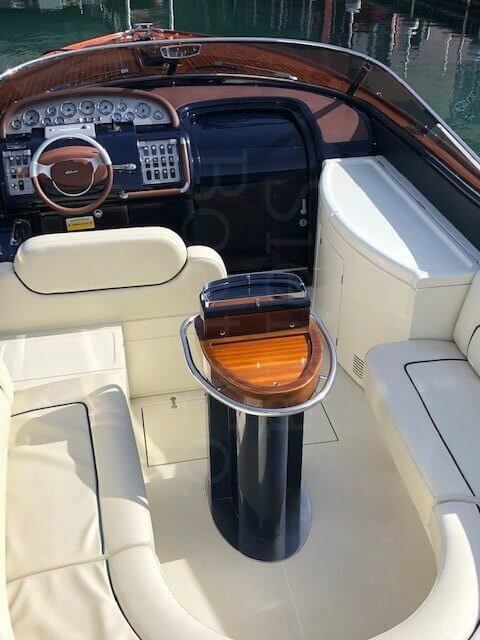 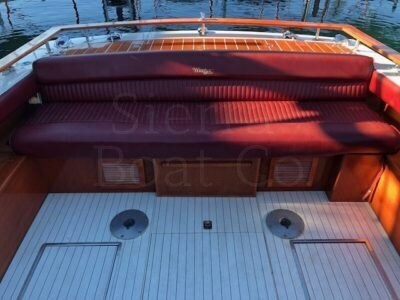 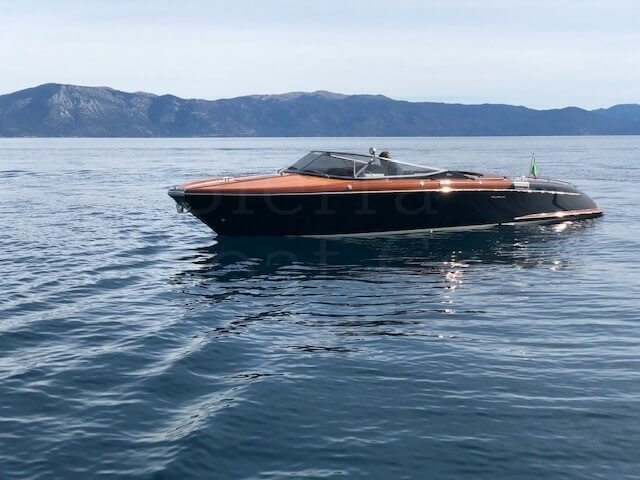 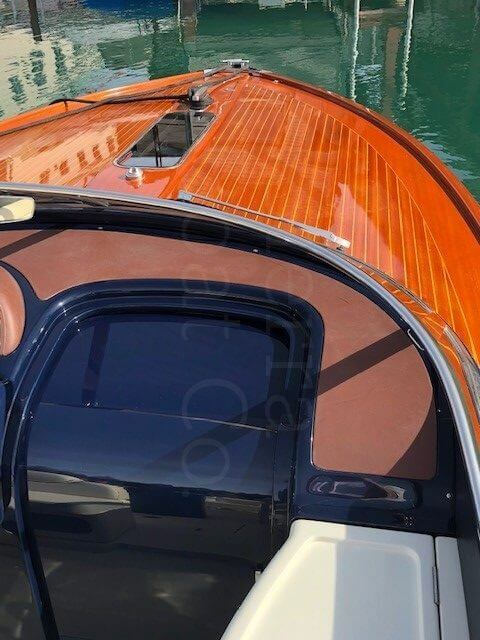 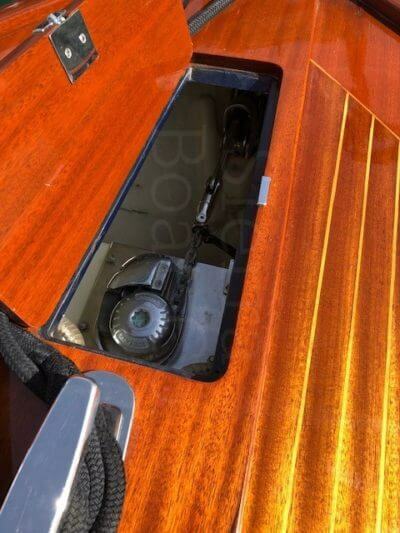 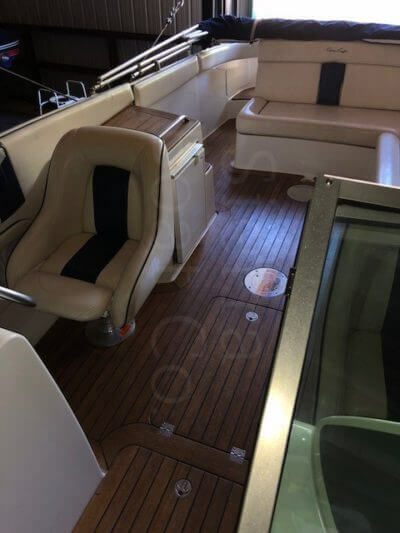 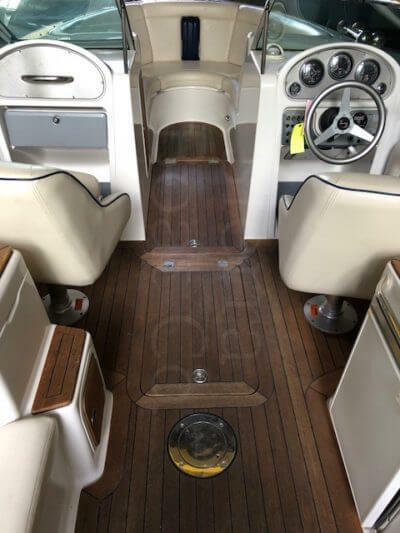 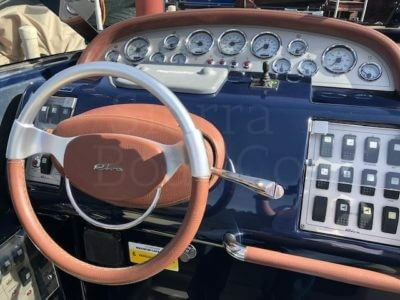 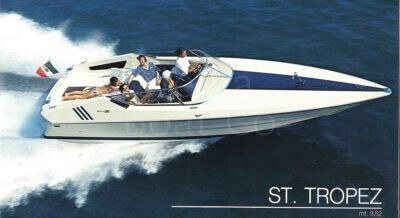 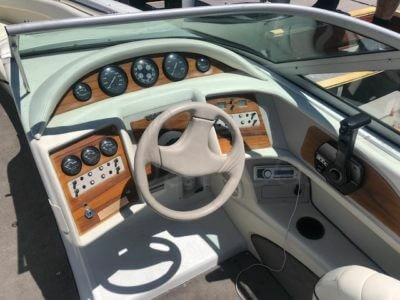 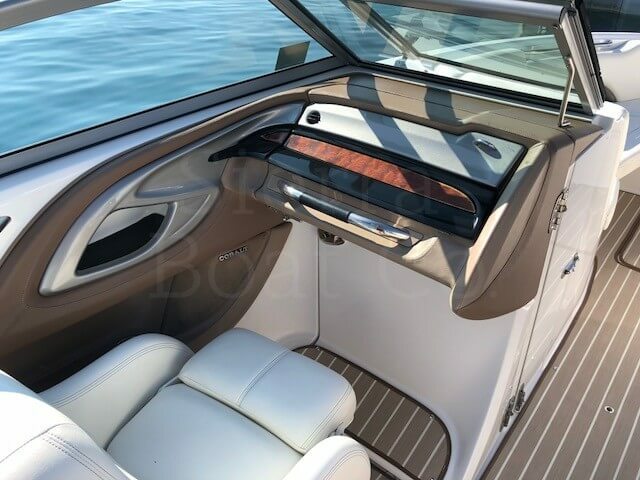 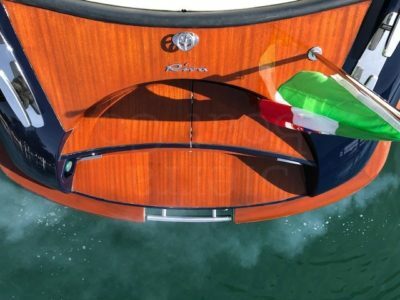 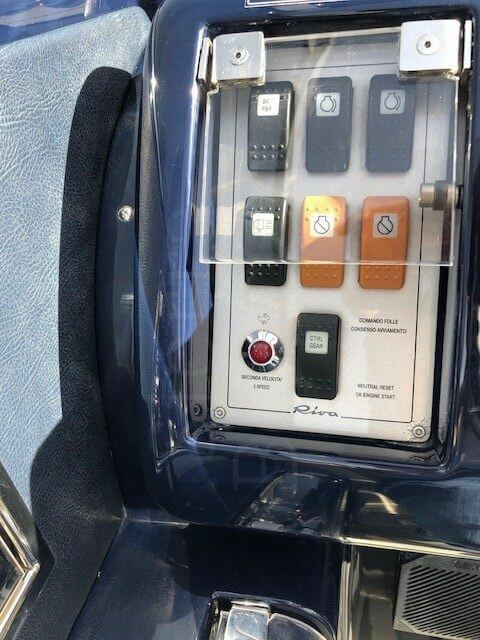 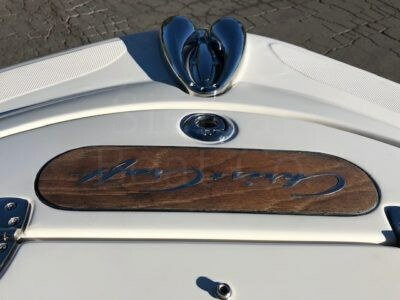 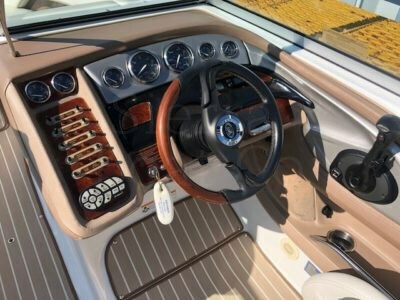 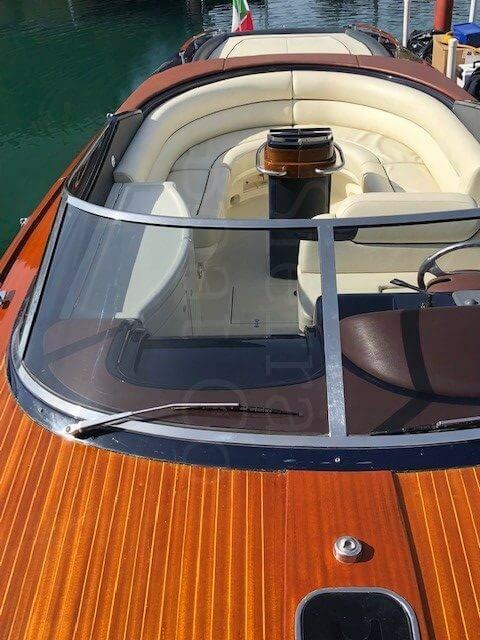 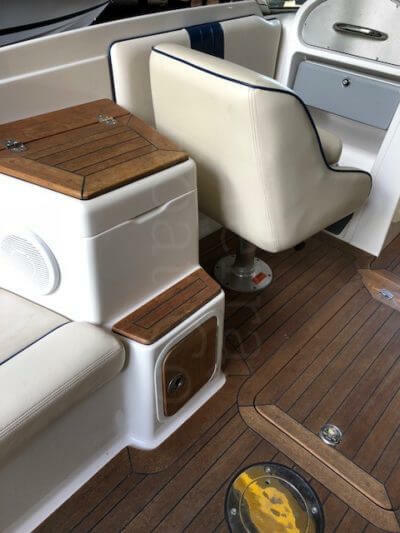 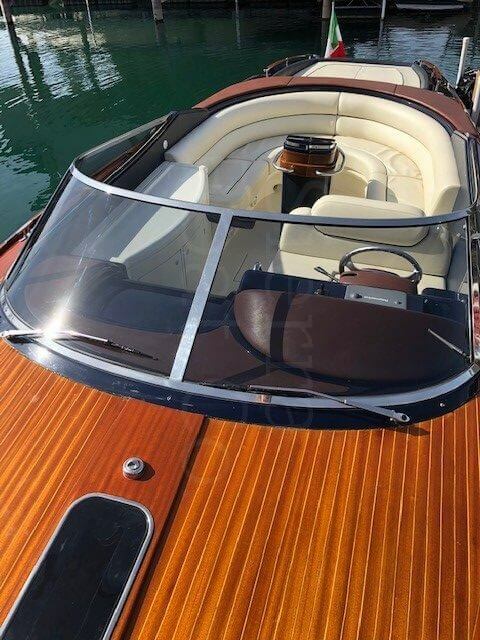 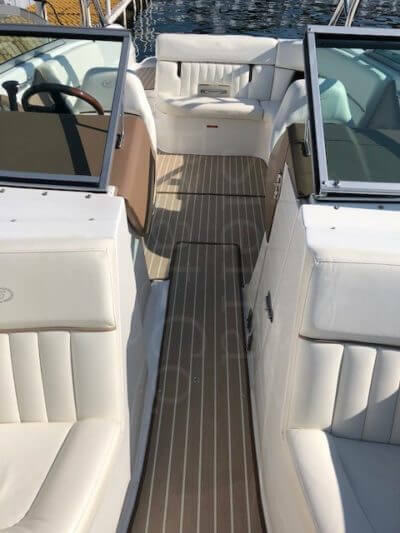 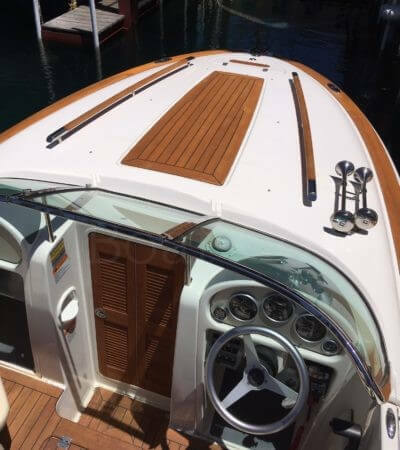 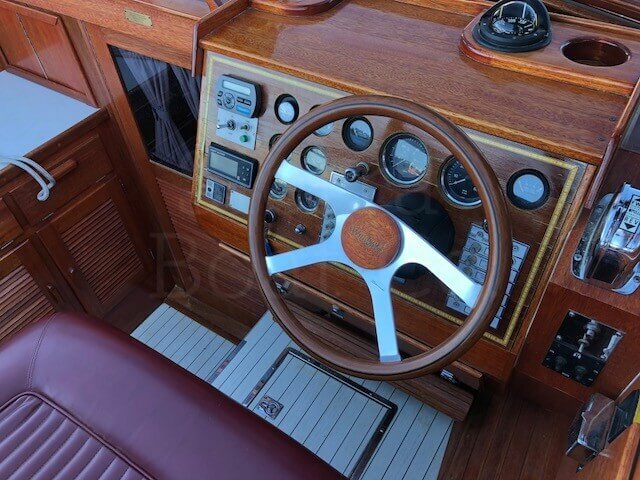 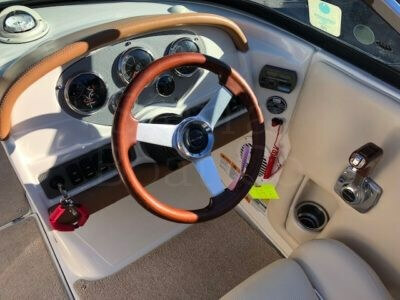 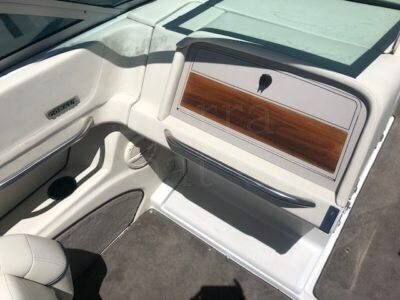 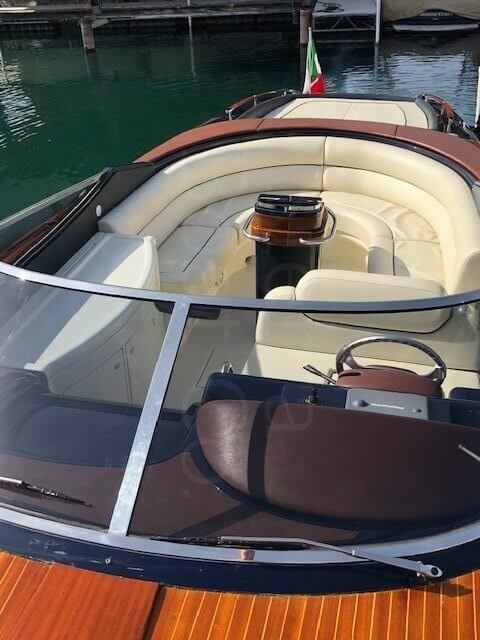 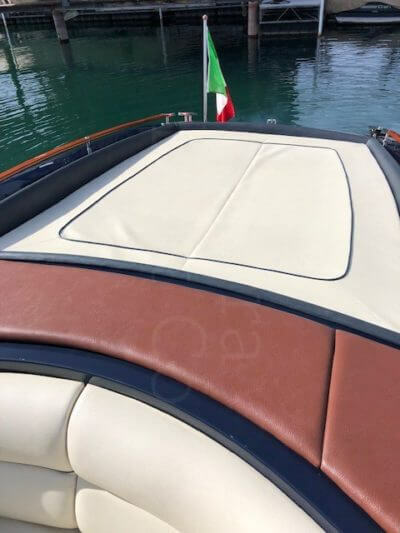 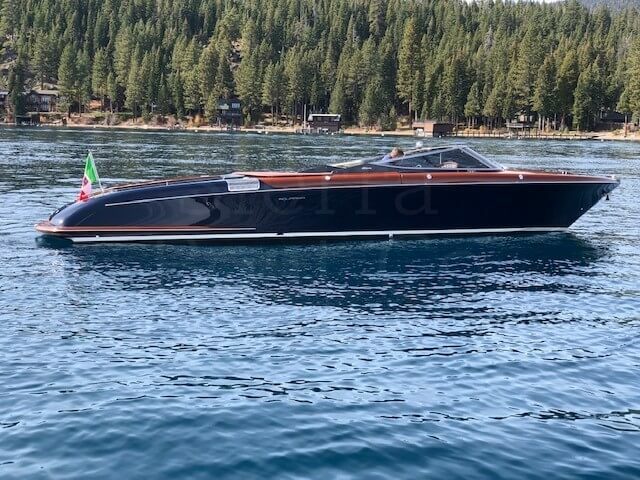 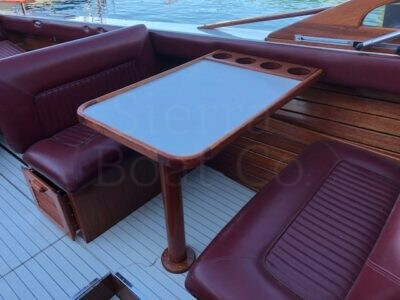 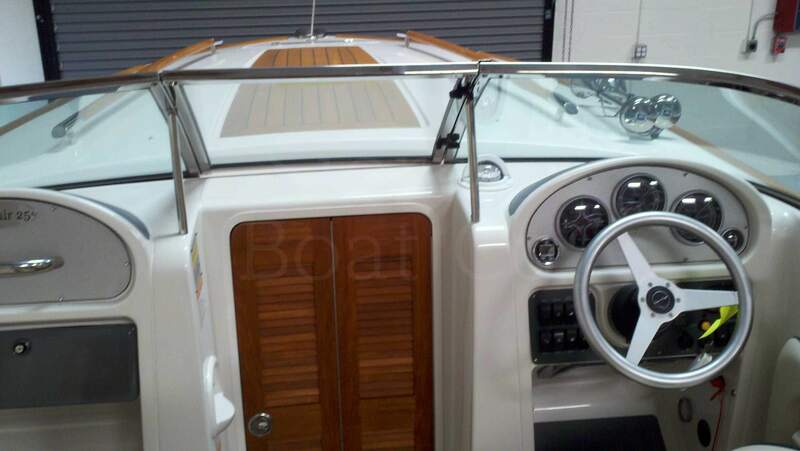 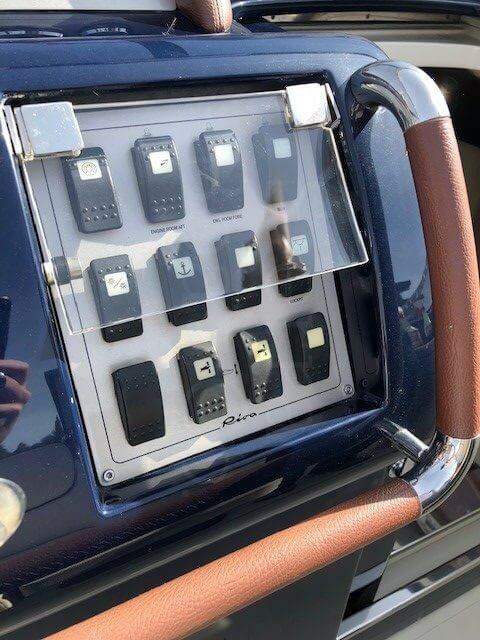 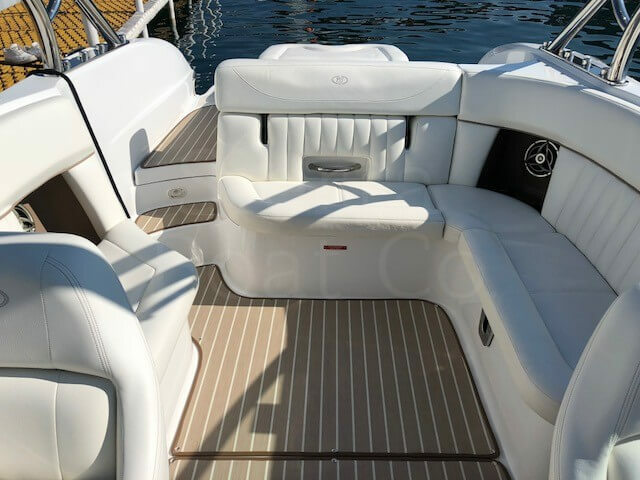 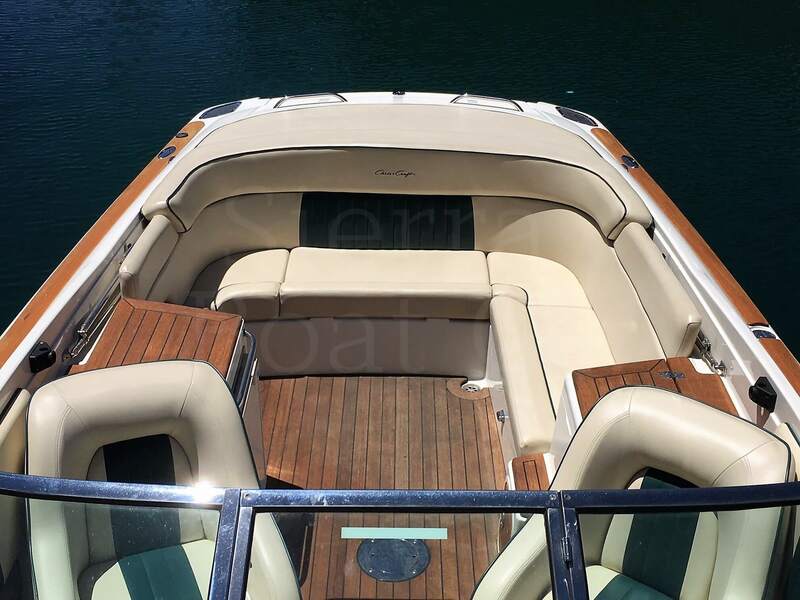 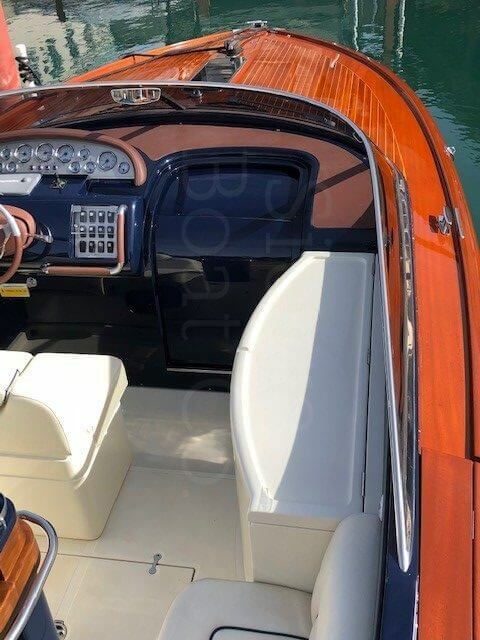 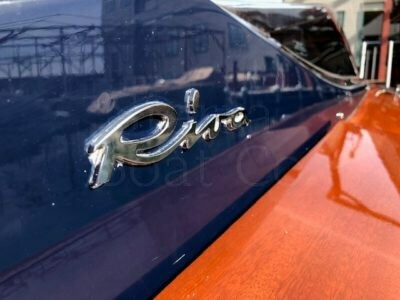 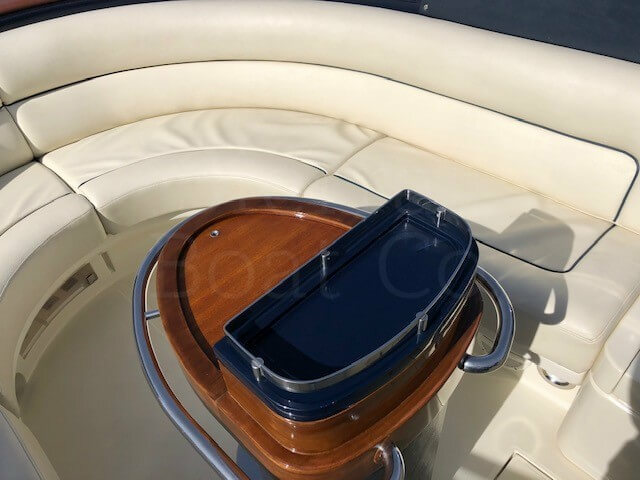 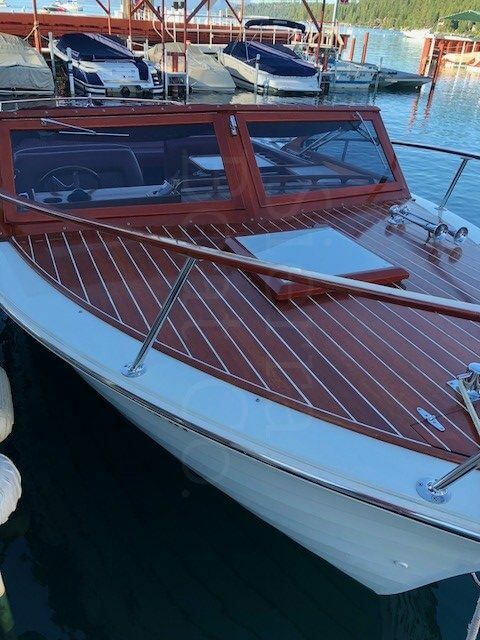 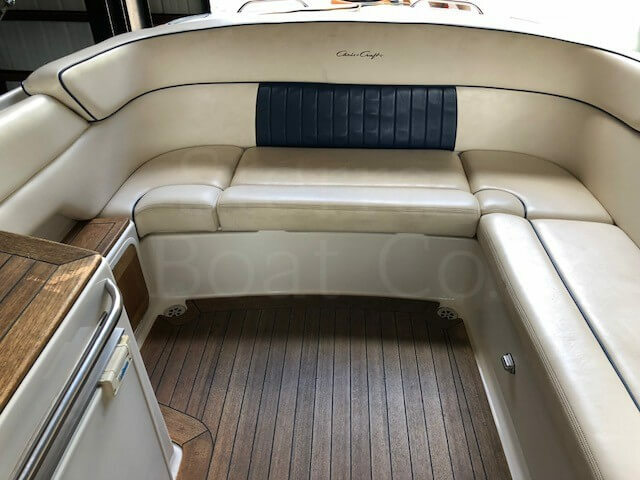 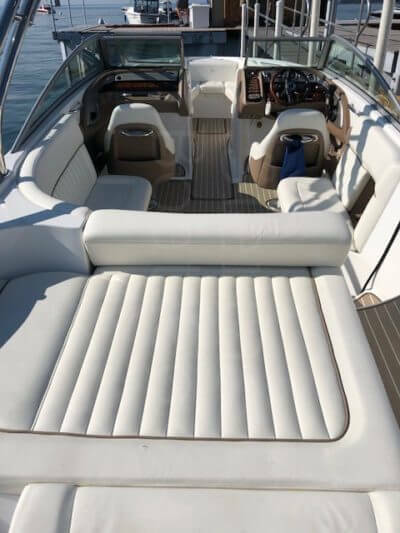 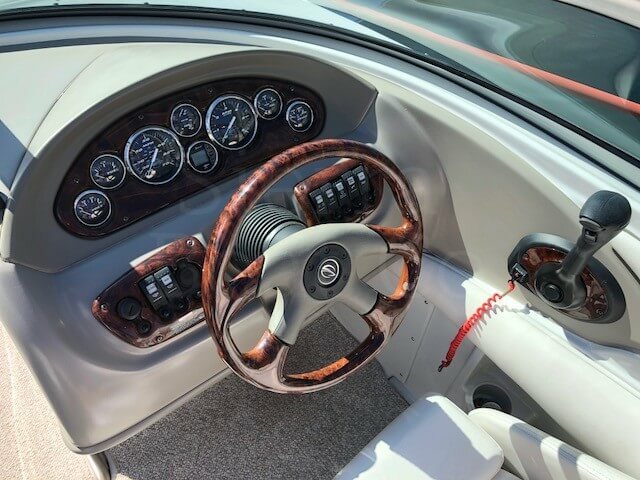 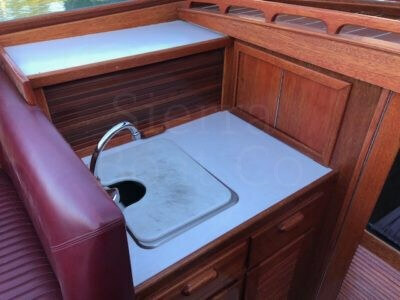 It is equipped with the desirable Heritage Package which adds teak to the interior and exterior of the boat. 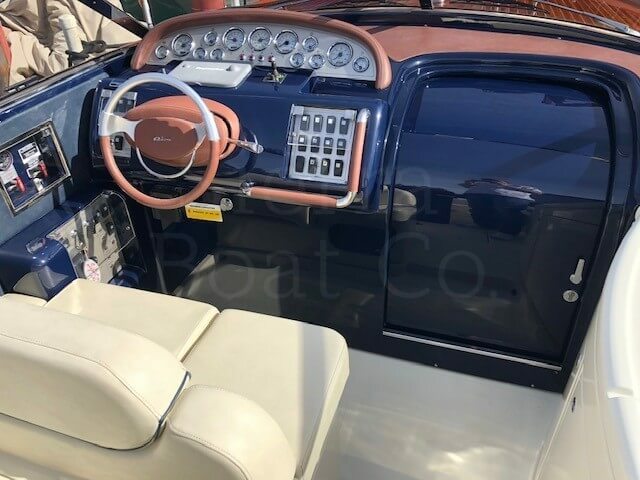 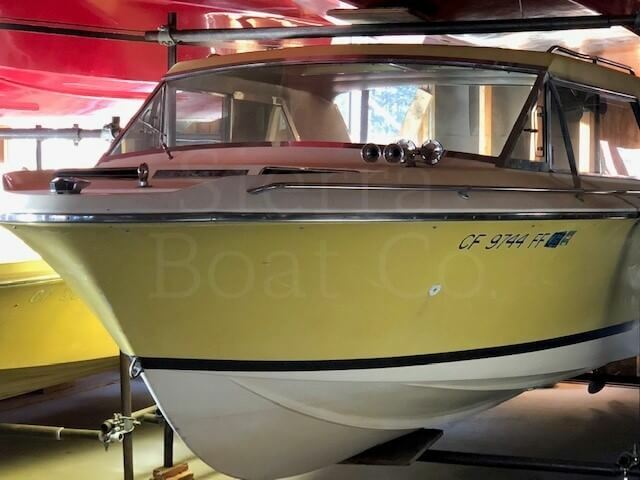 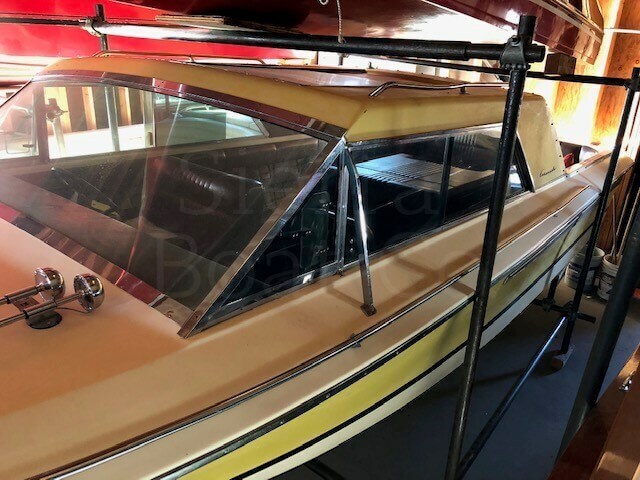 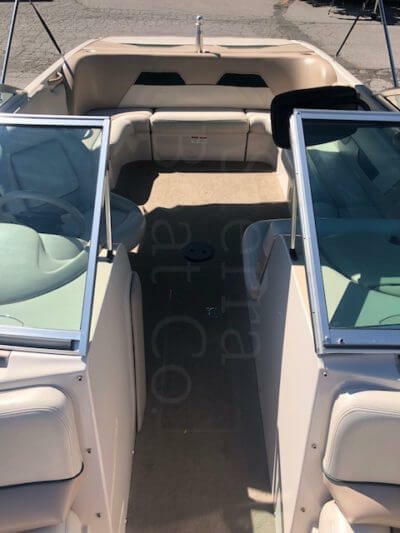 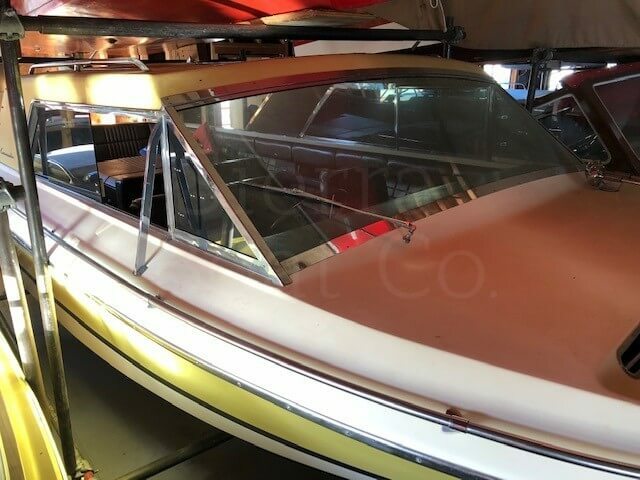 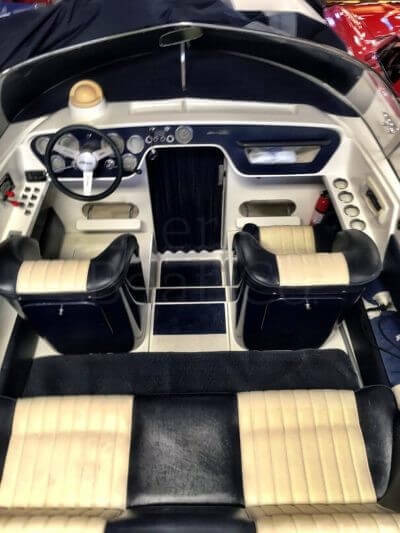 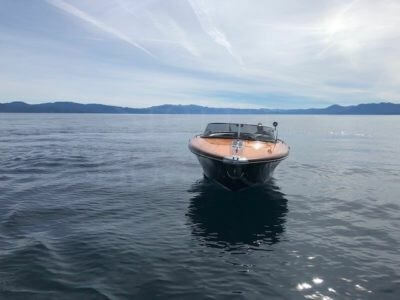 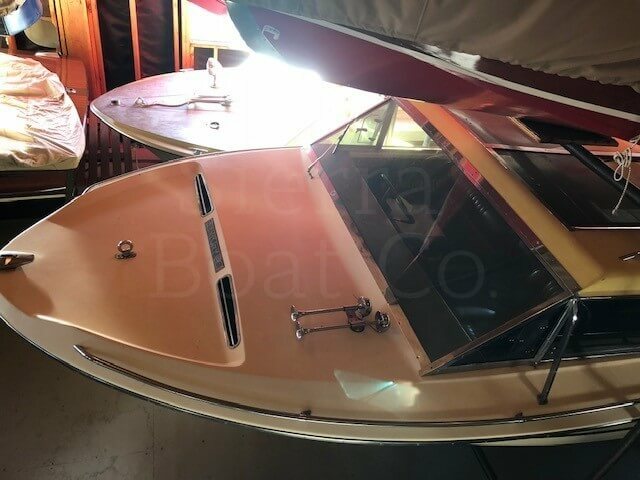 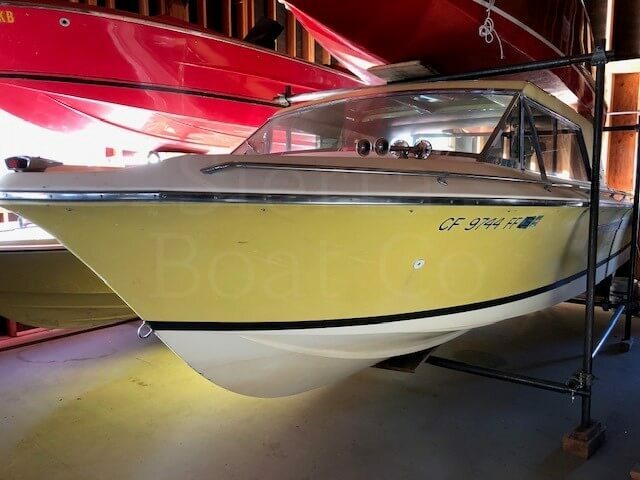 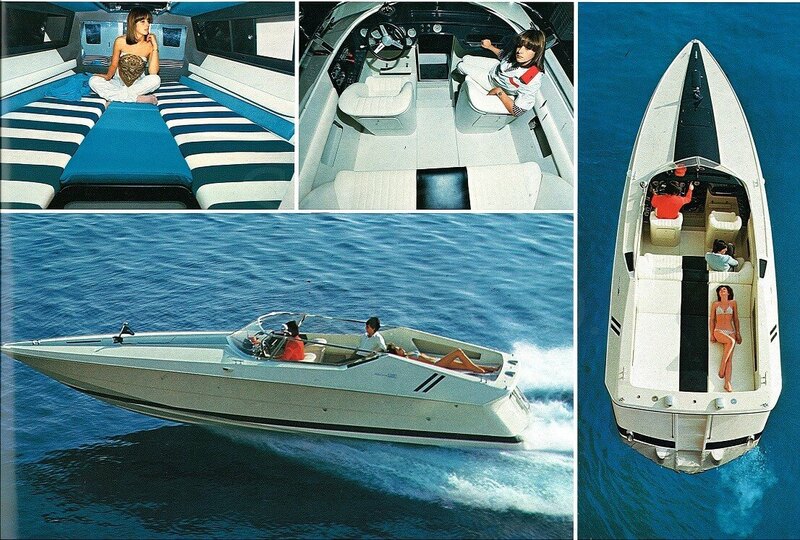 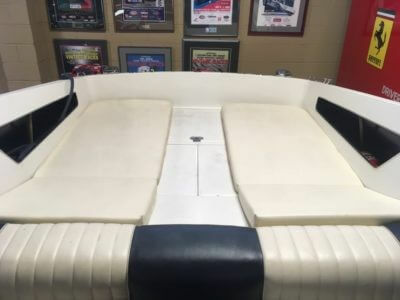 Manufacture extras added to this boat include; cockpit refrigerator, battery charger, selectable exhaust, stainless steel windshield frame, teak swim platform, sun pad cushion and more. 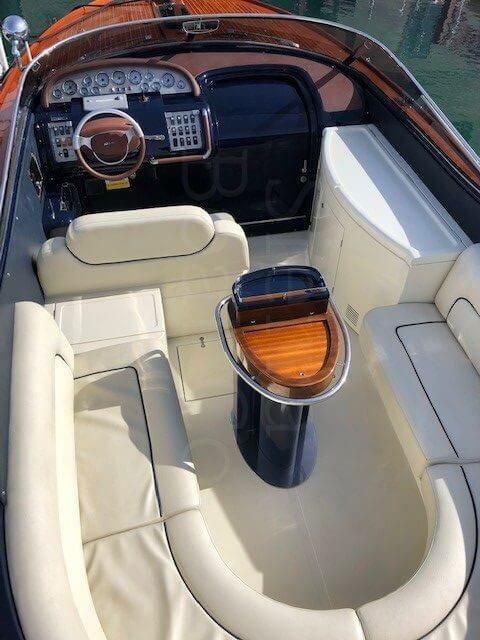 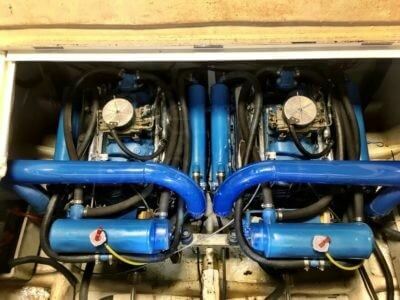 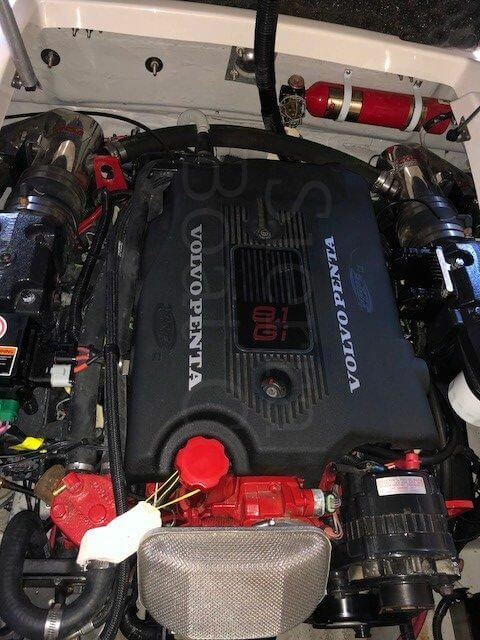 This boat is powered by a Volvo Penta 8.1L Gi engine with 375 hp. 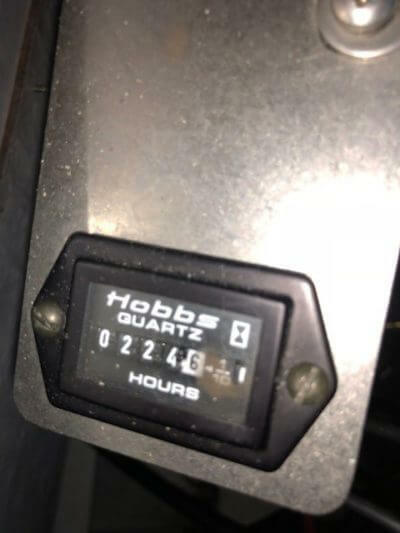 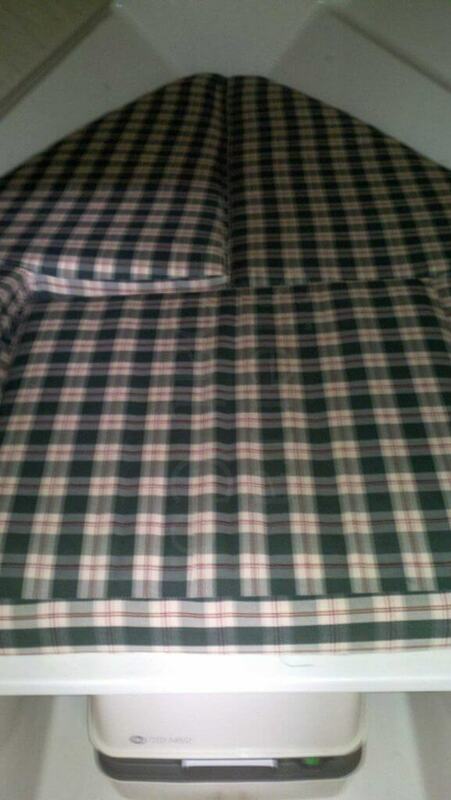 It has very low hours at 224.6 which is 14 hours annually and has always been in fresh water. 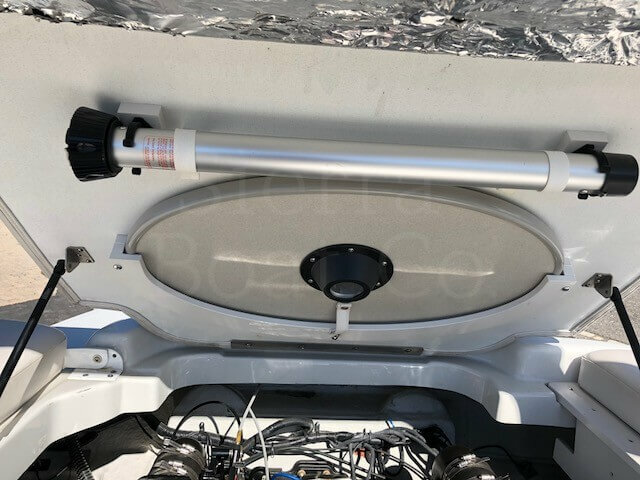 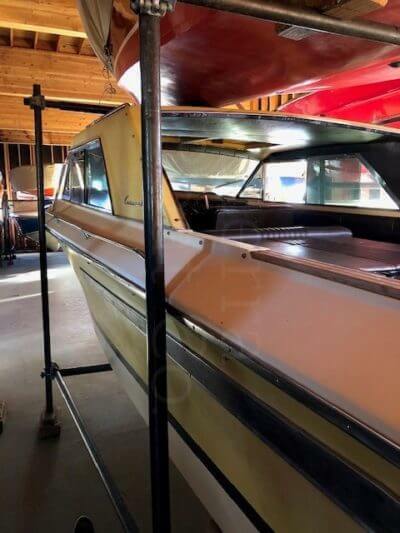 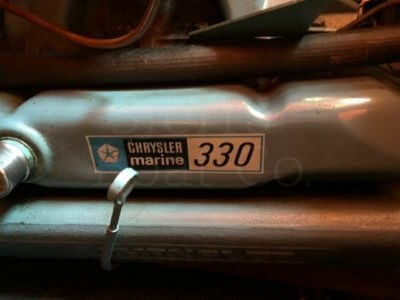 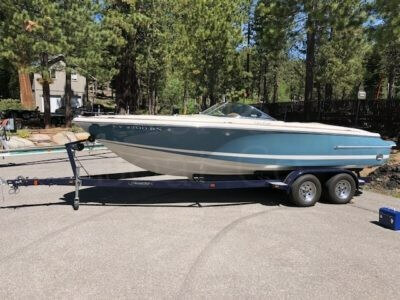 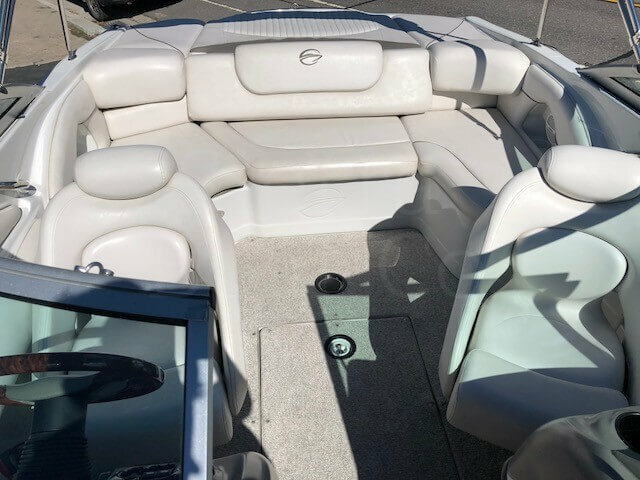 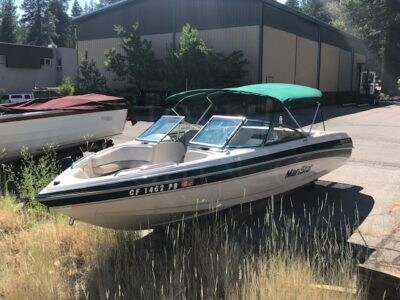 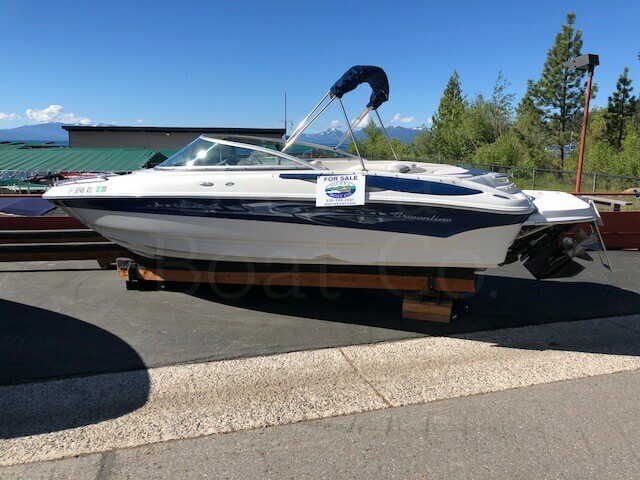 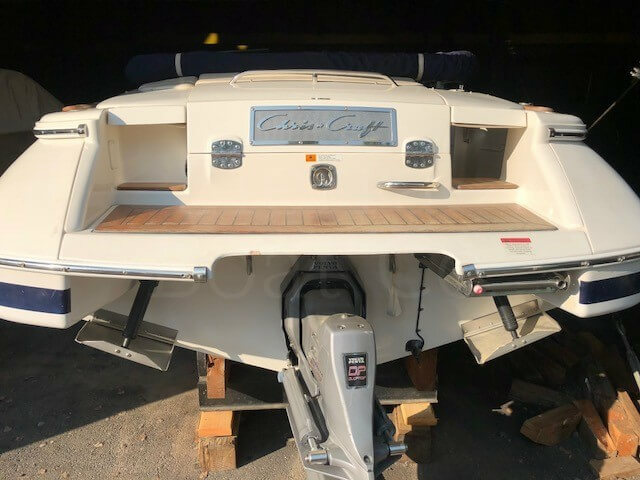 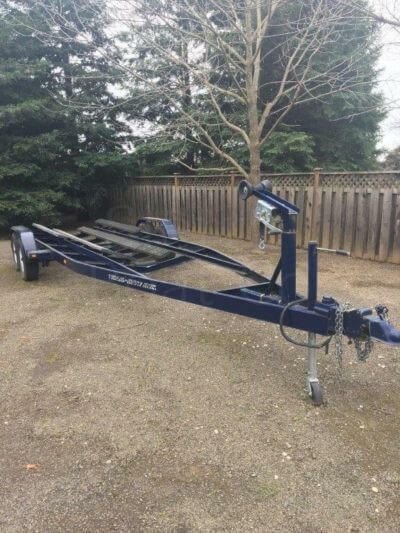 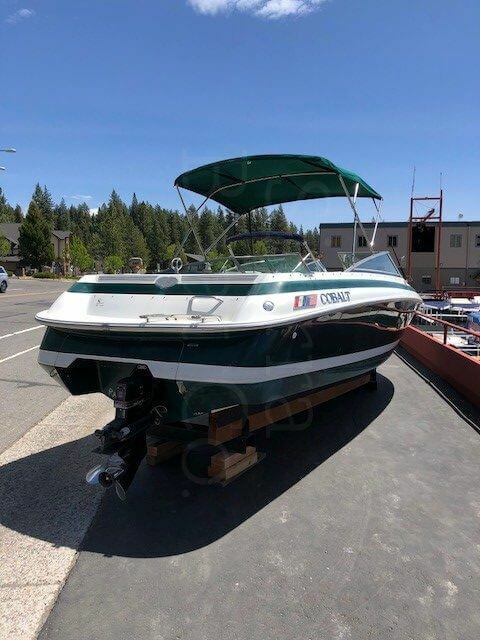 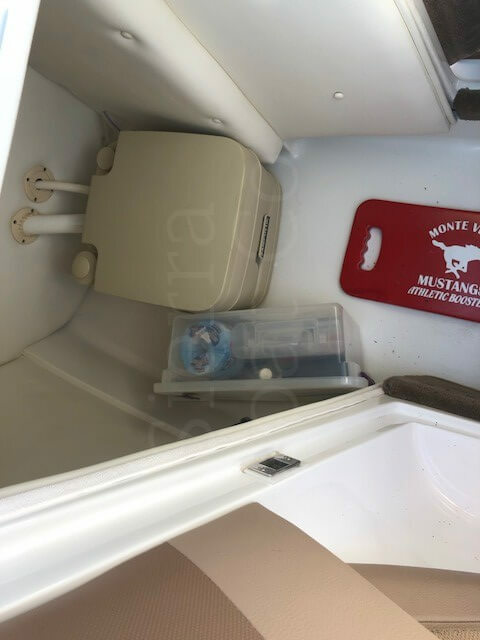 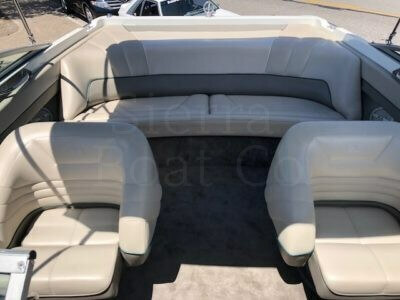 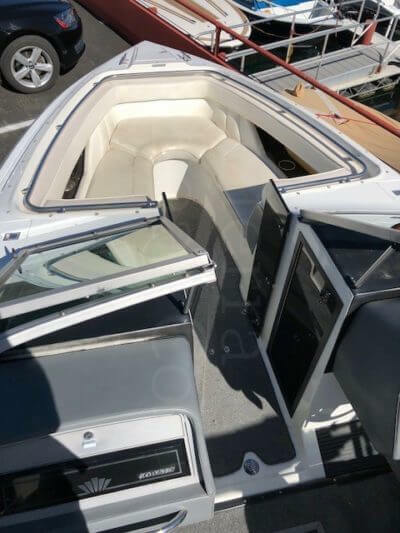 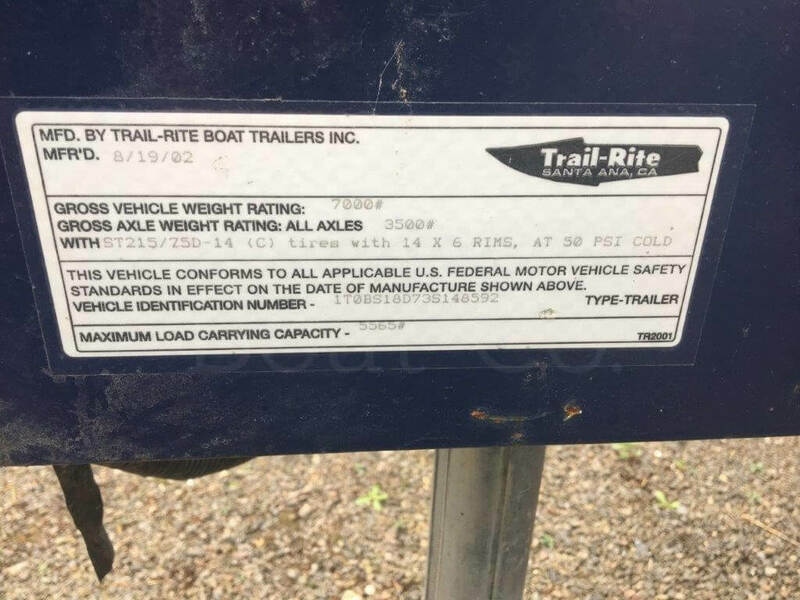 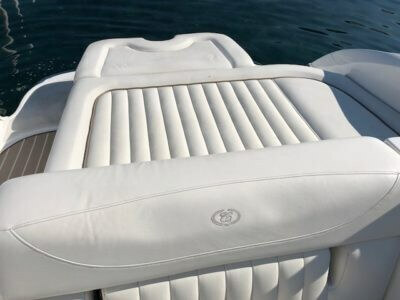 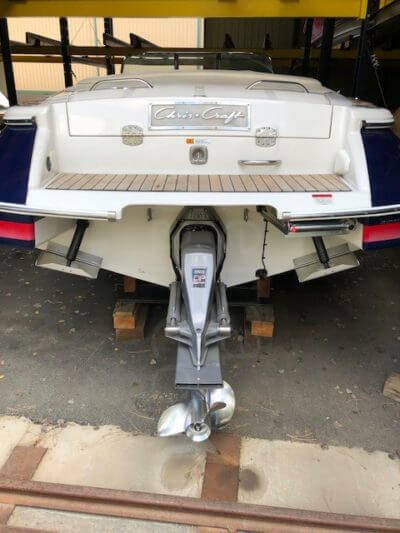 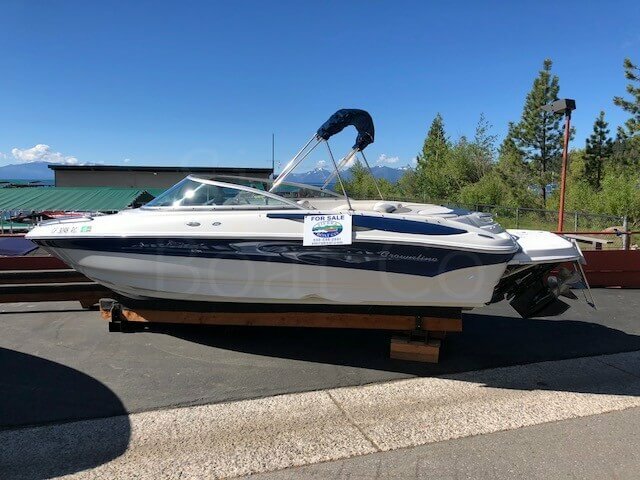 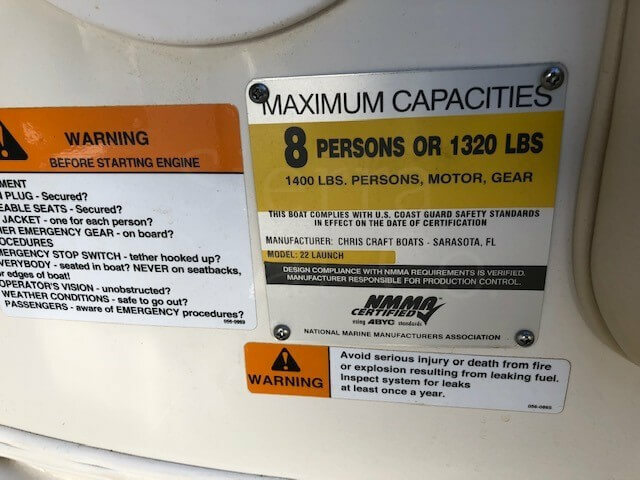 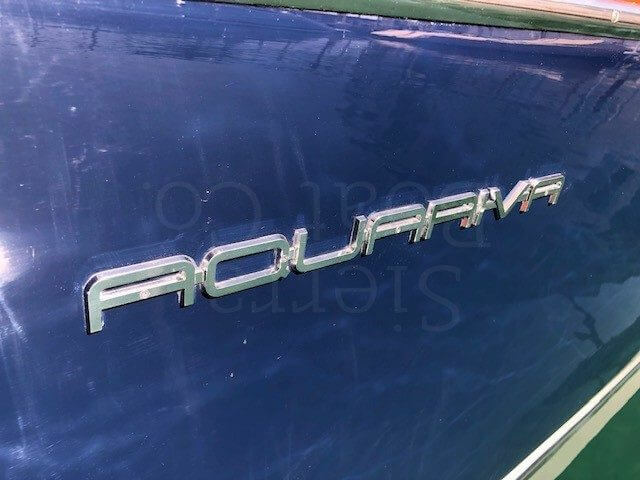 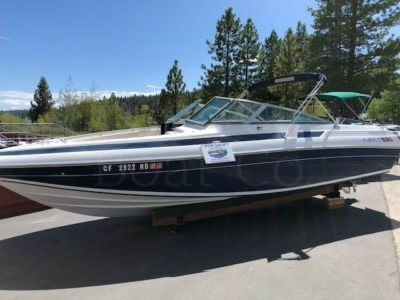 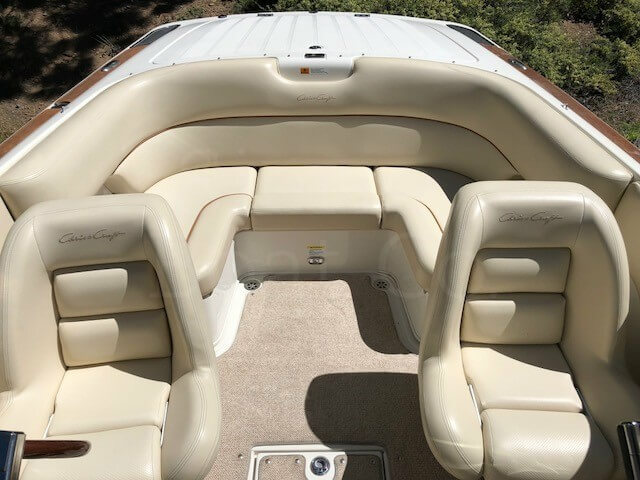 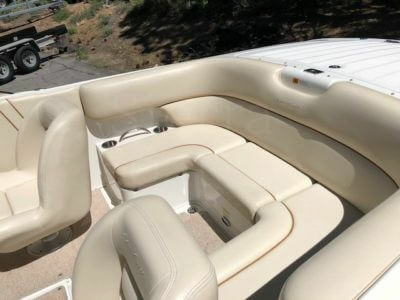 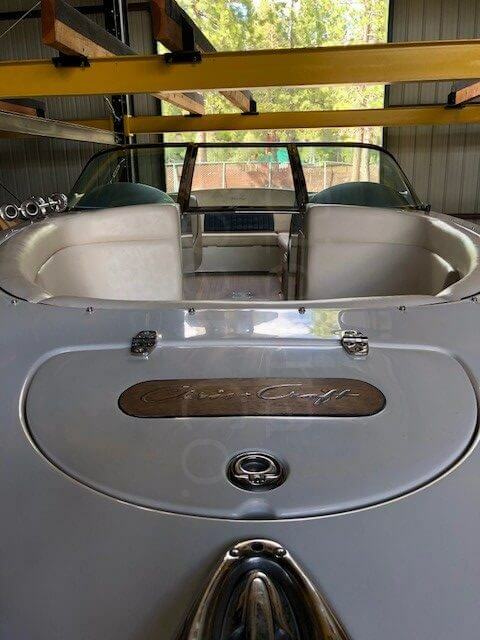 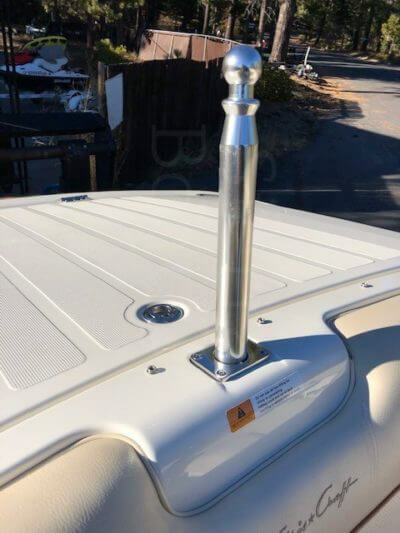 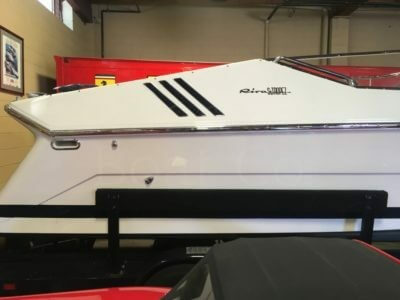 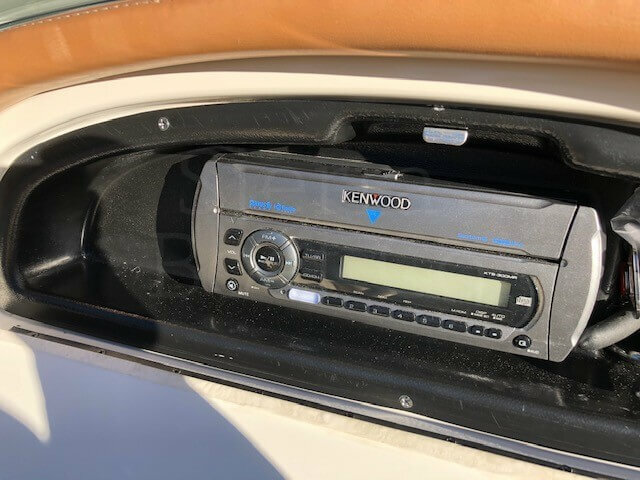 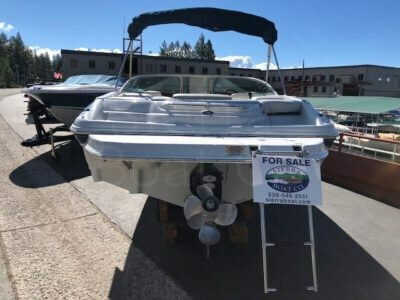 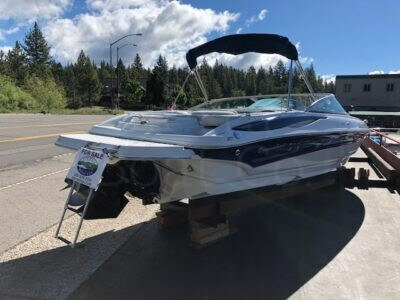 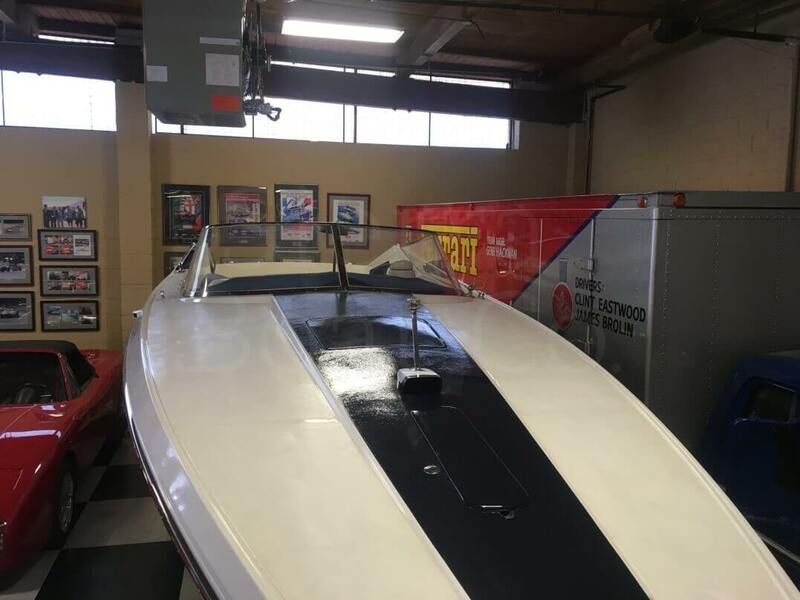 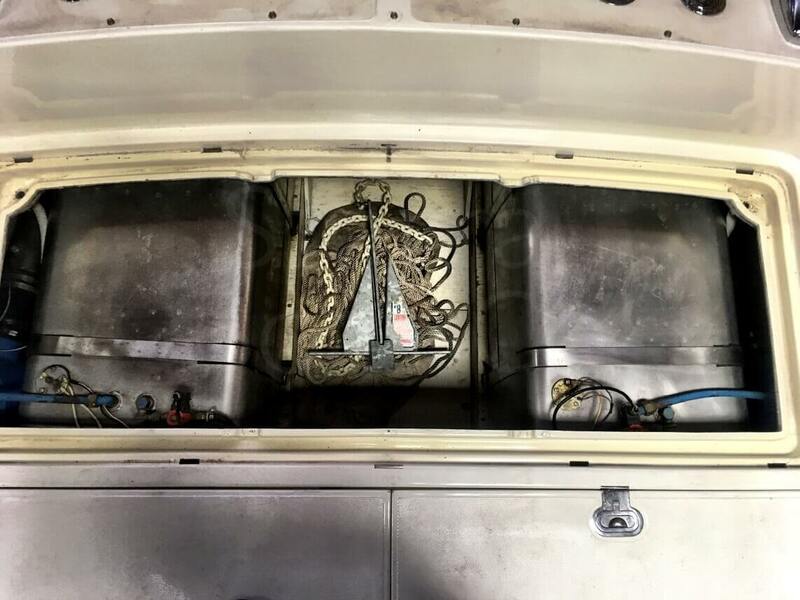 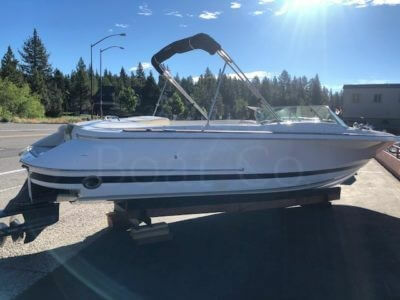 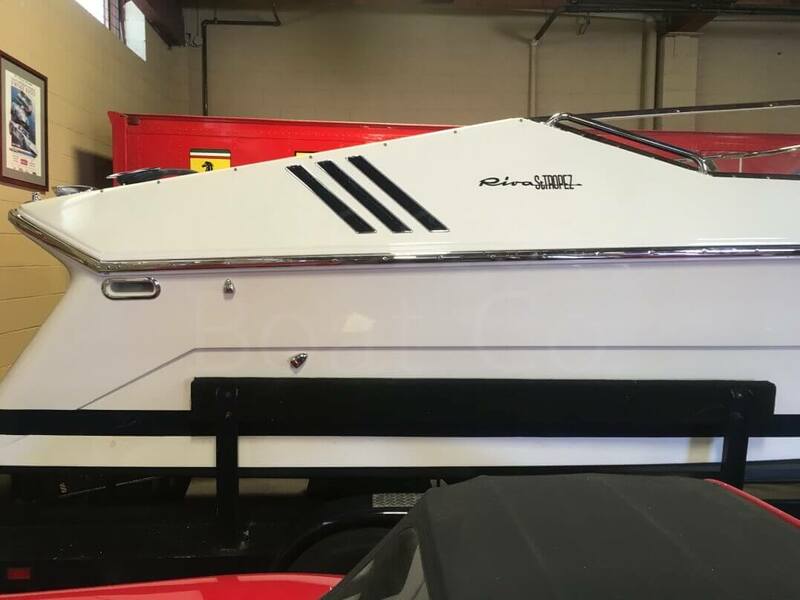 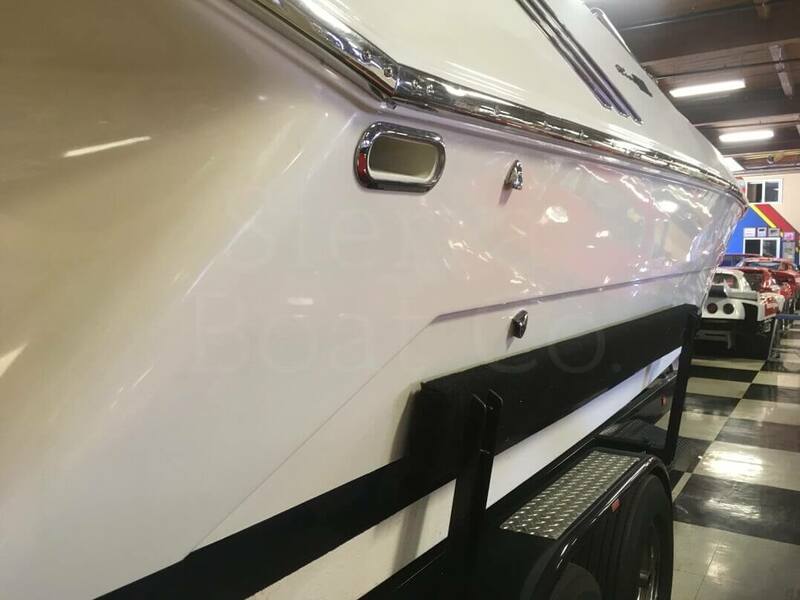 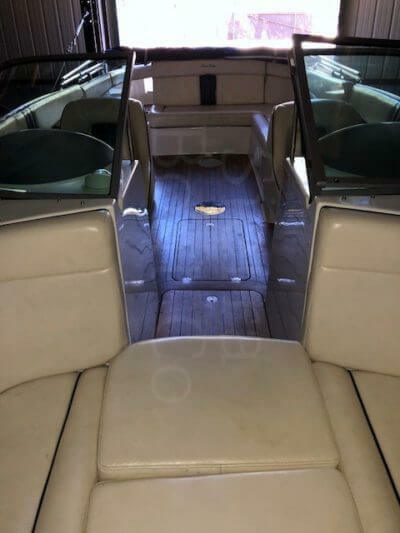 The boat comes with a 2002 Trail-Rite trailer that is in good condition, spare set of stainless-steel props, tonneau covers and a full cover. 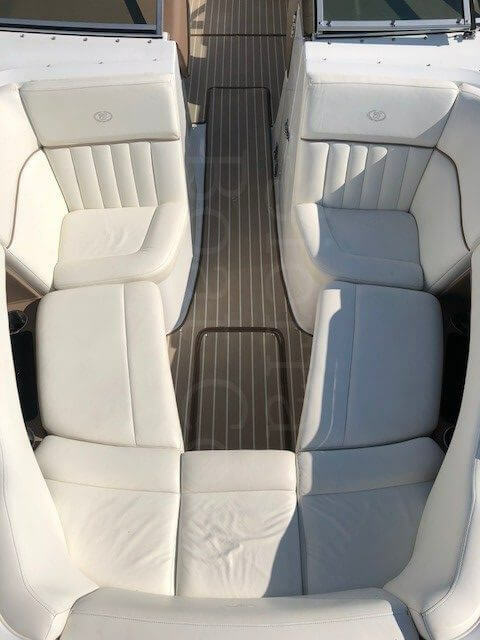 The quality of a Chris Craft is unmatched in the marine industry. 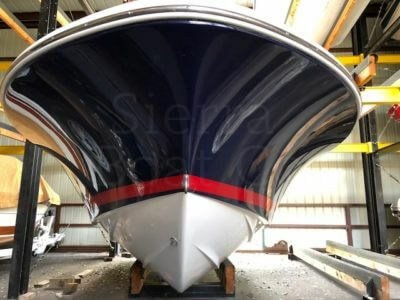 Limited production and hand made quality keeps the value high and the demand for these boats even higher. 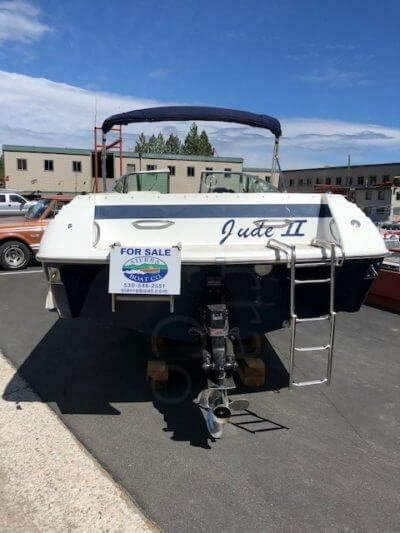 Price: $47,000.00 with trailer or $43,000.00 without trailer. 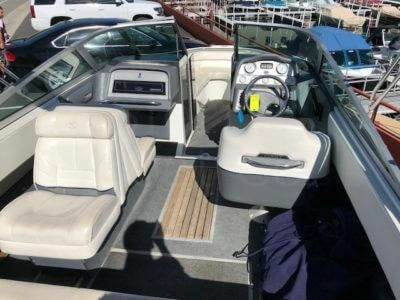 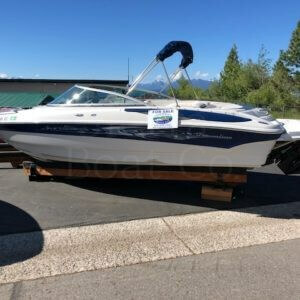 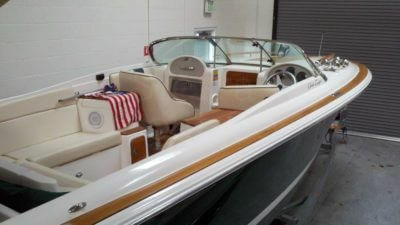 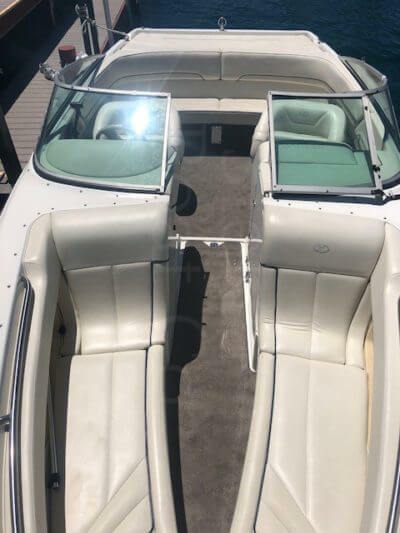 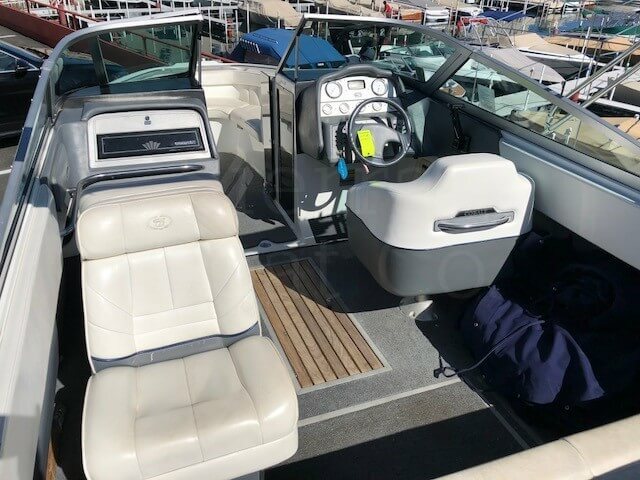 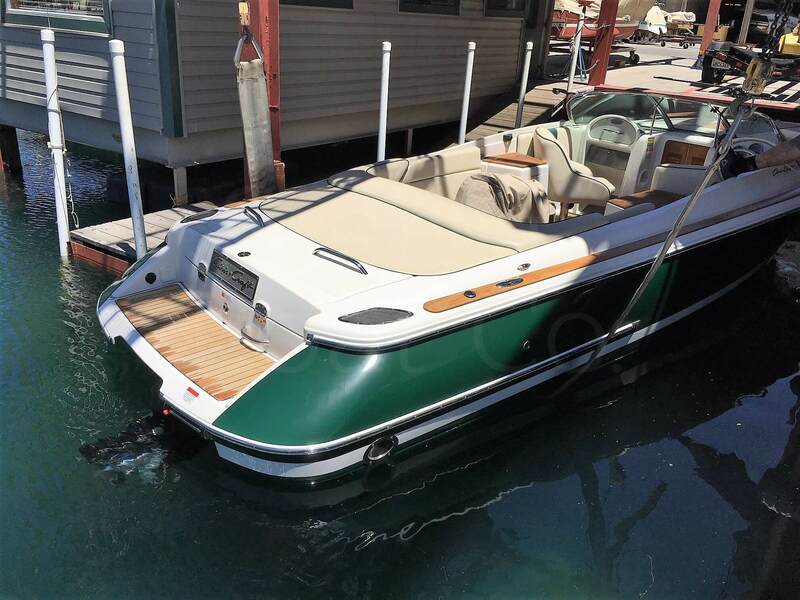 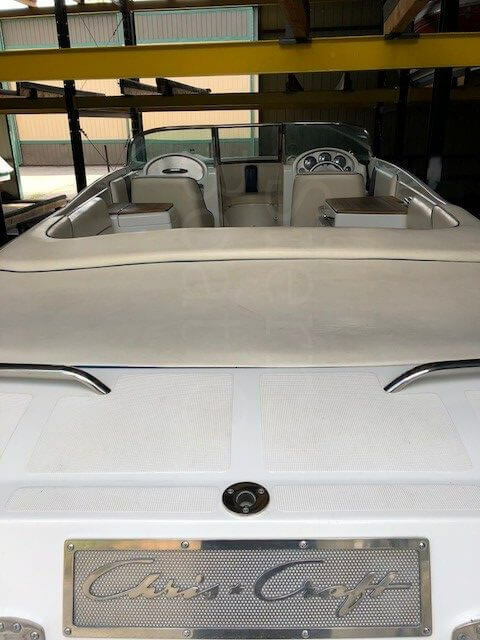 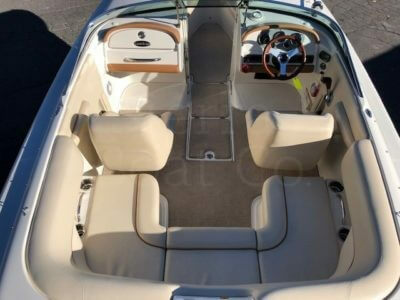 This is a 2003 Chris Craft 25ft Launch with the Heritage Package. 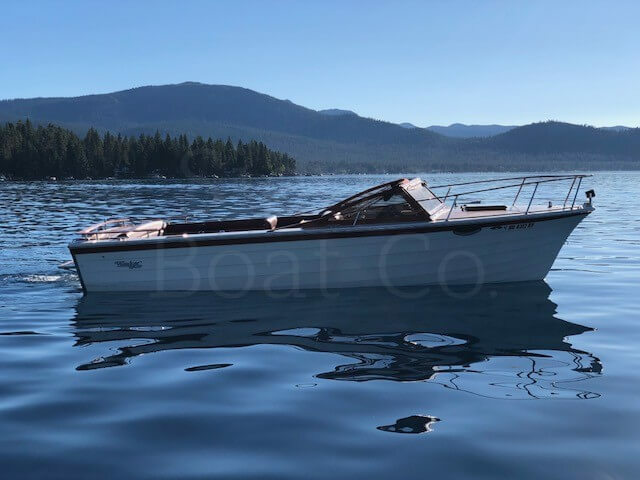 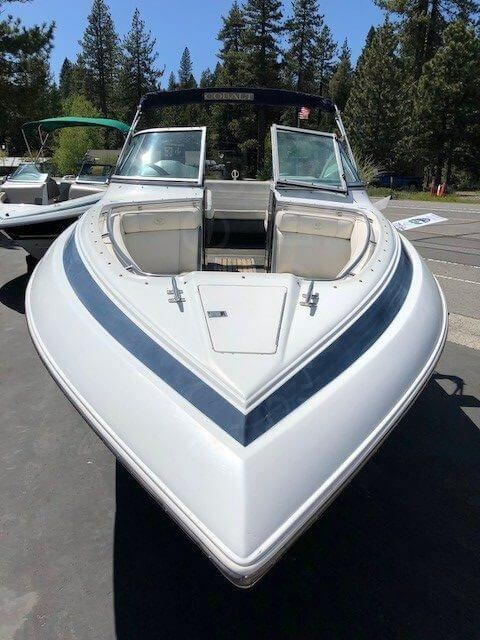 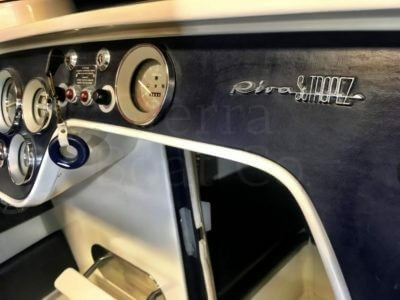 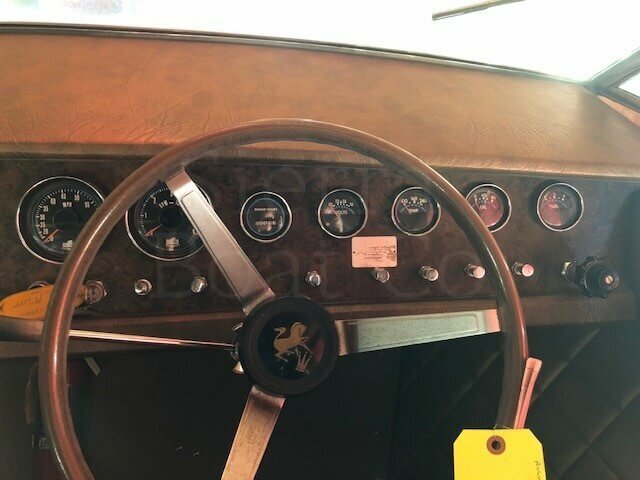 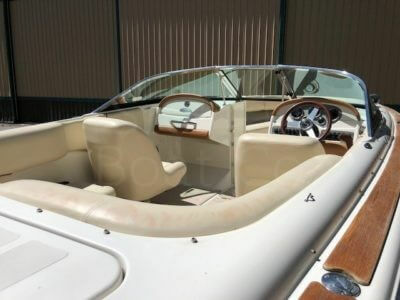 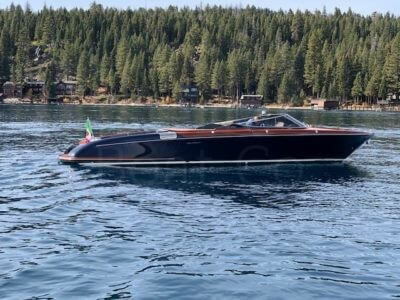 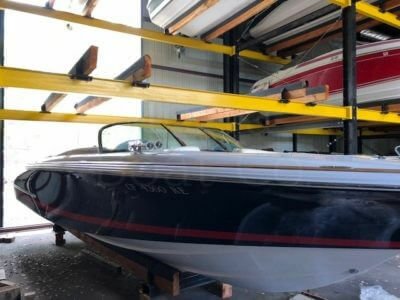 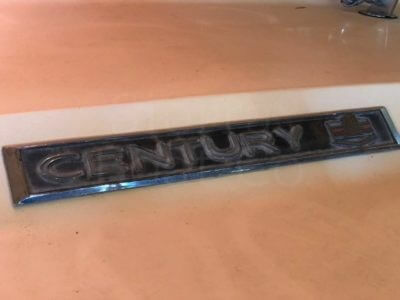 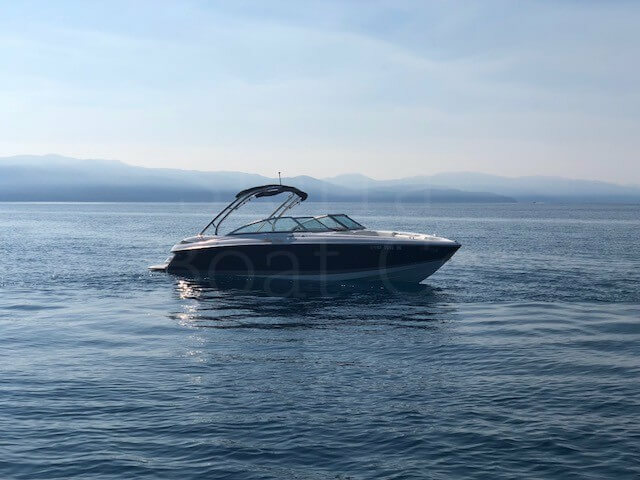 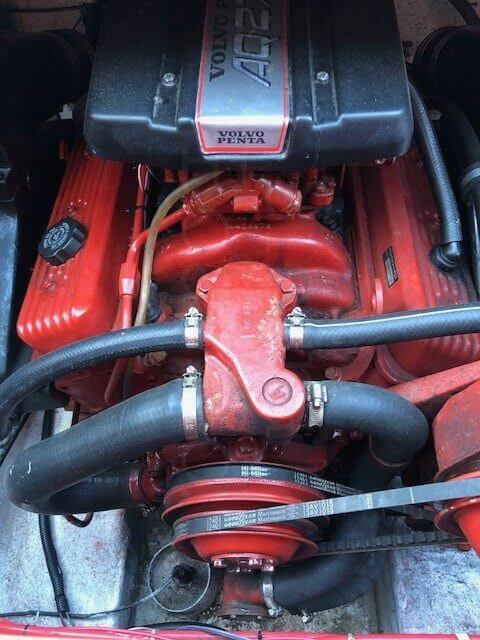 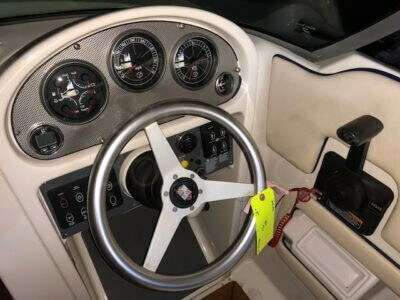 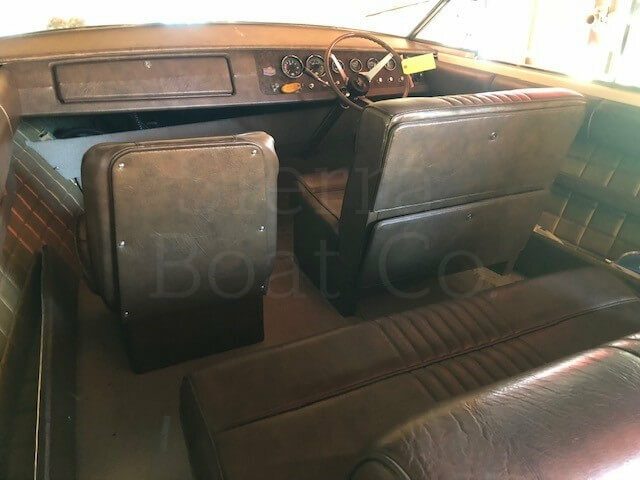 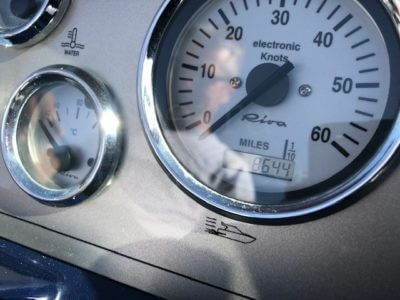 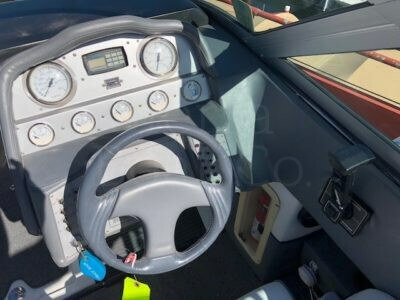 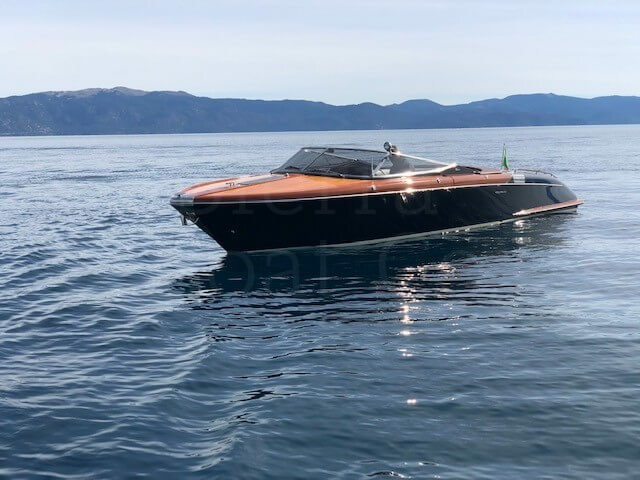 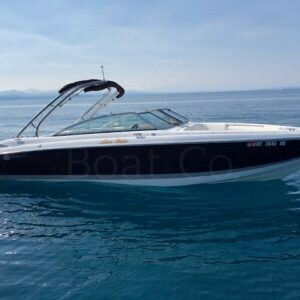 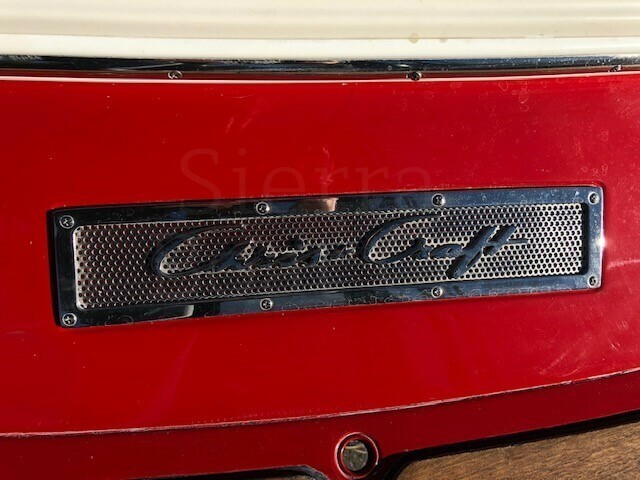 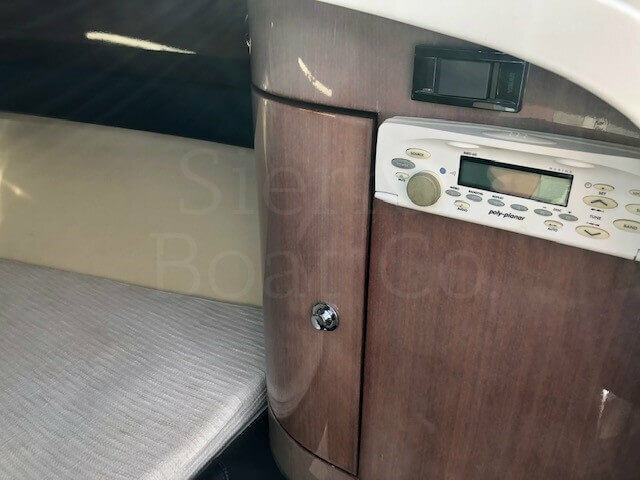 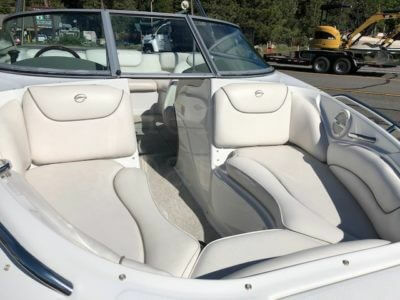 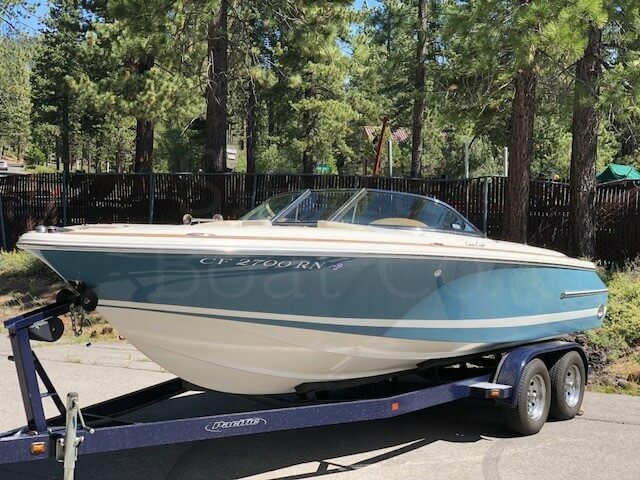 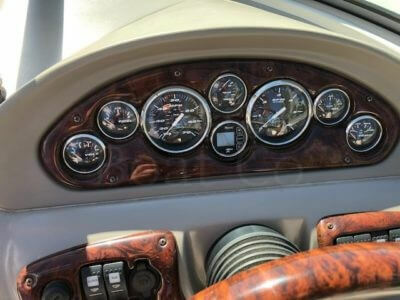 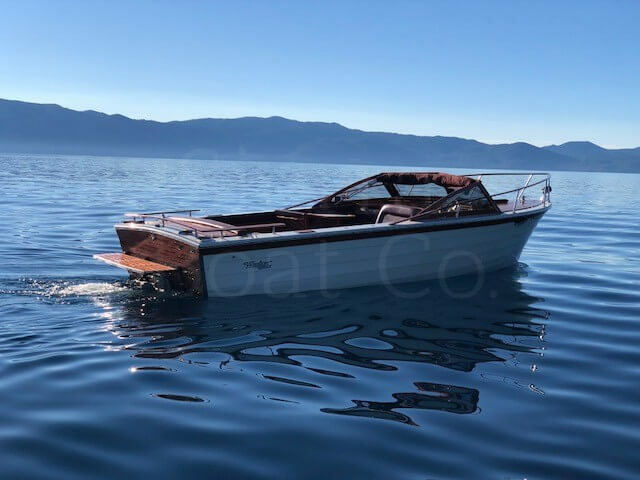 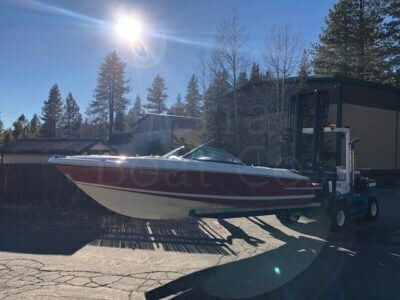 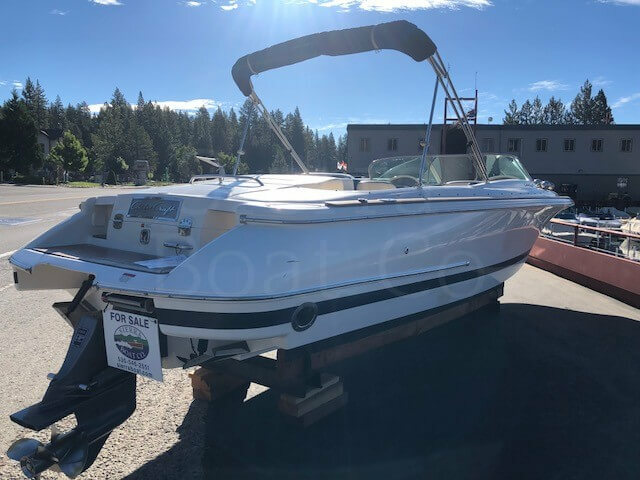 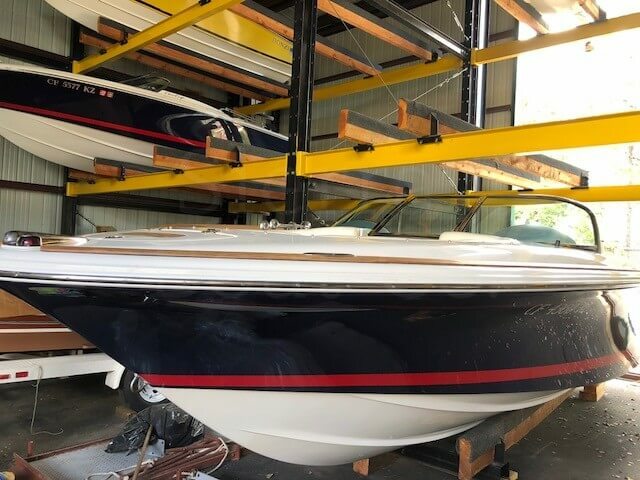 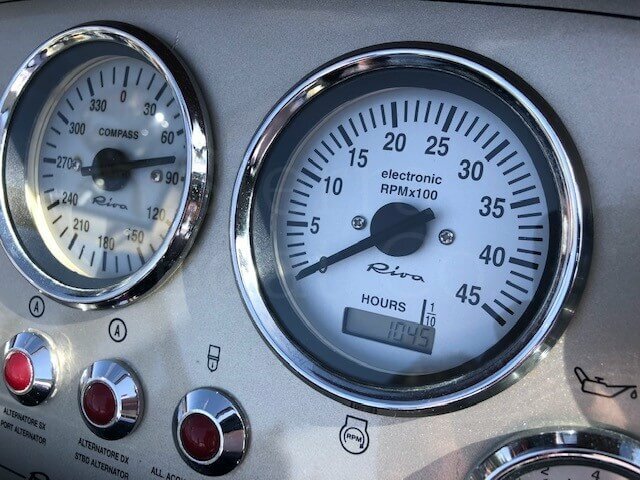 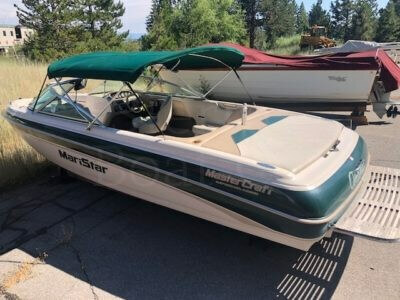 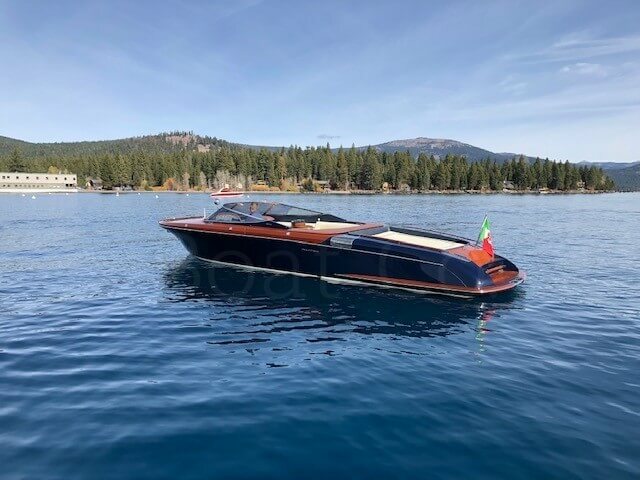 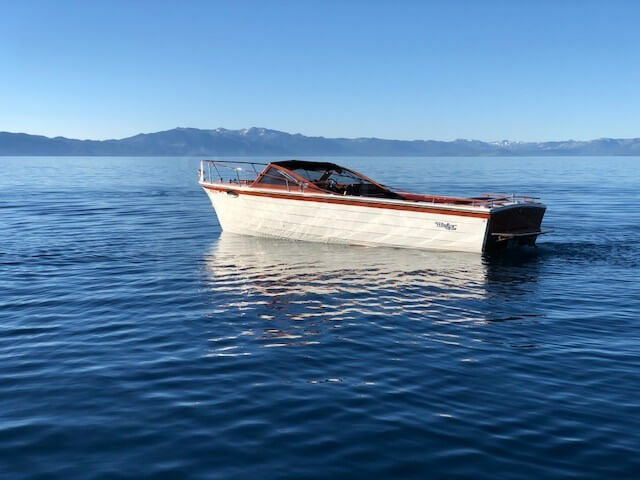 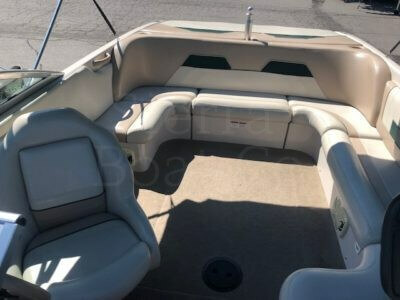 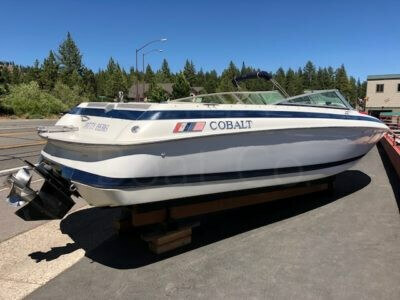 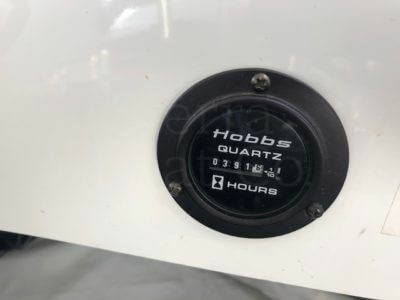 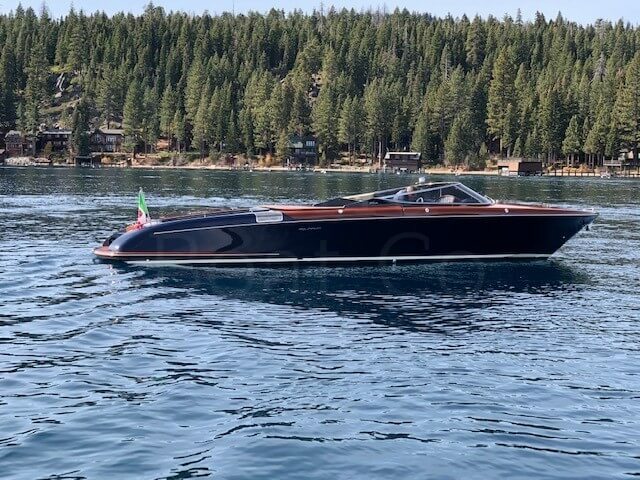 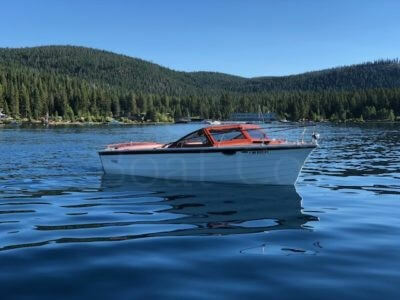 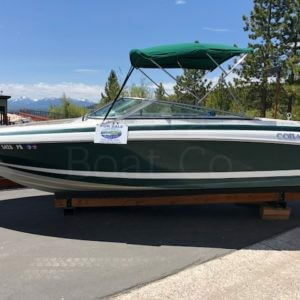 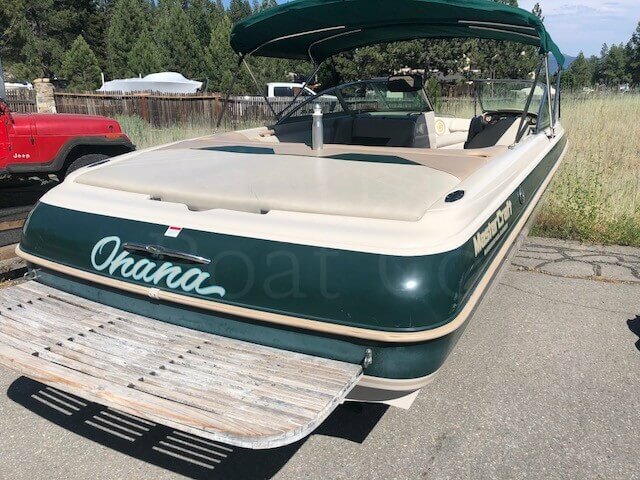 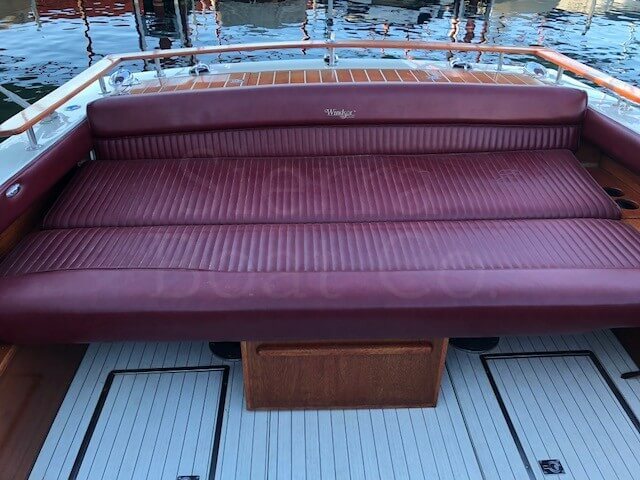 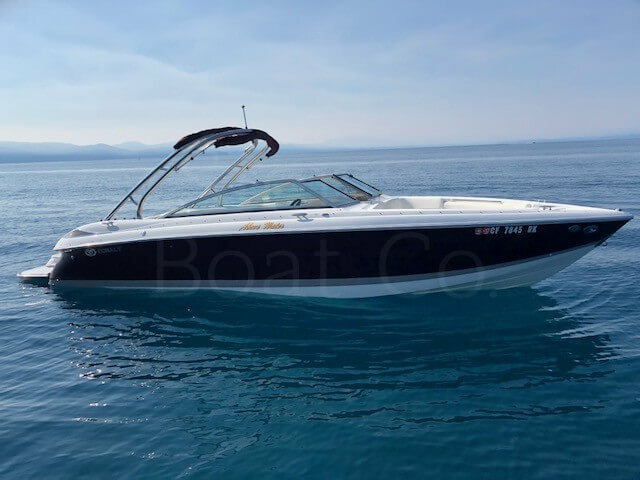 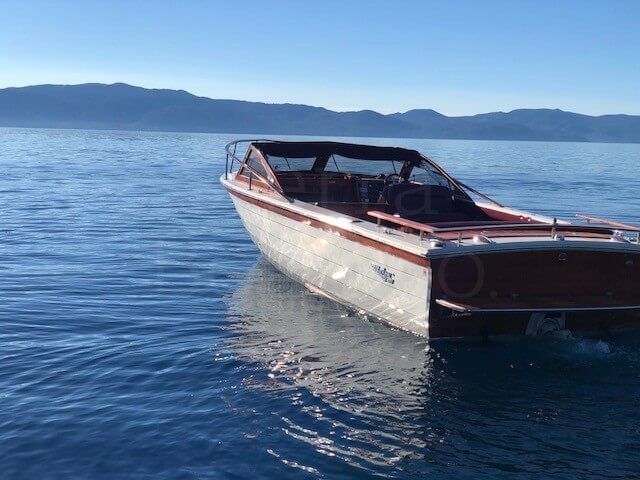 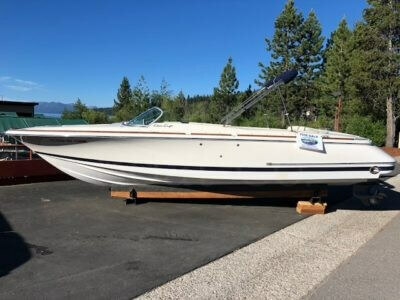 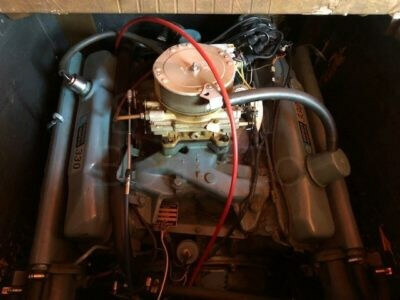 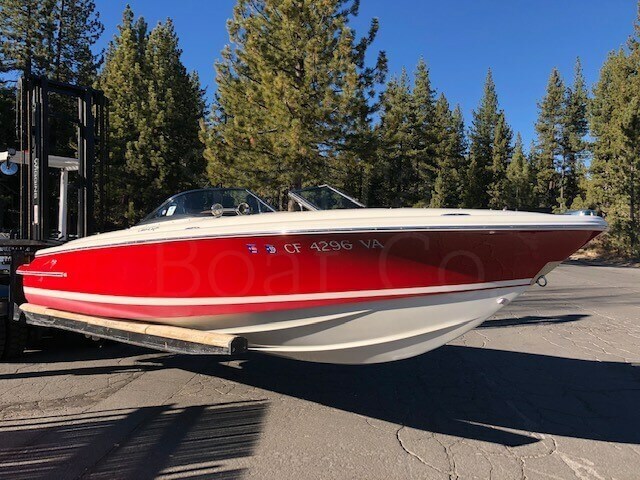 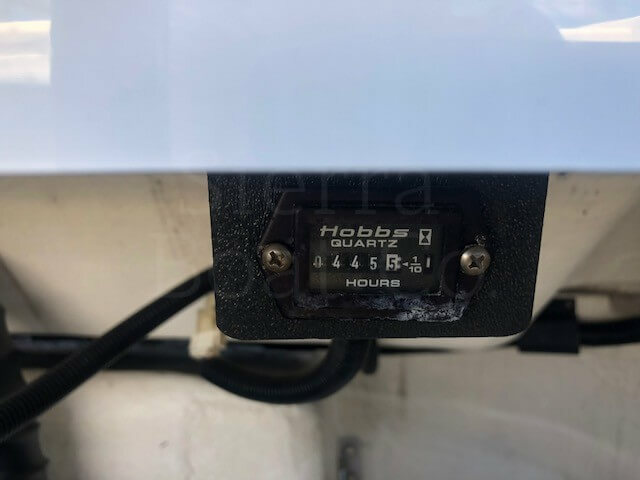 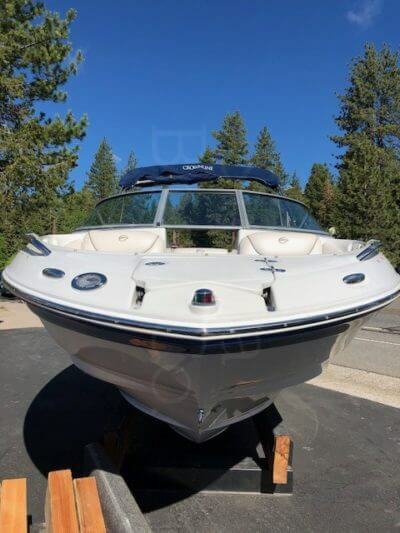 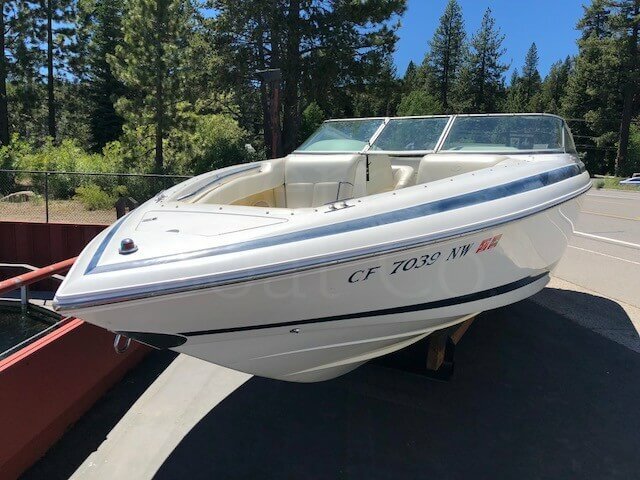 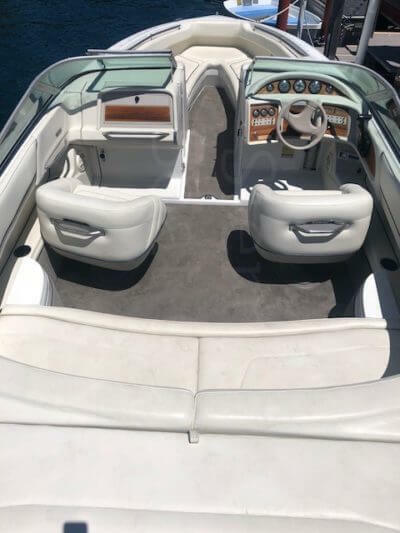 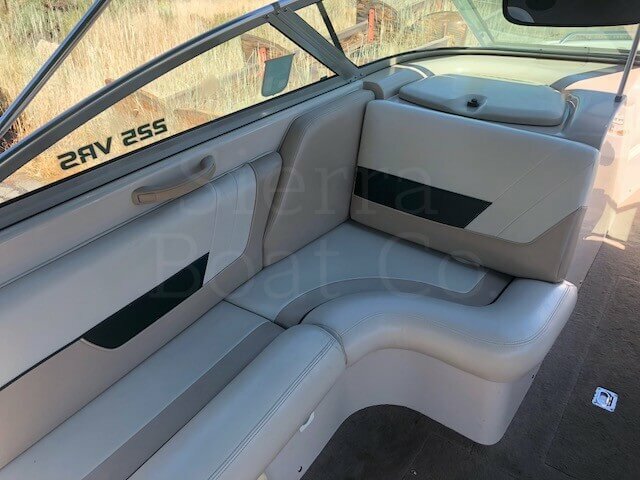 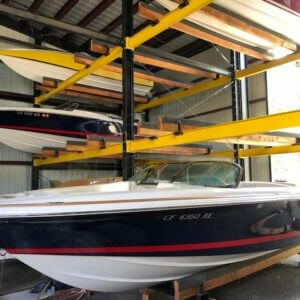 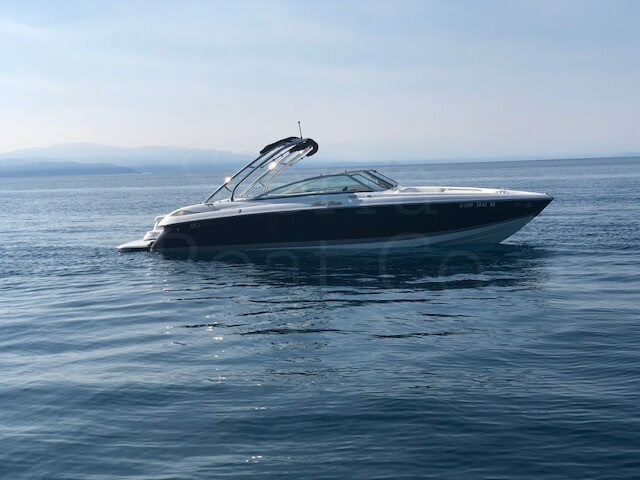 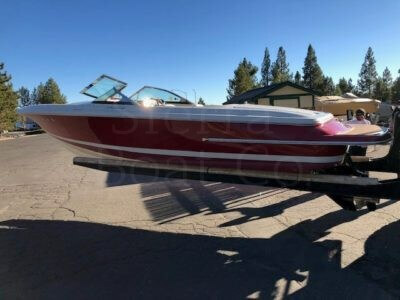 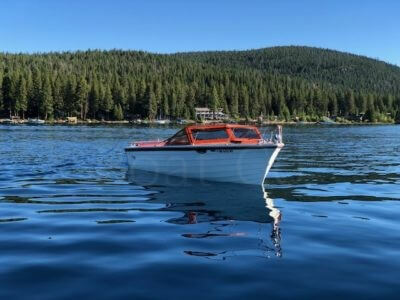 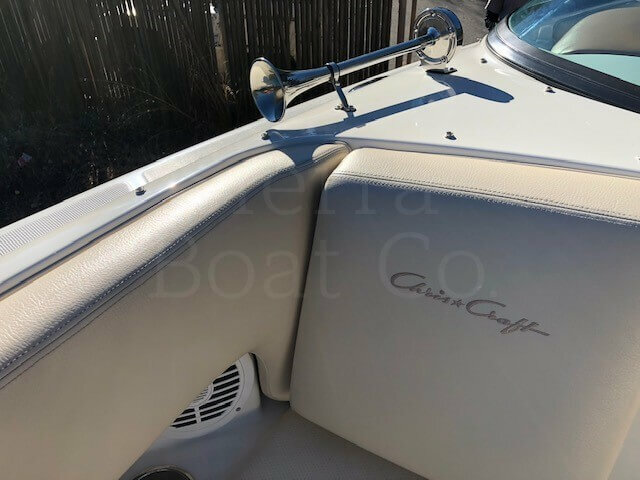 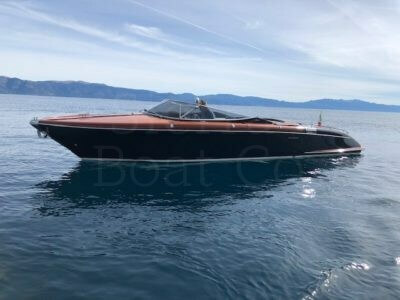 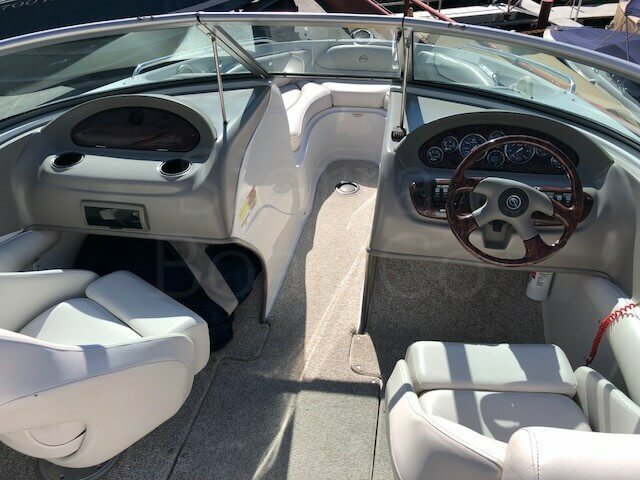 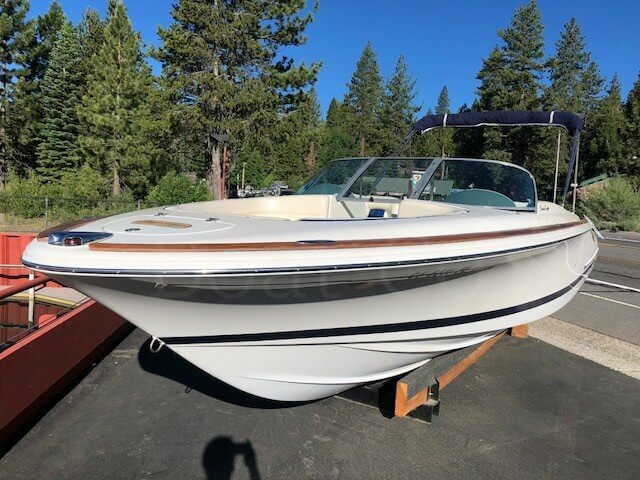 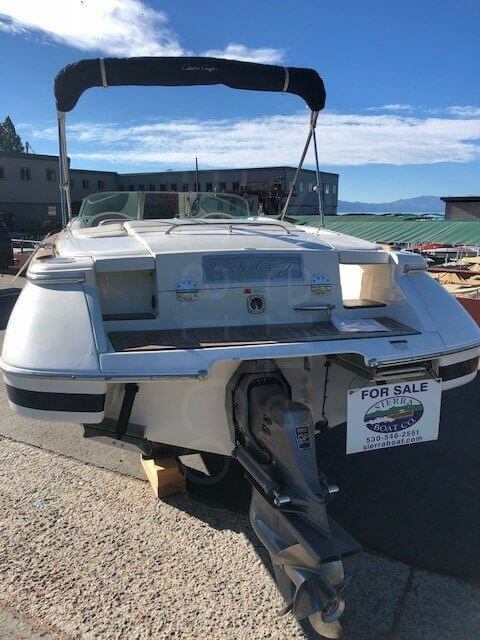 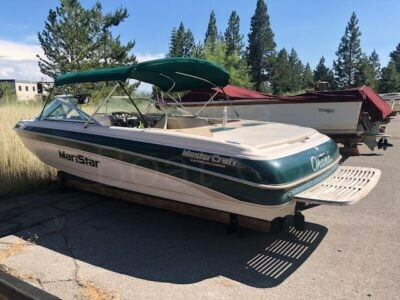 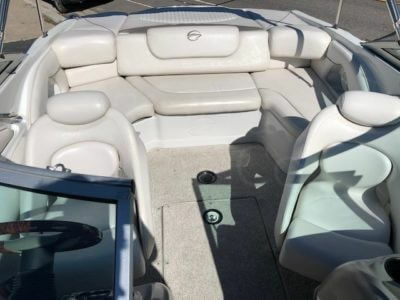 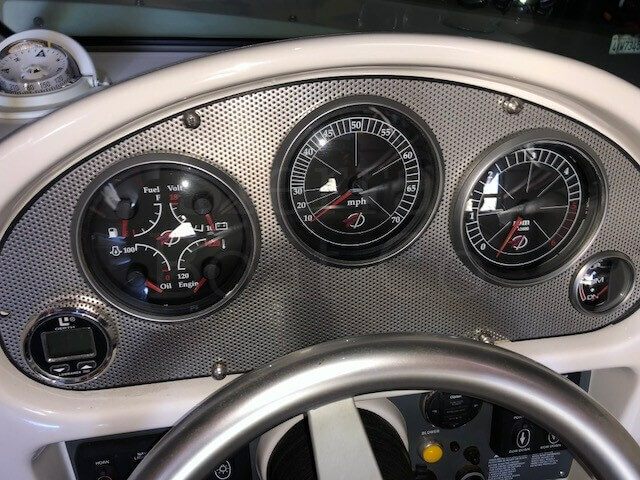 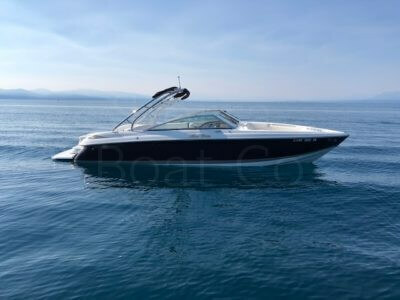 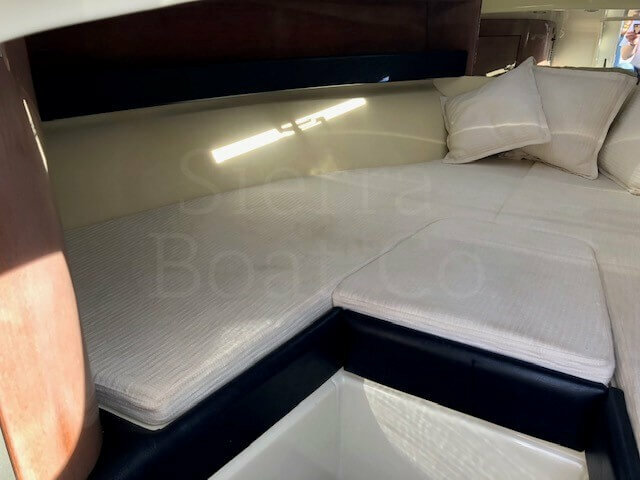 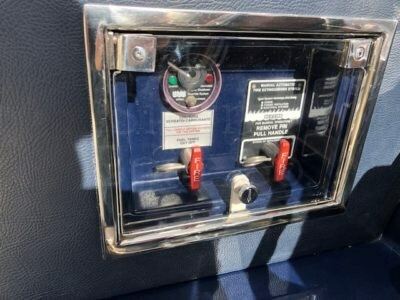 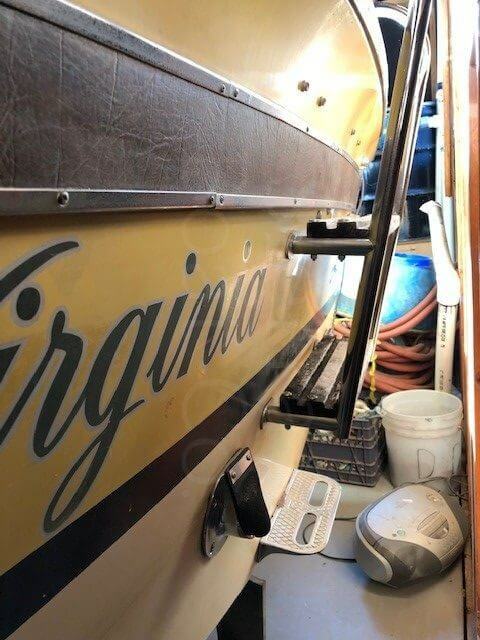 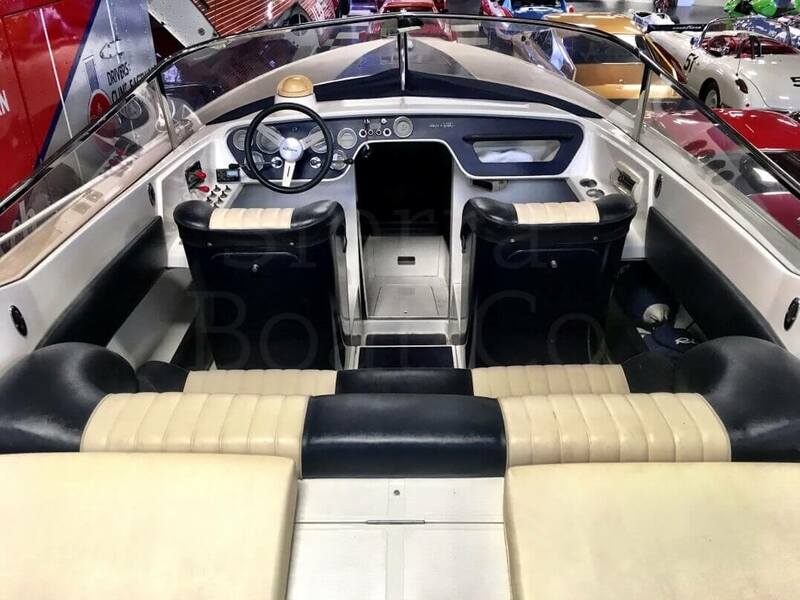 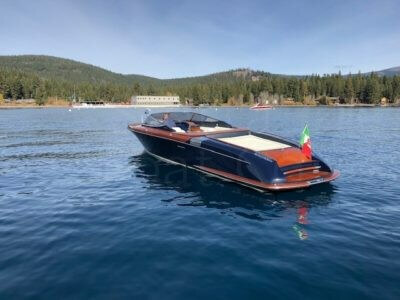 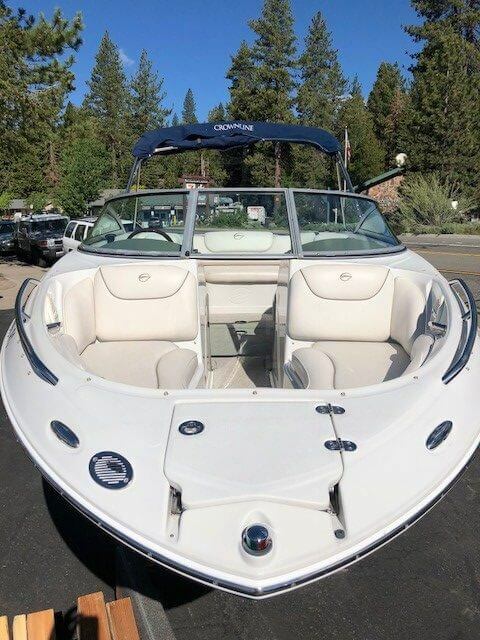 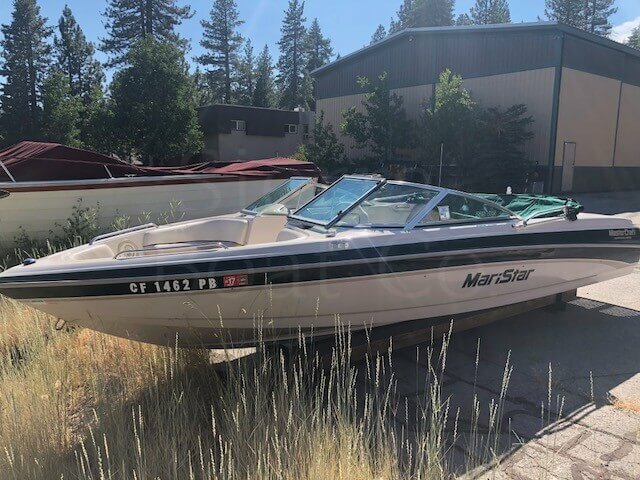 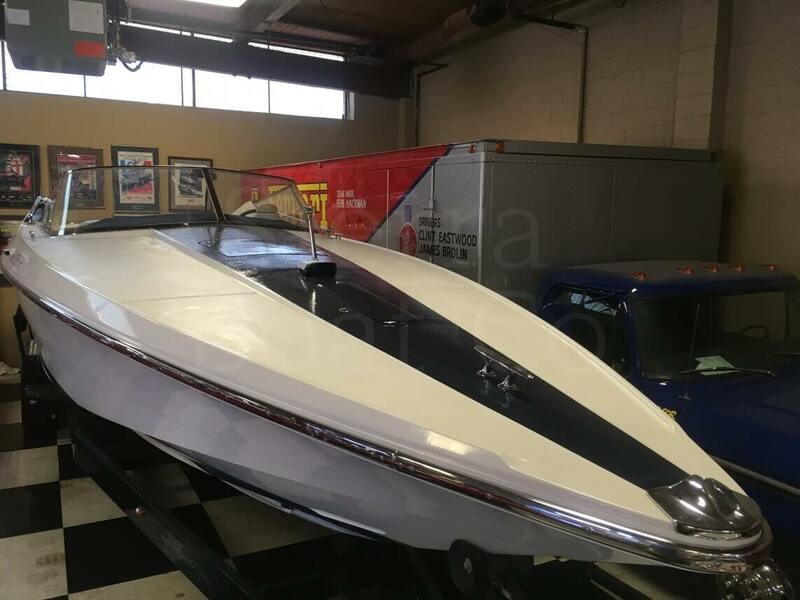 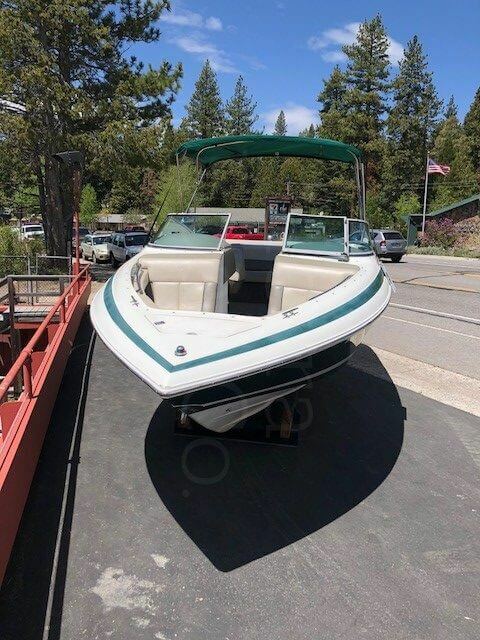 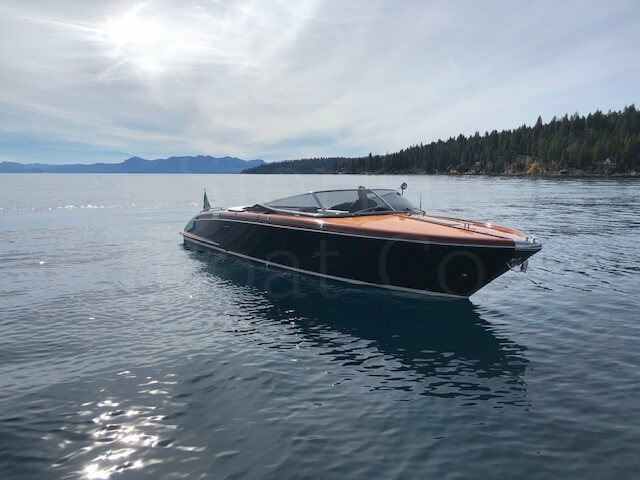 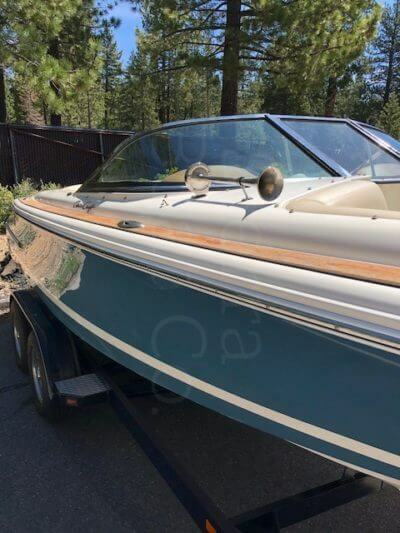 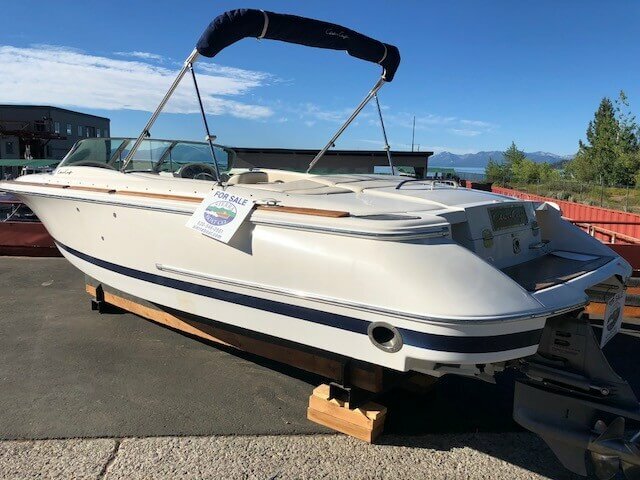 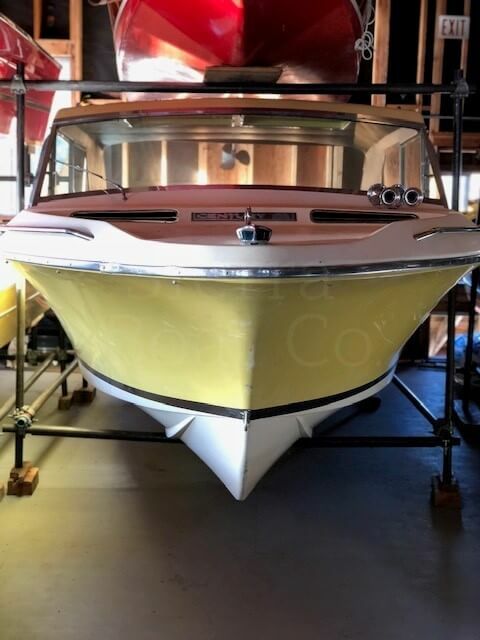 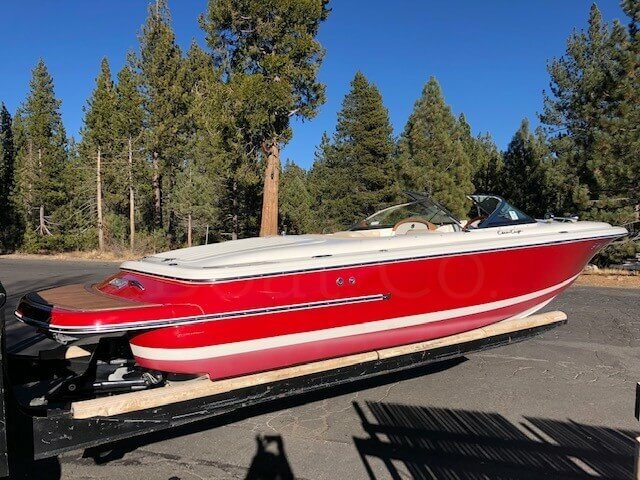 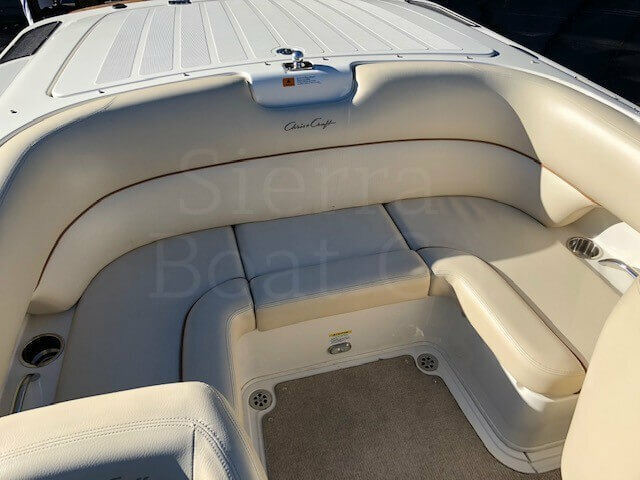 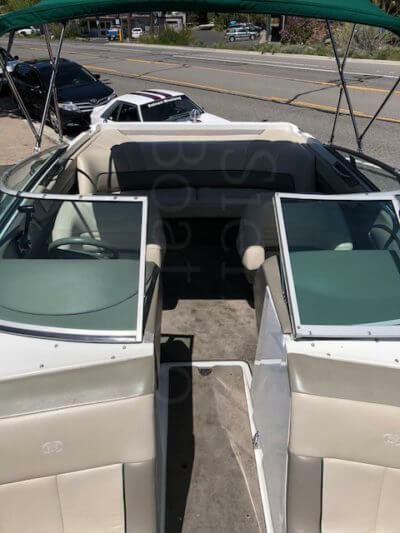 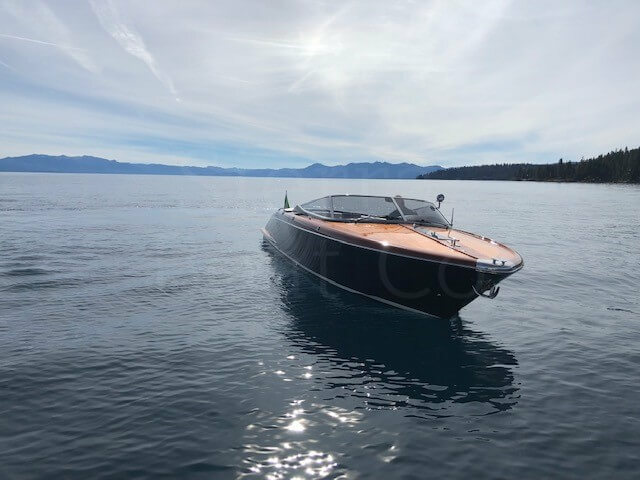 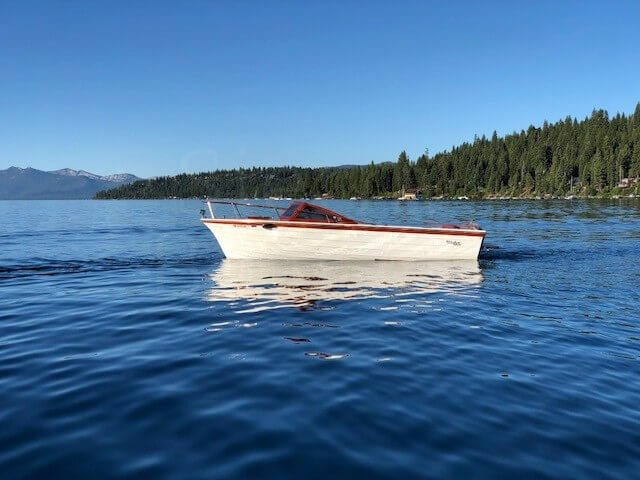 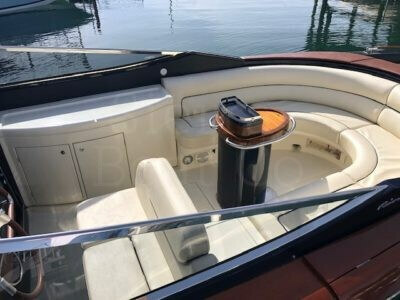 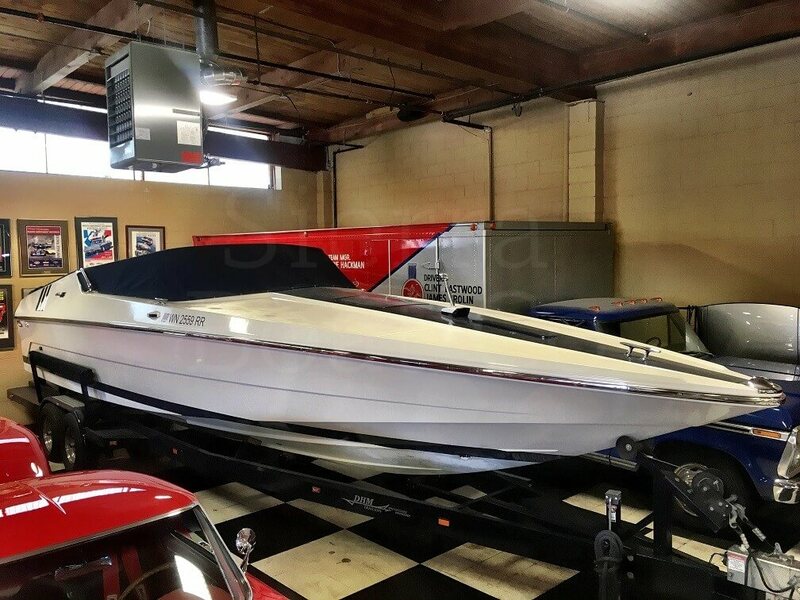 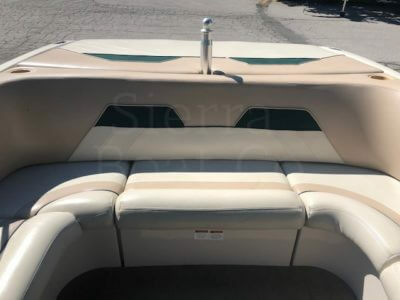 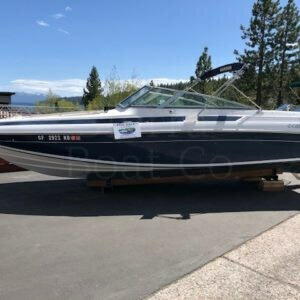 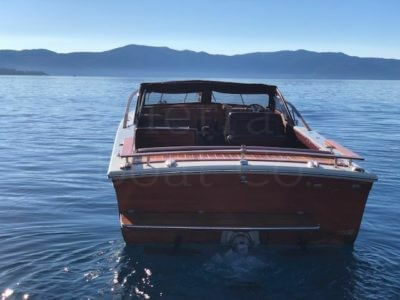 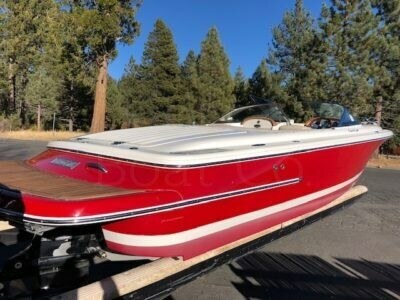 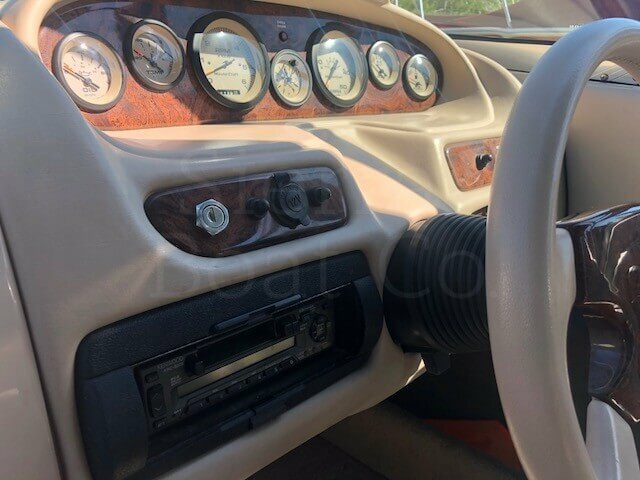 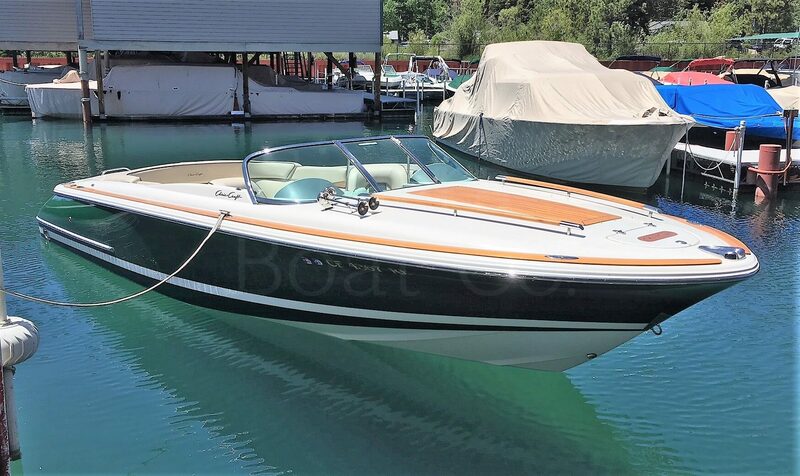 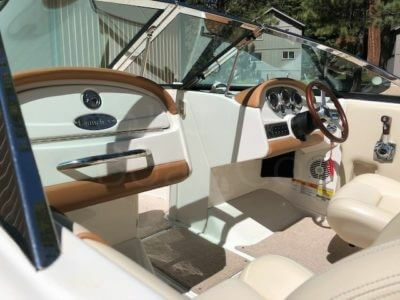 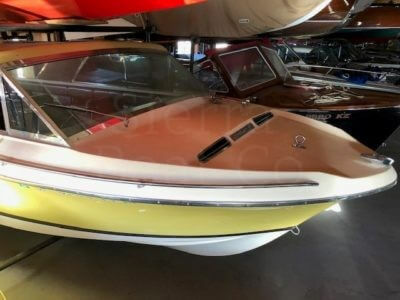 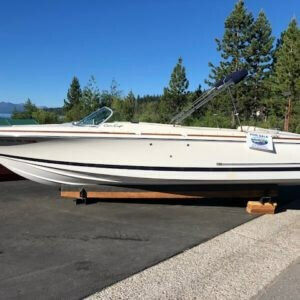 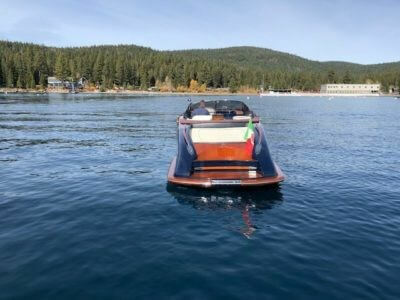 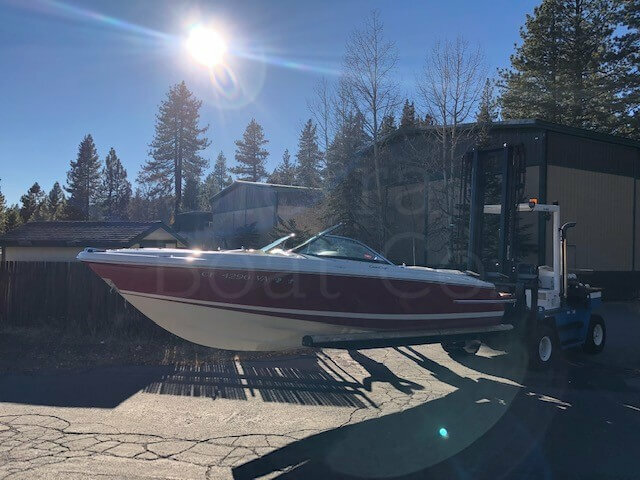 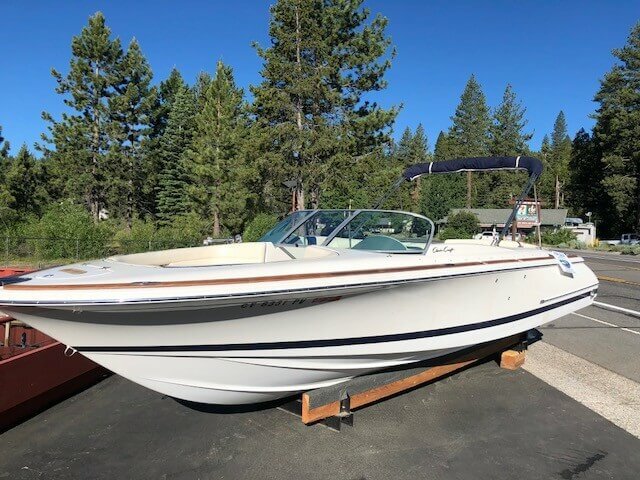 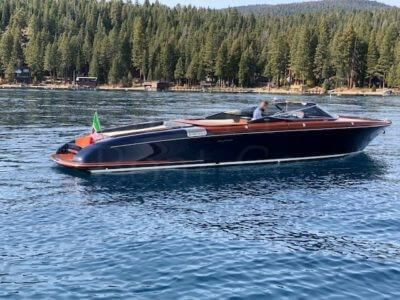 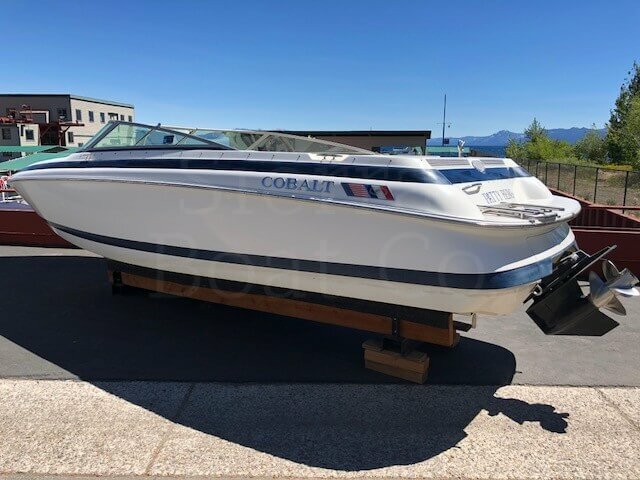 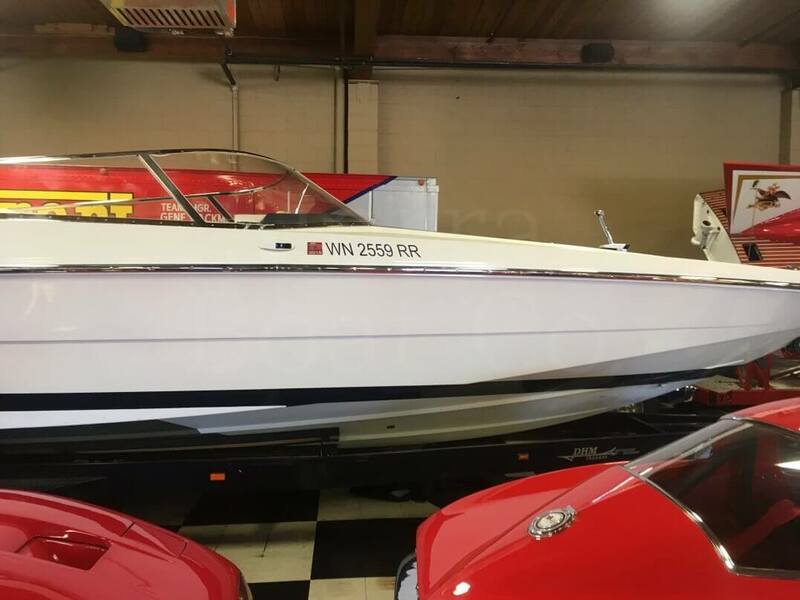 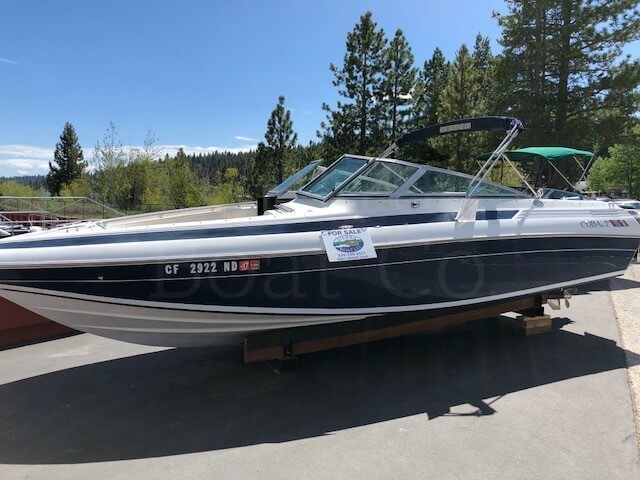 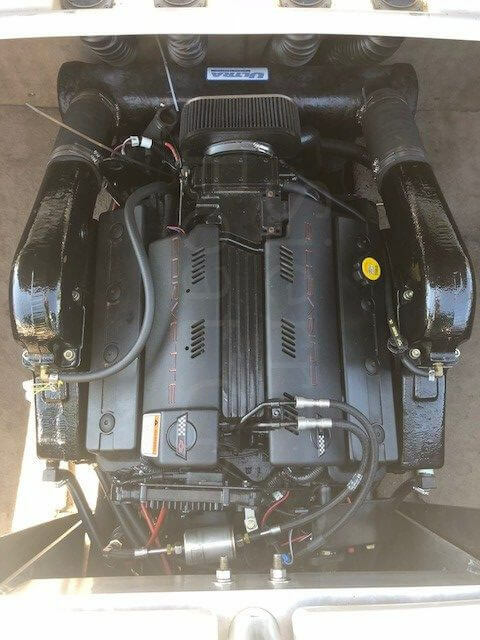 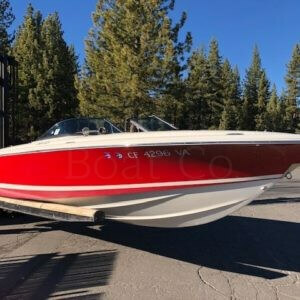 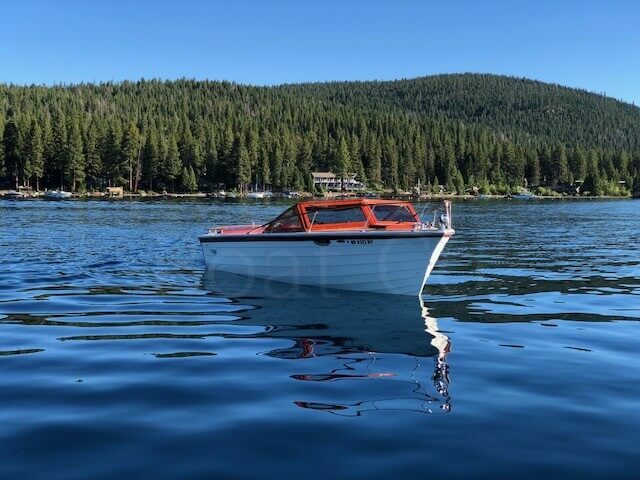 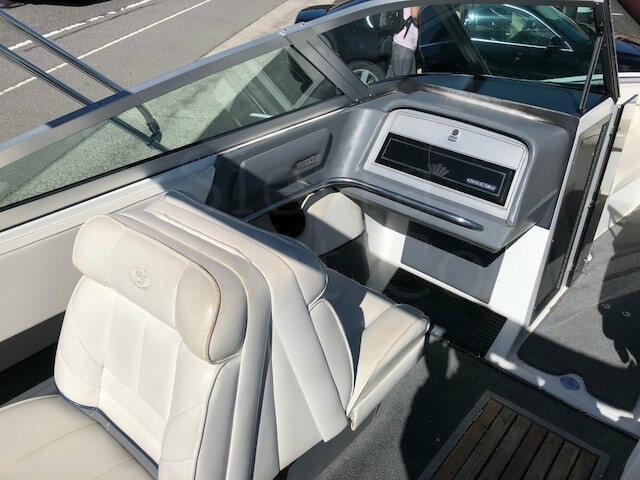 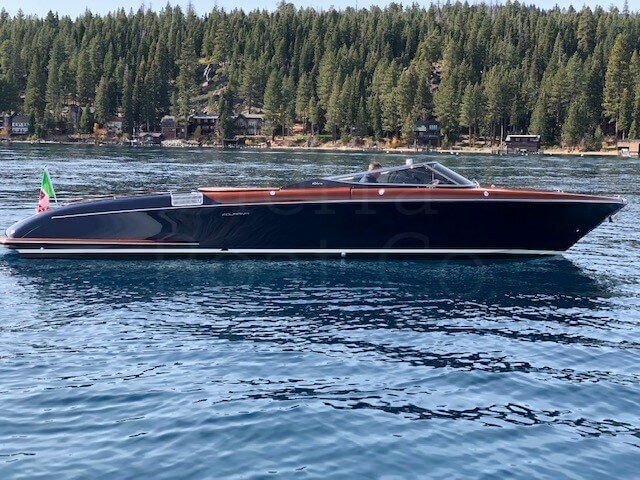 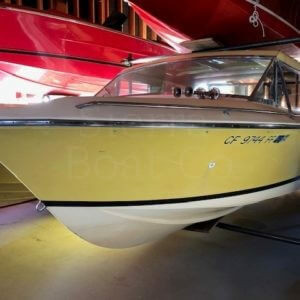 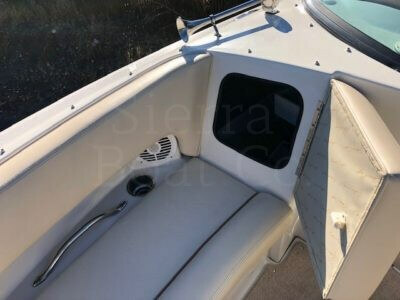 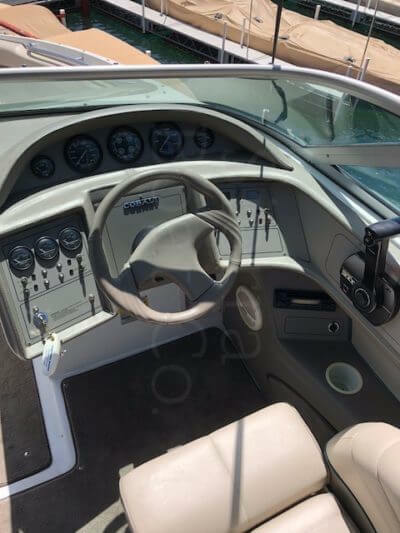 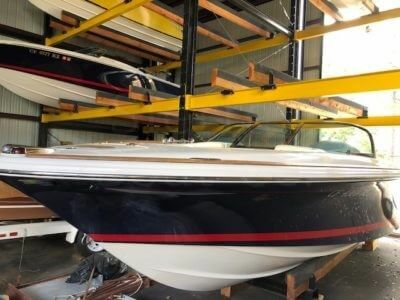 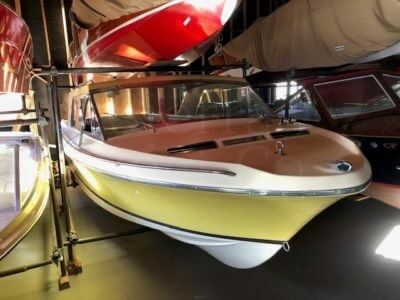 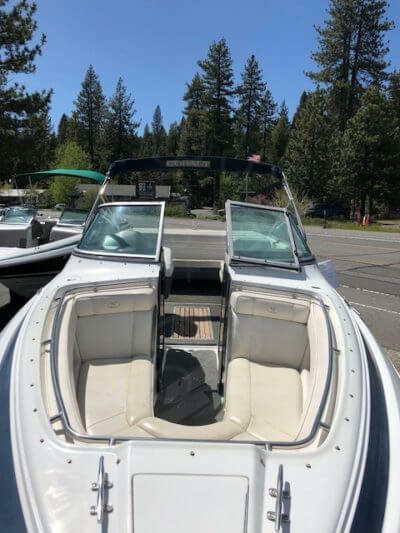 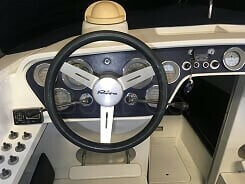 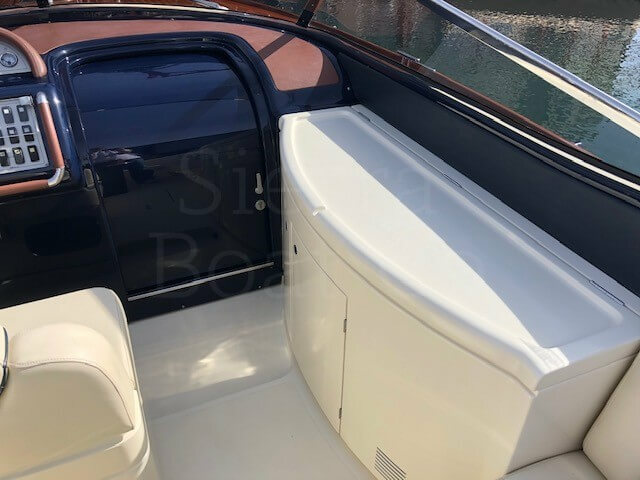 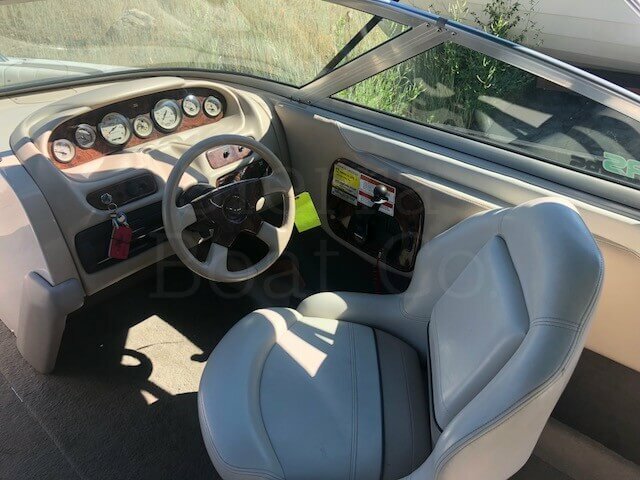 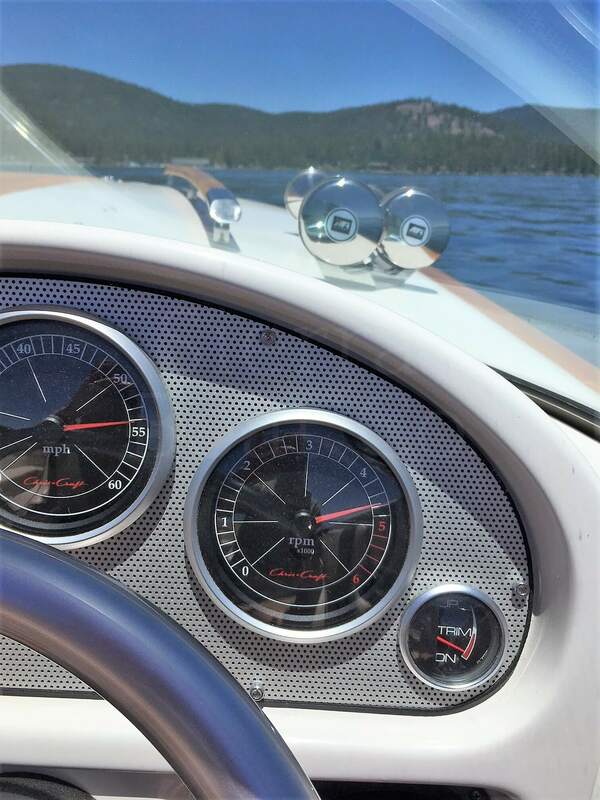 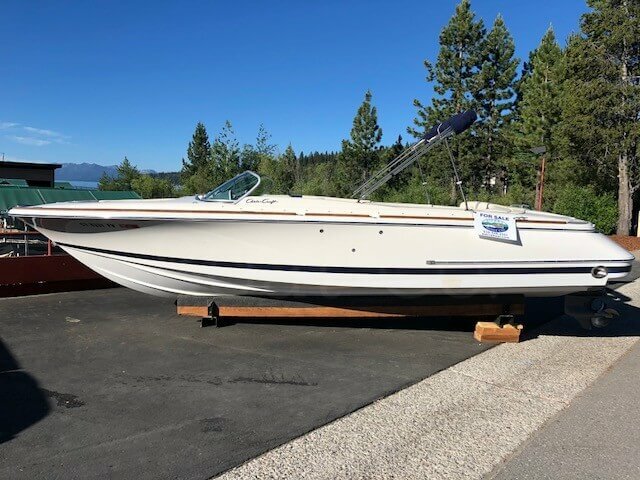 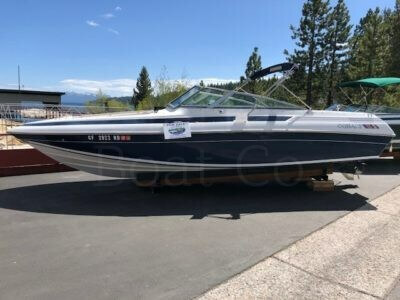 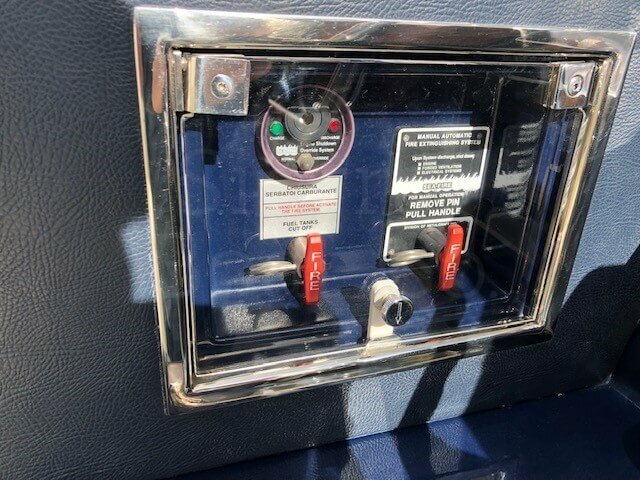 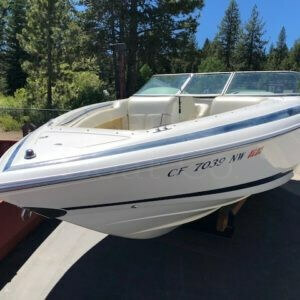 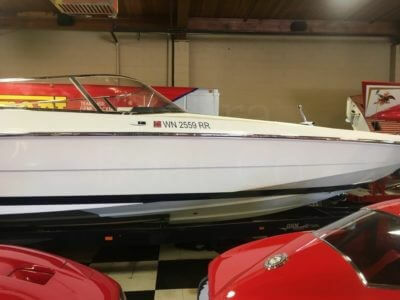 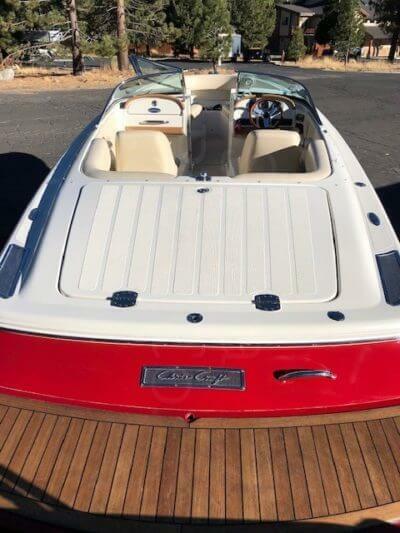 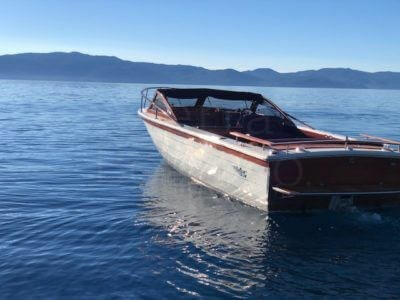 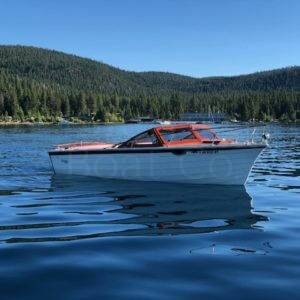 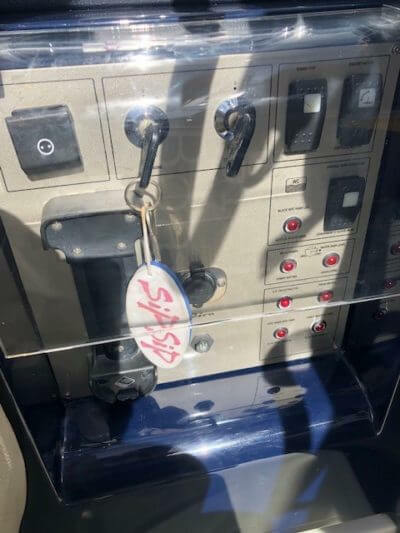 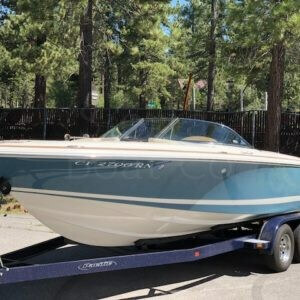 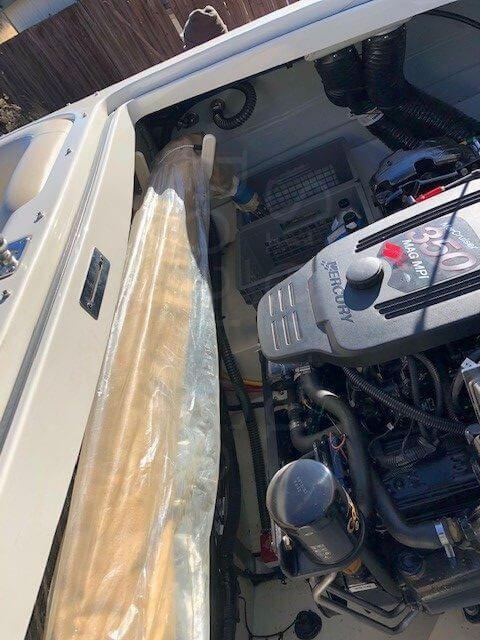 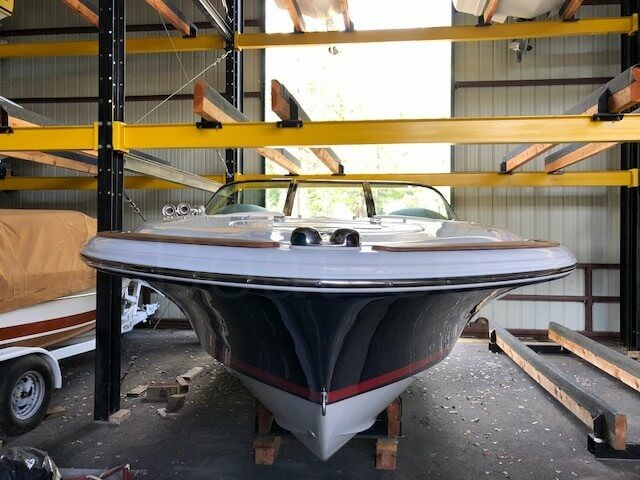 It is in very good condition, with low engine hours, and has been maintained by Sierra Boat for the entire life of the boat. 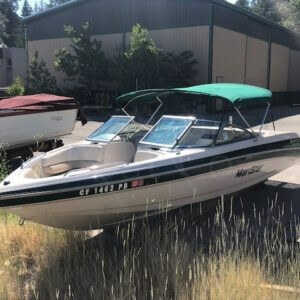 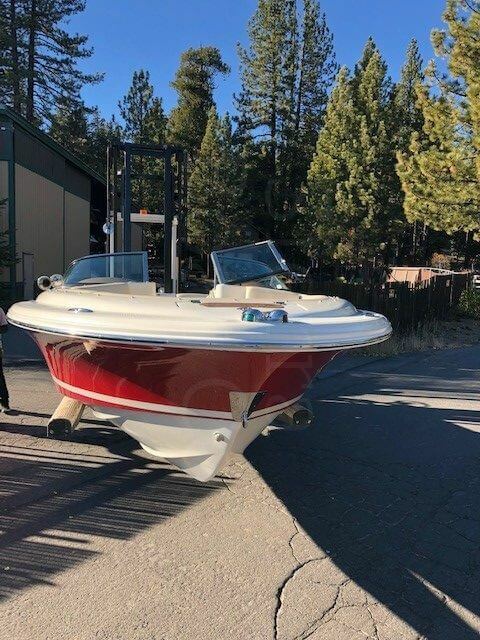 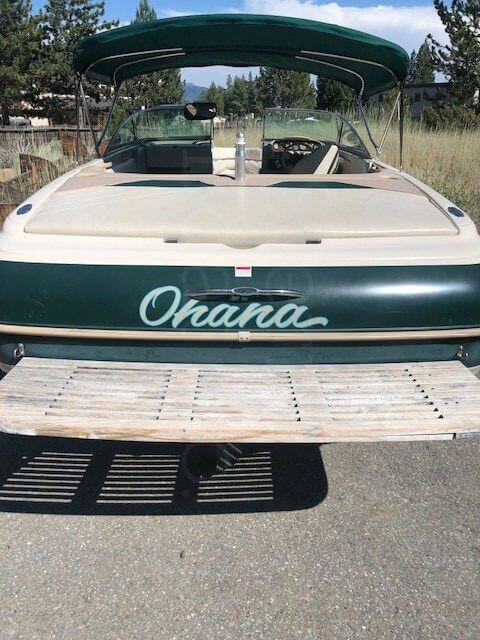 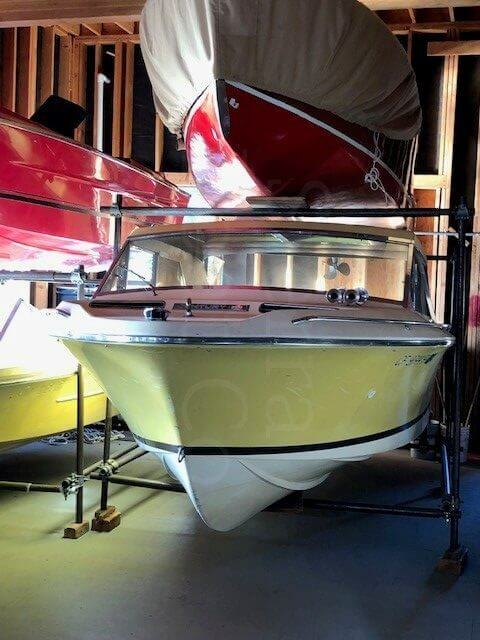 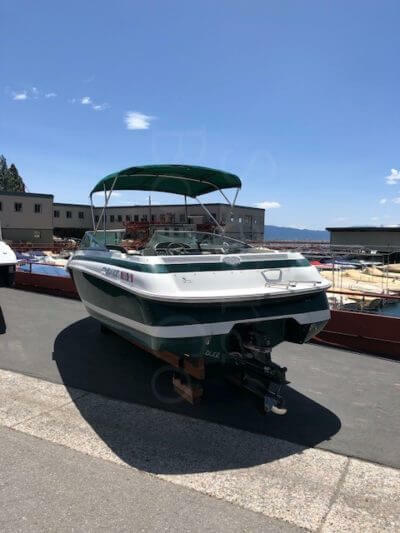 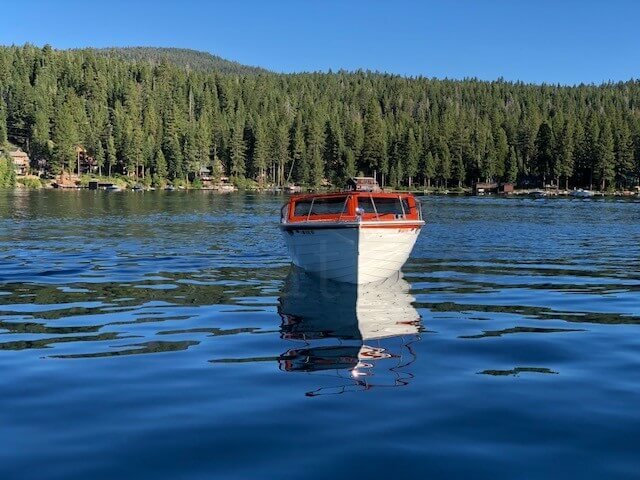 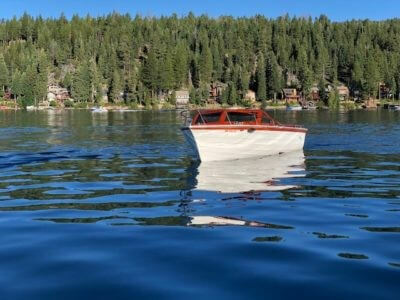 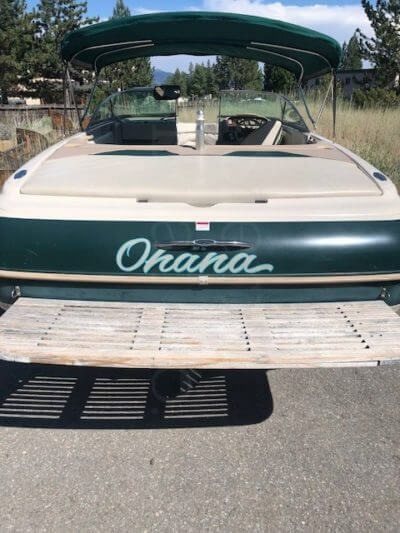 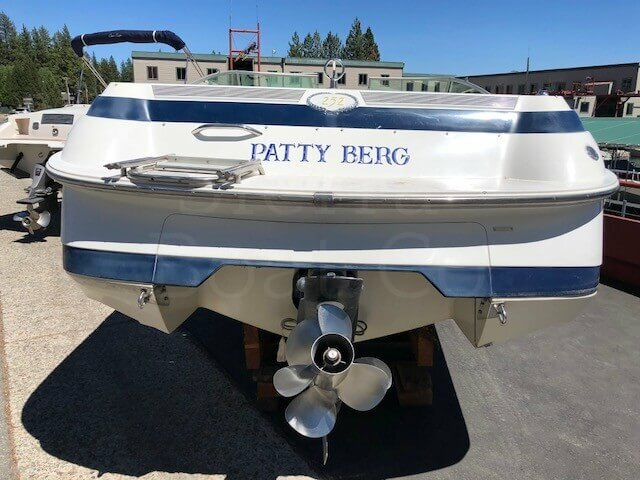 This boat has never left the lake and it has been stored at Sierra Boat since new. It is equipped with the desirable Heritage Package which adds teak to the interior and exterior of the boat. 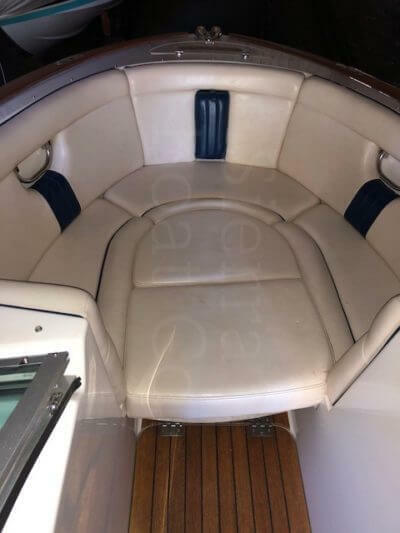 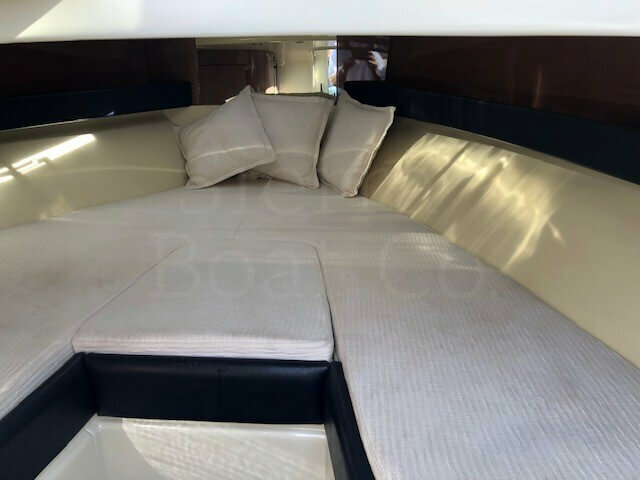 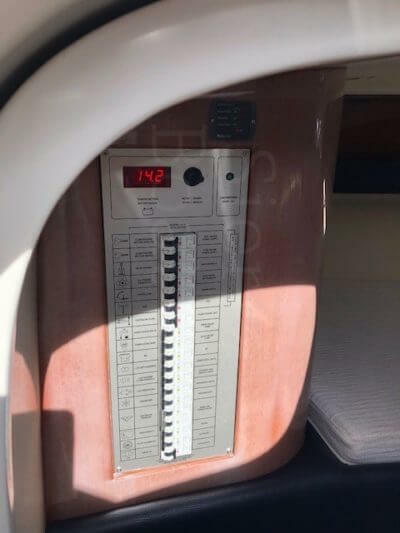 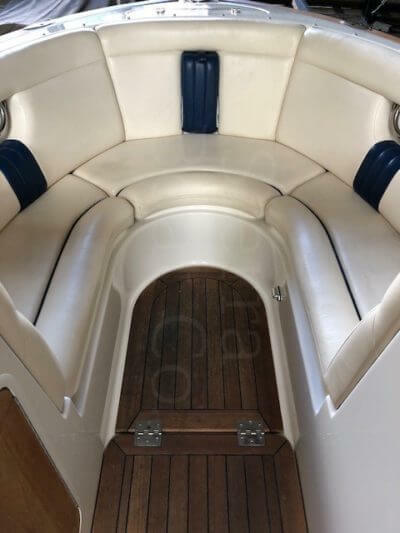 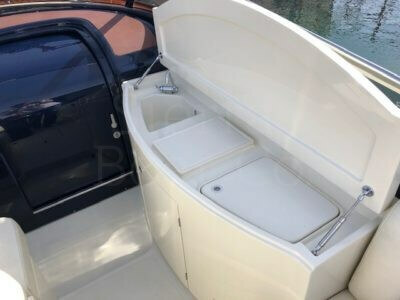 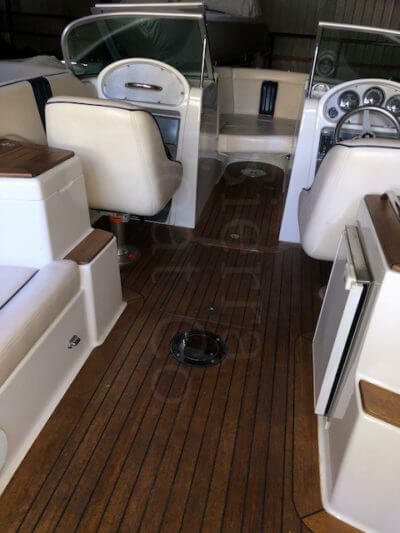 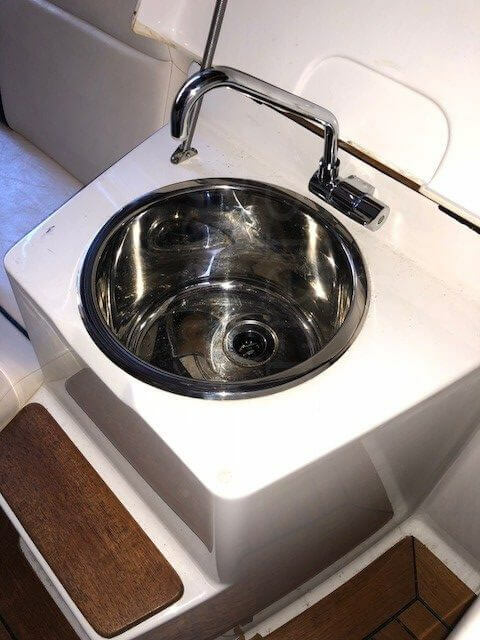 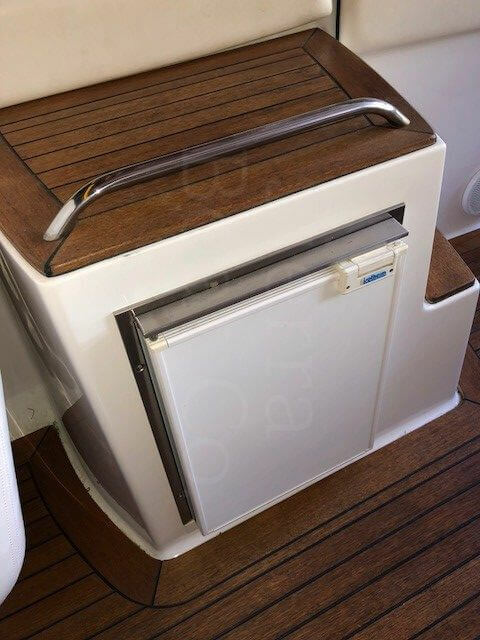 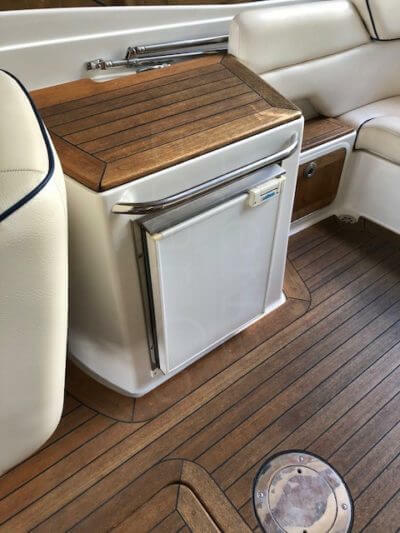 This boat is fully loaded with cockpit refrigerator, battery charger, stainless steel windshield frame, teak swim platform, sun pad cushion and much more. 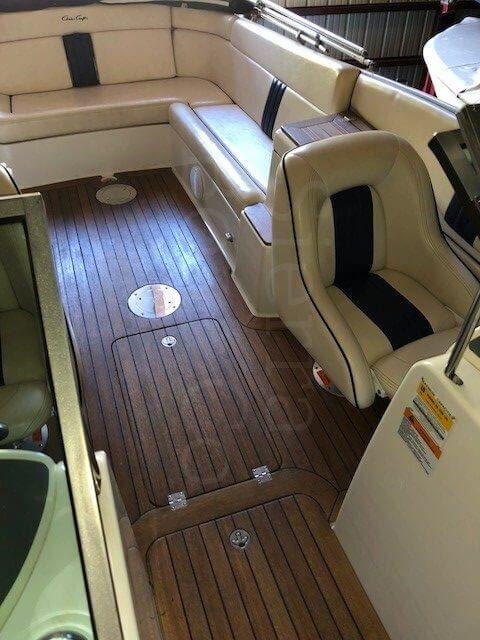 This Chris Craft Launch is an open bow design with seating up to 10 people. 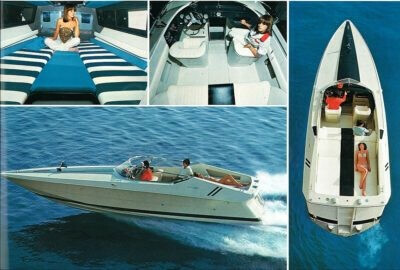 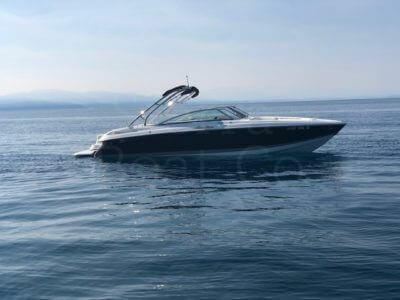 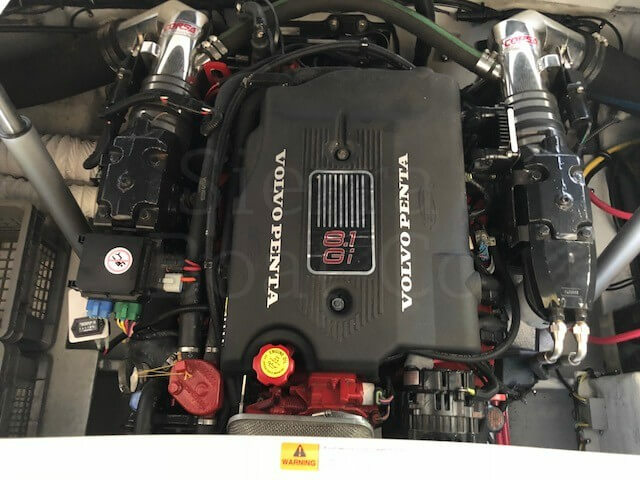 It is powered by a Volvo Penta 8.1L GI engine with 375 hp. 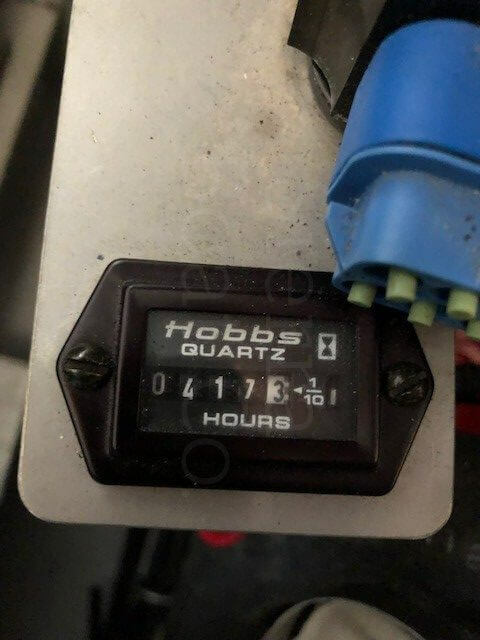 and has 417.3 engine hours. 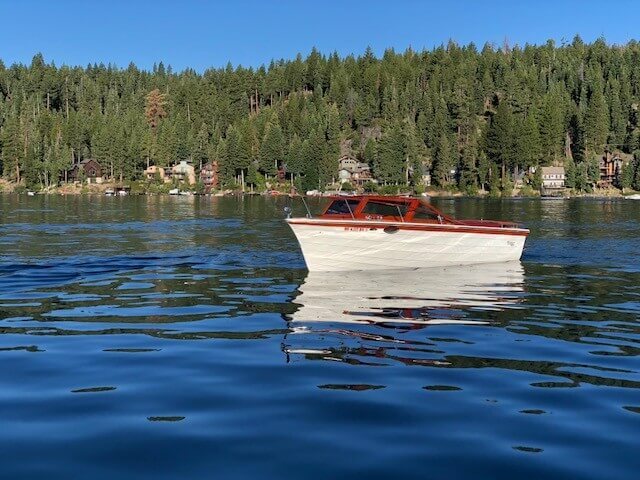 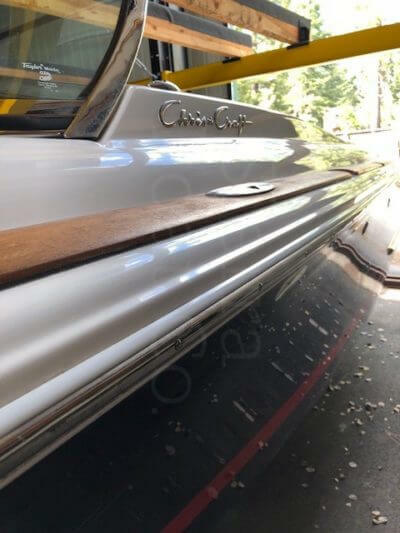 Chris Crafts are handmade and are limited production boats, you don’t see many used ones come on the market and hard to find one that has been in fresh water only. 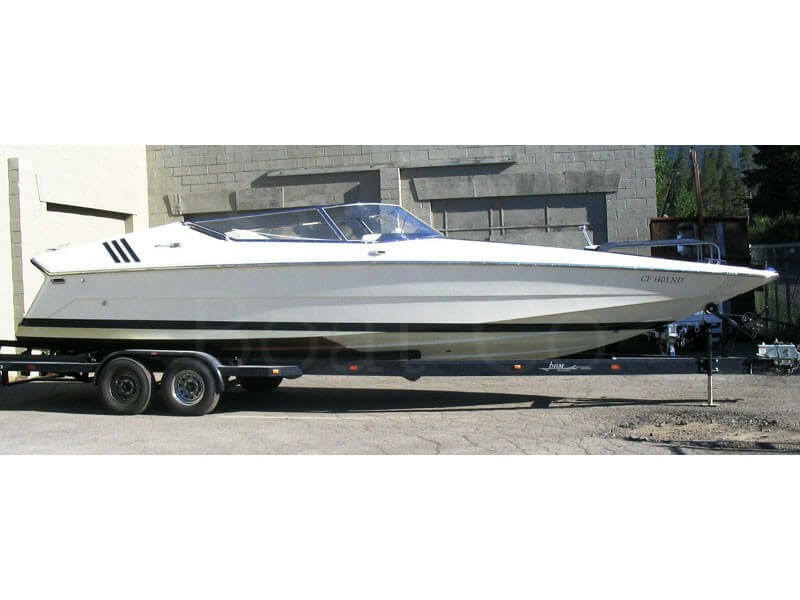 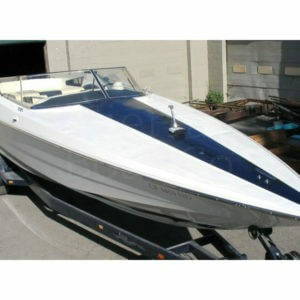 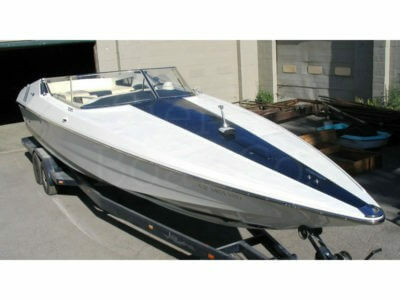 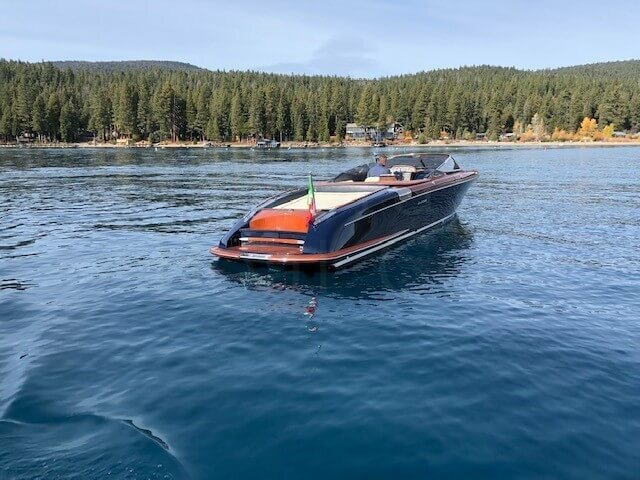 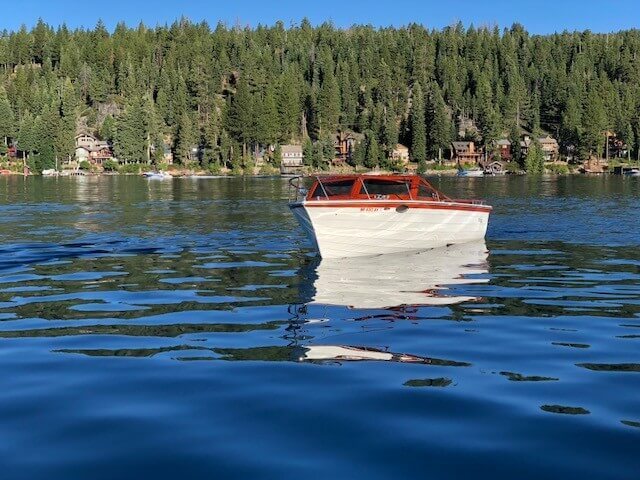 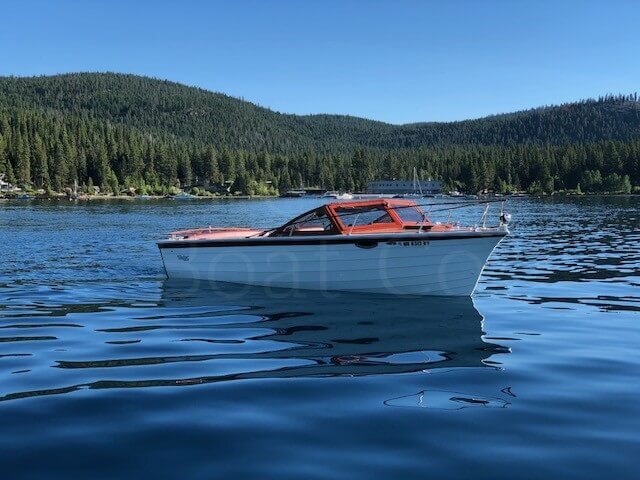 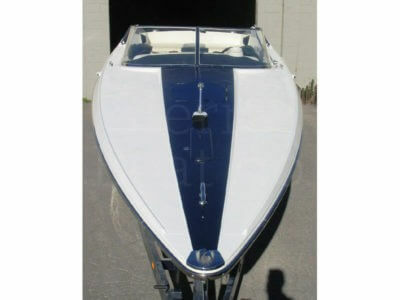 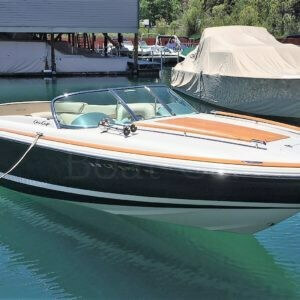 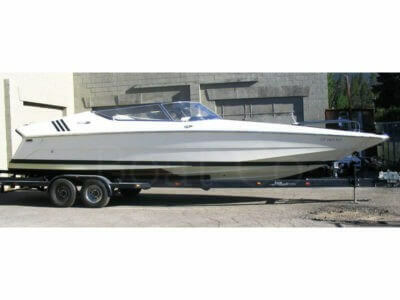 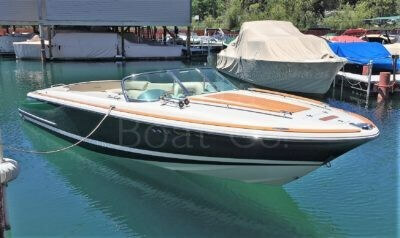 This is an exceptional opportunity to own a fiberglass Chris Craft at a fraction of the cost of a new Chris Craft. 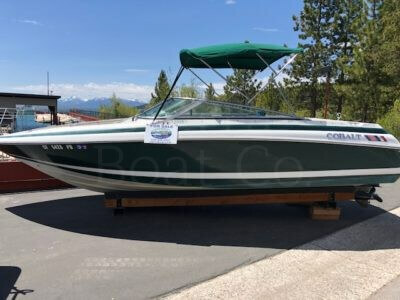 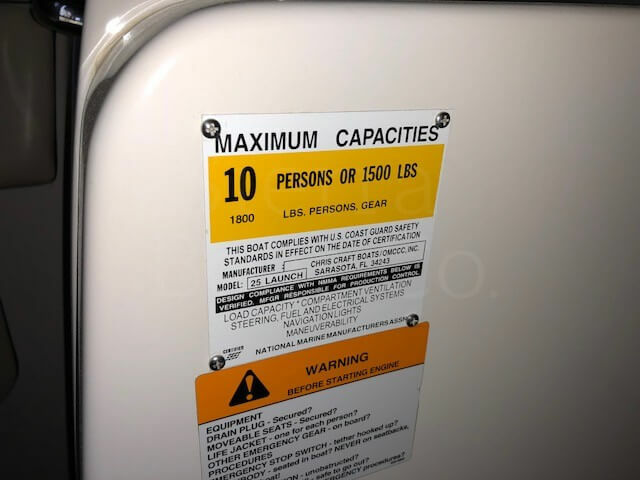 This is a 2005 Crownline 21ft 216LS. 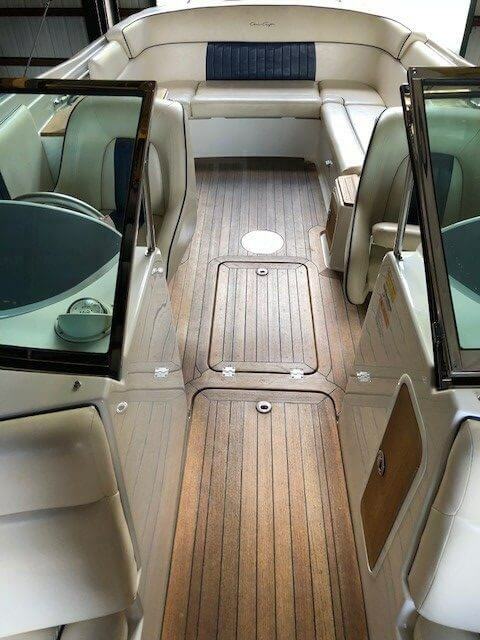 Crownline’s are engineered to perform unlike any other bowrider on the market. The F.A.S.T. 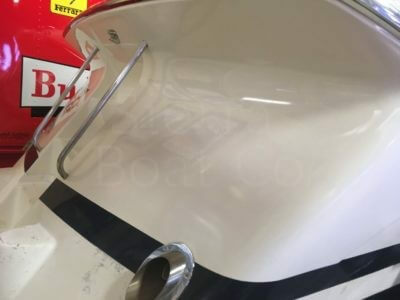 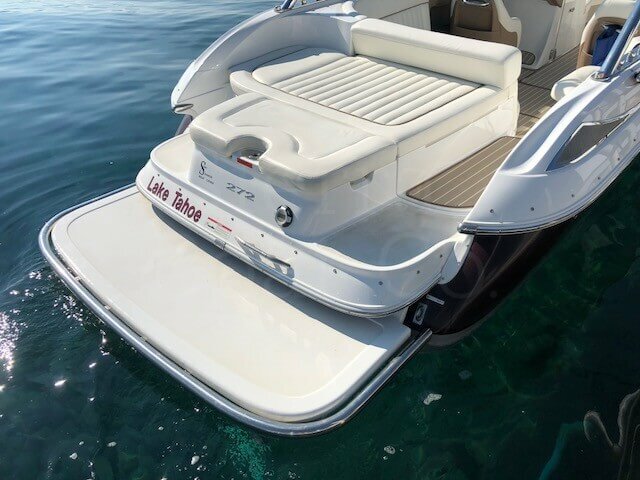 tabs hull design increases stability, improves time-to-plane acceleration and adds better fuel economy than any other boat in its class. The interior layout is extremely accommodating with plenty of storage and seating up to 10 people. 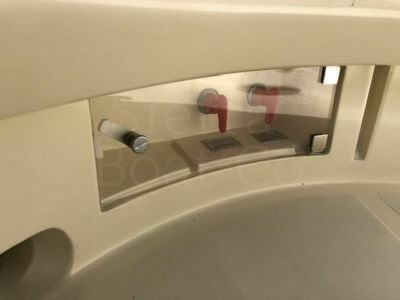 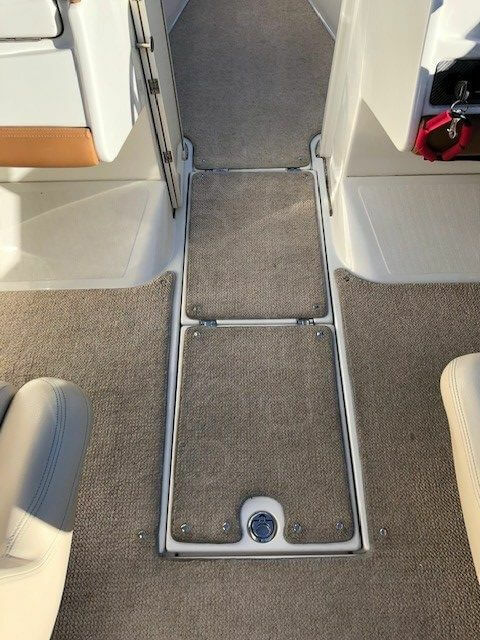 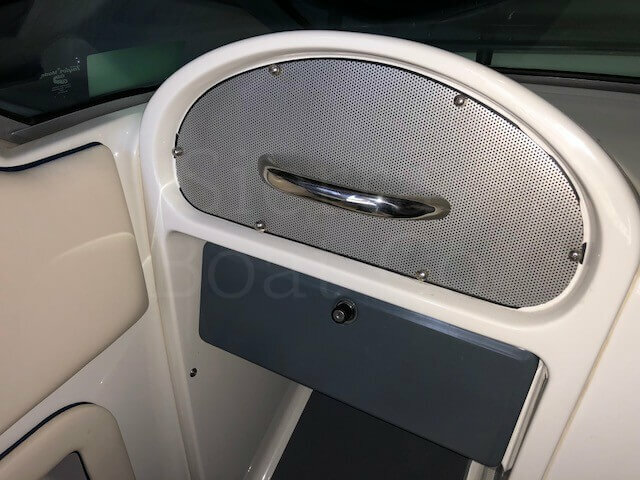 The transom walk through has a filler cushion to preserve the comfortable full length sun bed area. The cockpit seating features driver and passenger bucket seats with flip-up bolsters. 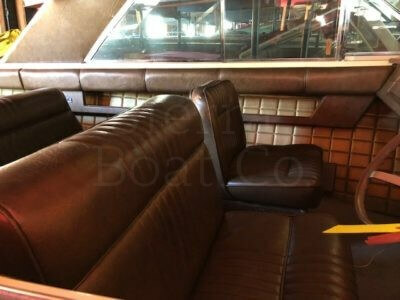 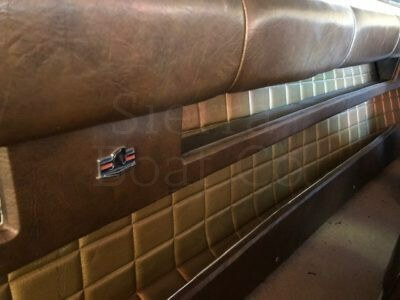 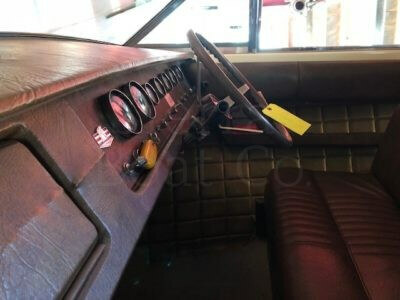 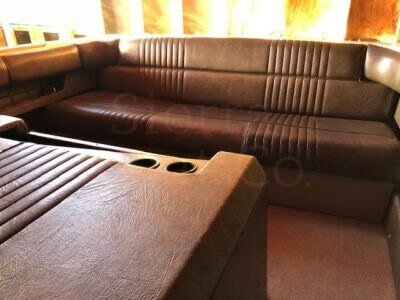 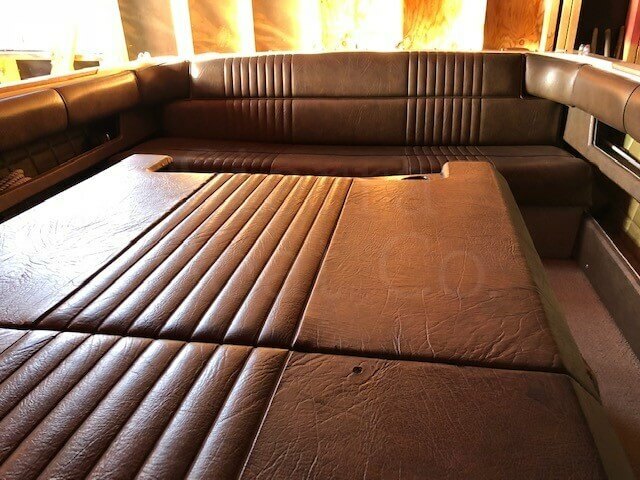 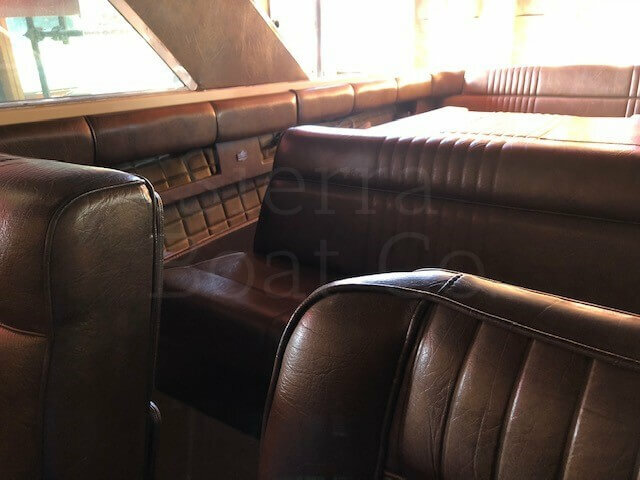 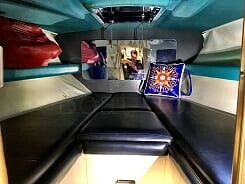 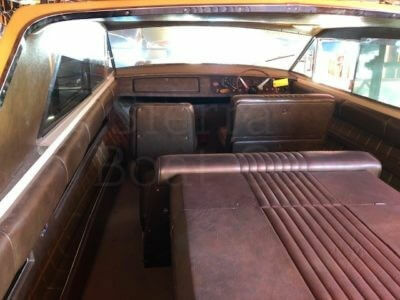 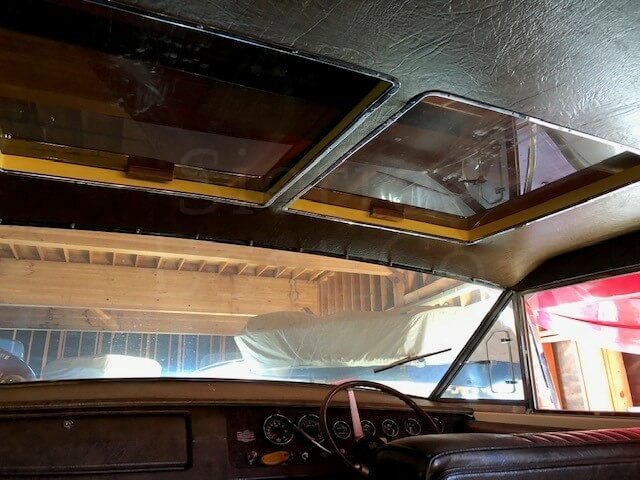 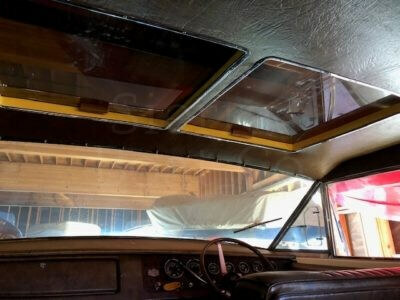 The interior upholstery and carpet are in good condition. 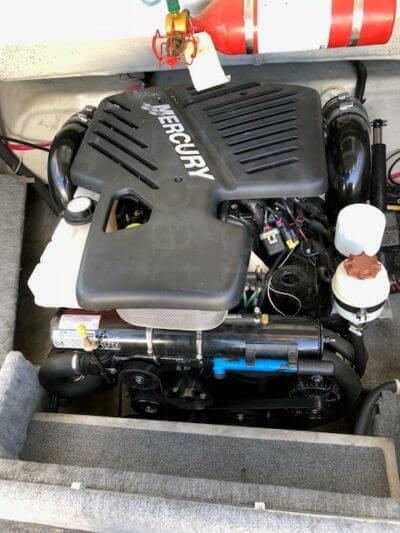 This Crownline is powered by a Mercruiser 350 MAG MPI with 300 hp. 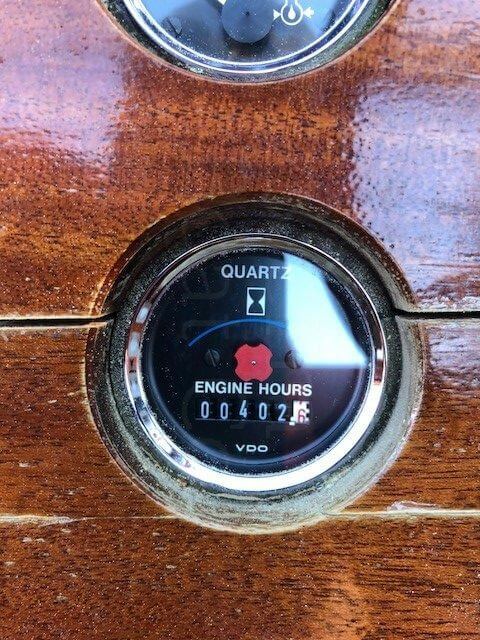 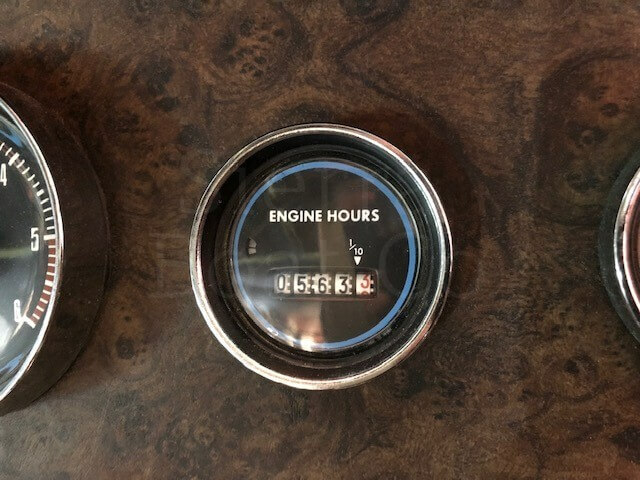 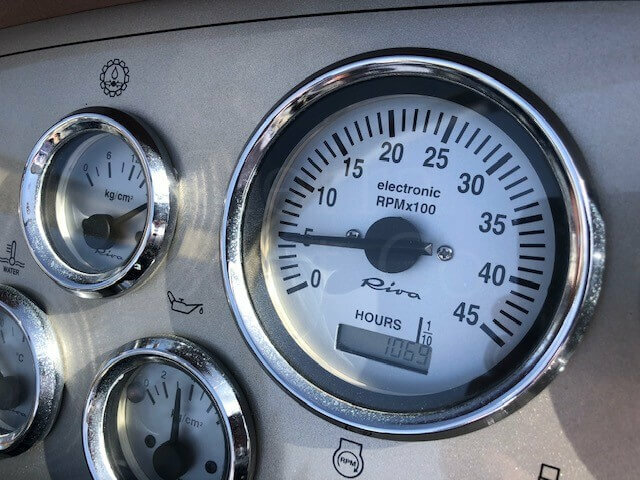 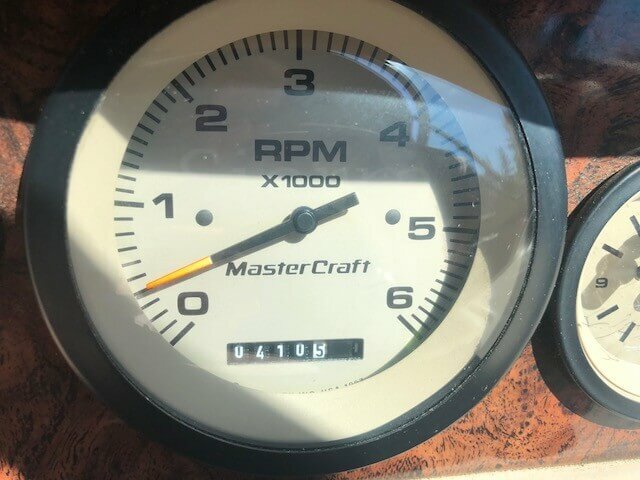 It has extremely low engine hours at 119.1 which means it was used for a little over 9 hours each year. 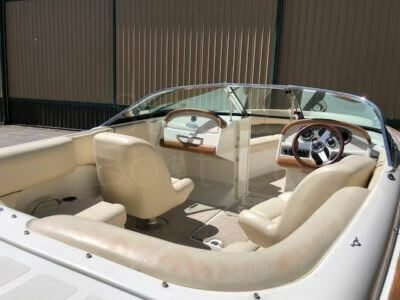 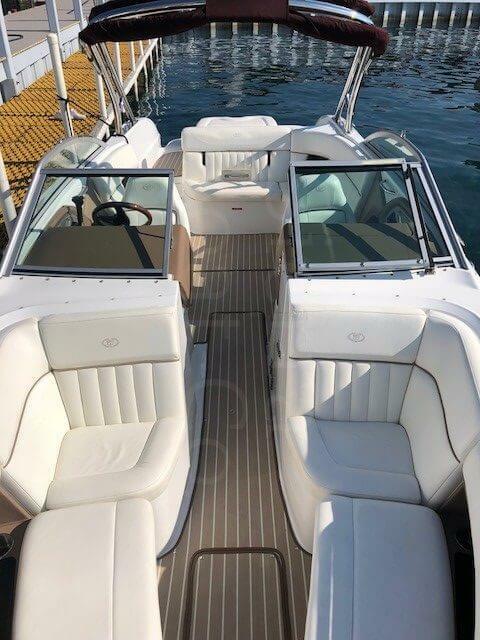 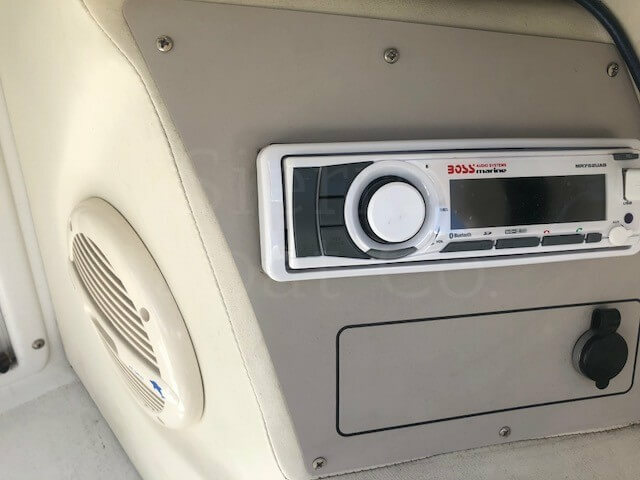 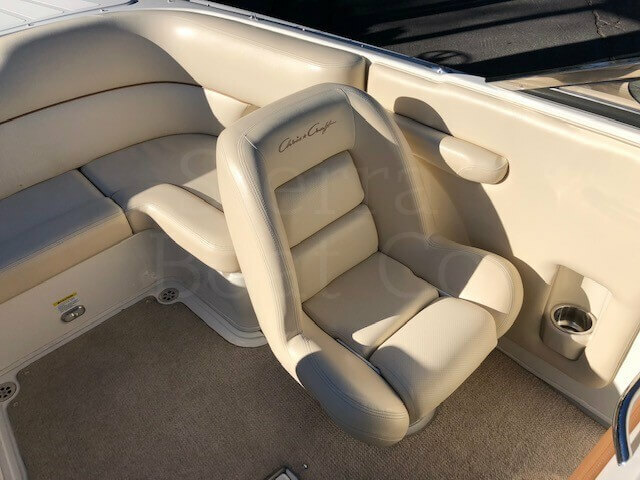 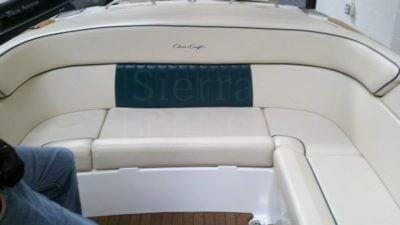 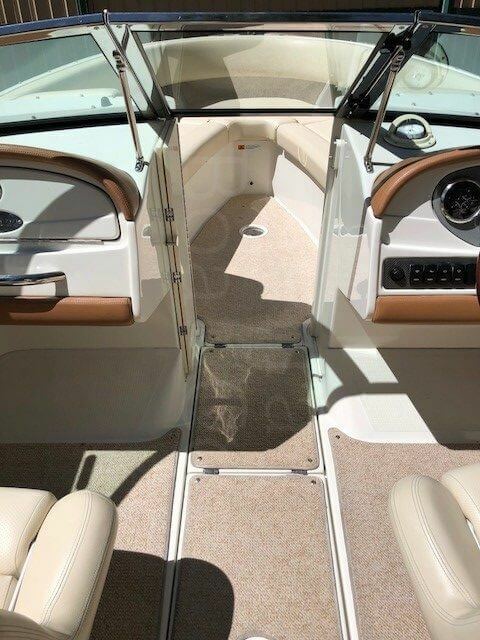 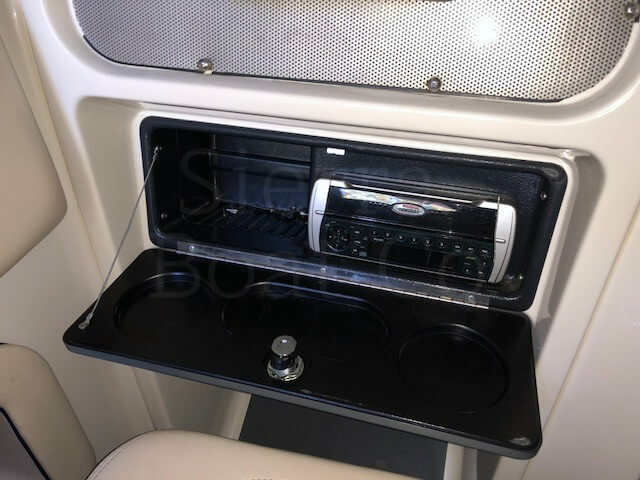 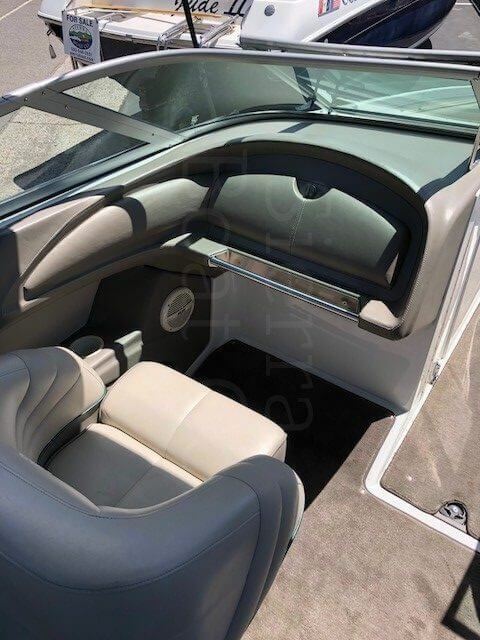 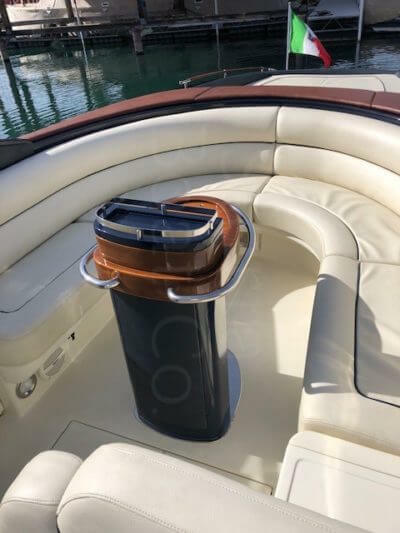 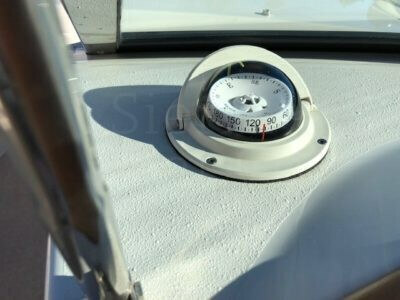 This boat is equipped with a table, tonneau covers, bimini top, cooler, stereo system, depth finder, etc. 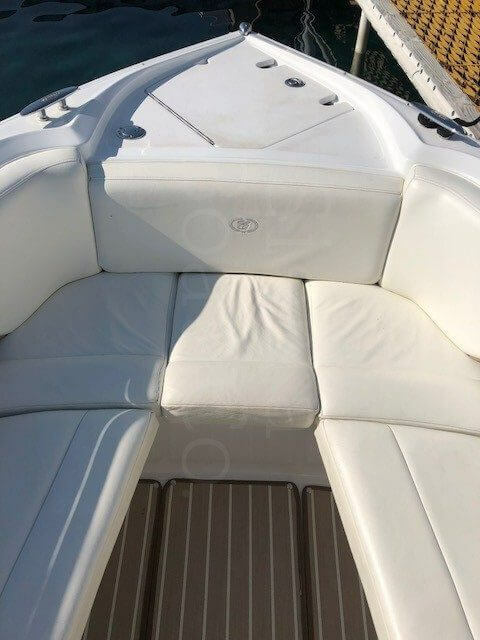 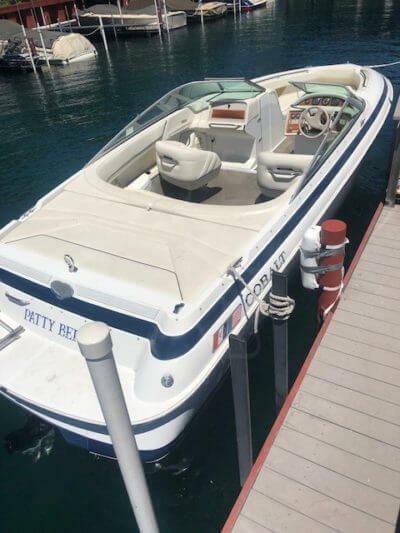 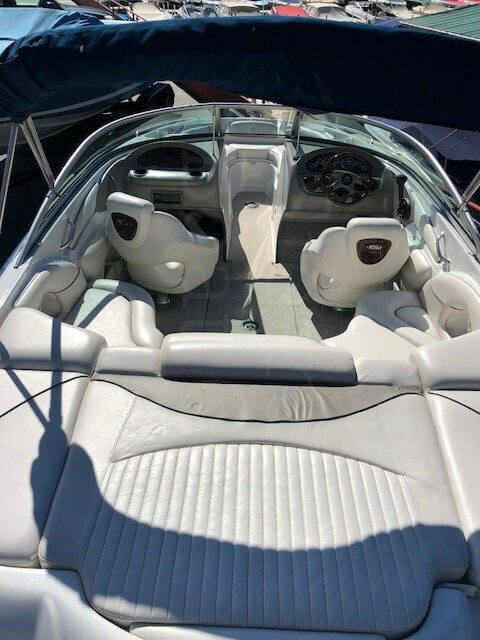 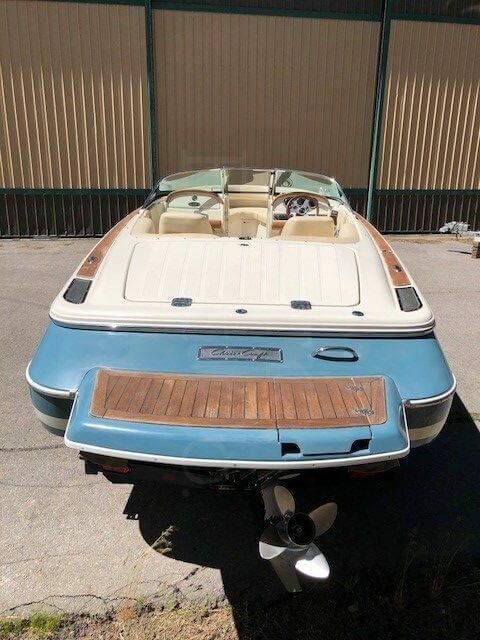 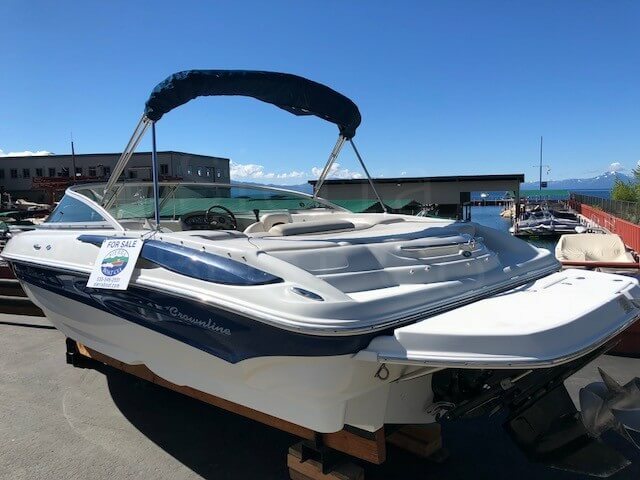 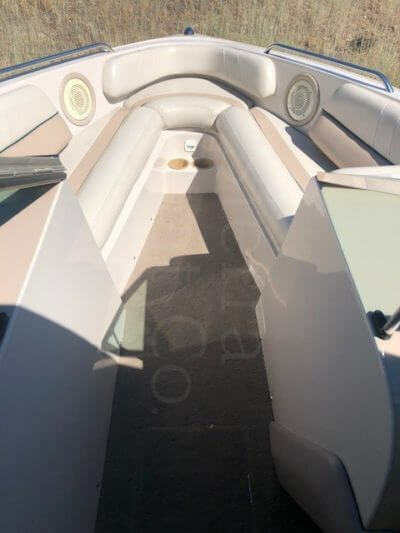 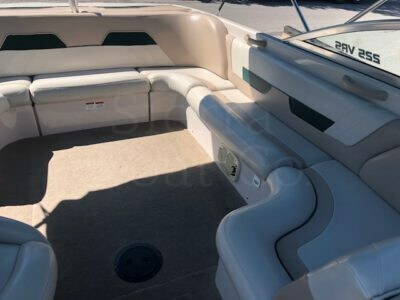 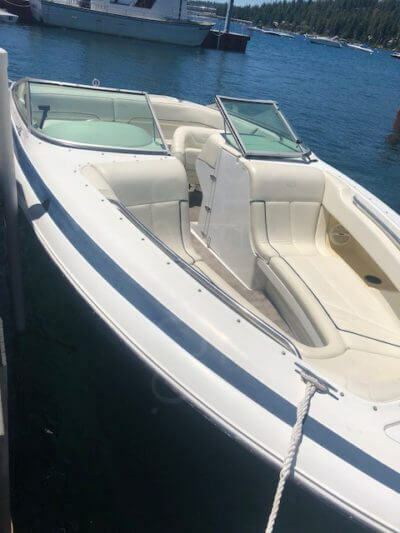 This boat has been well maintained and is looking for a new home!